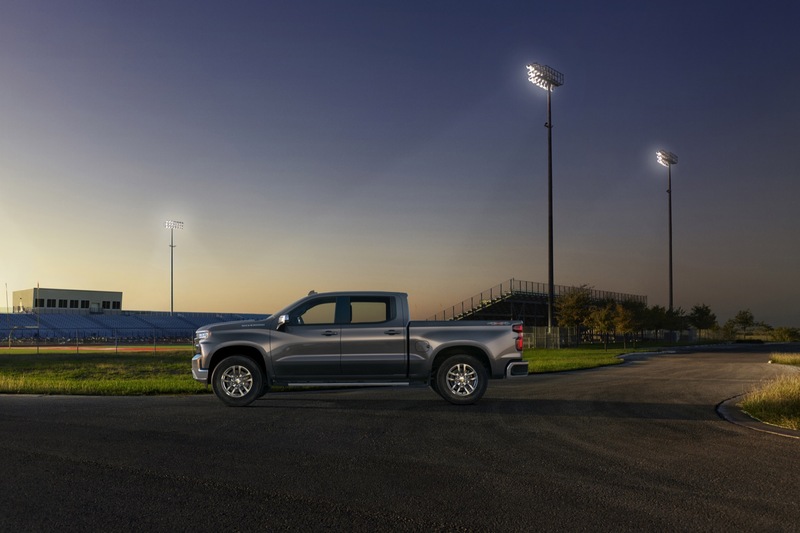 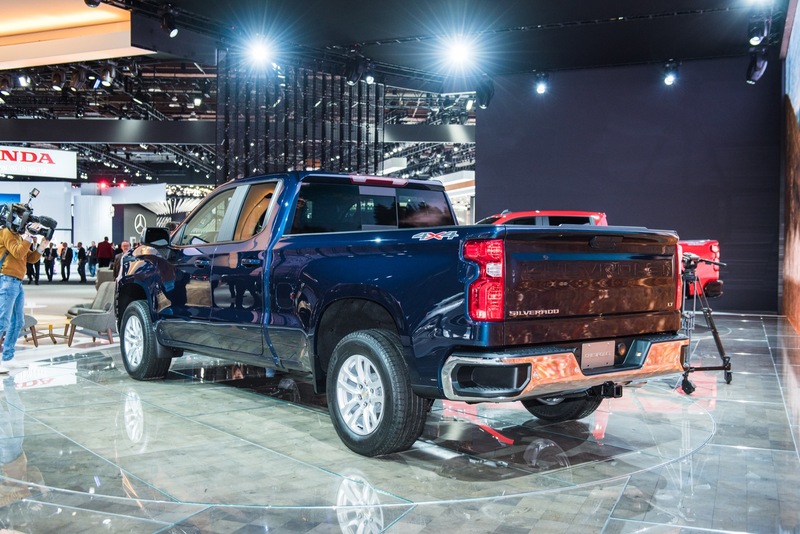 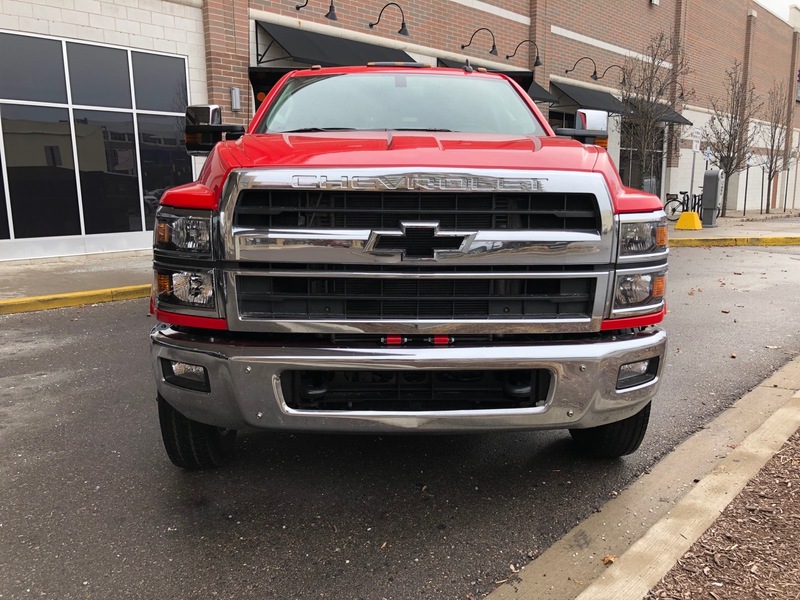 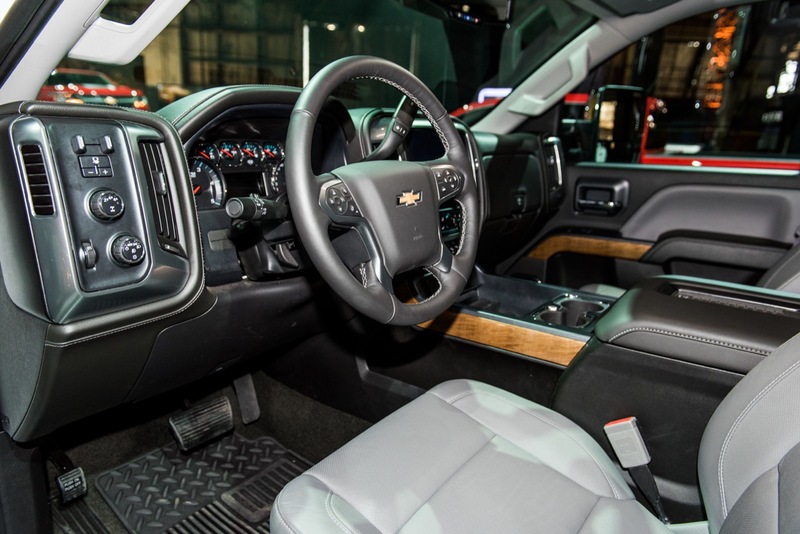 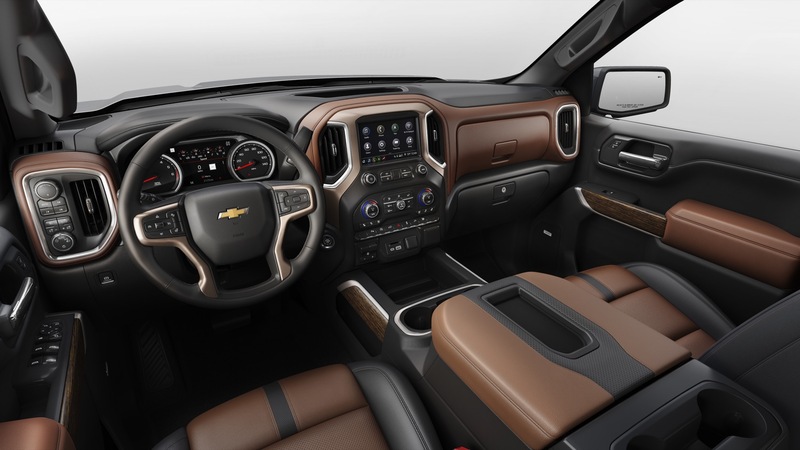 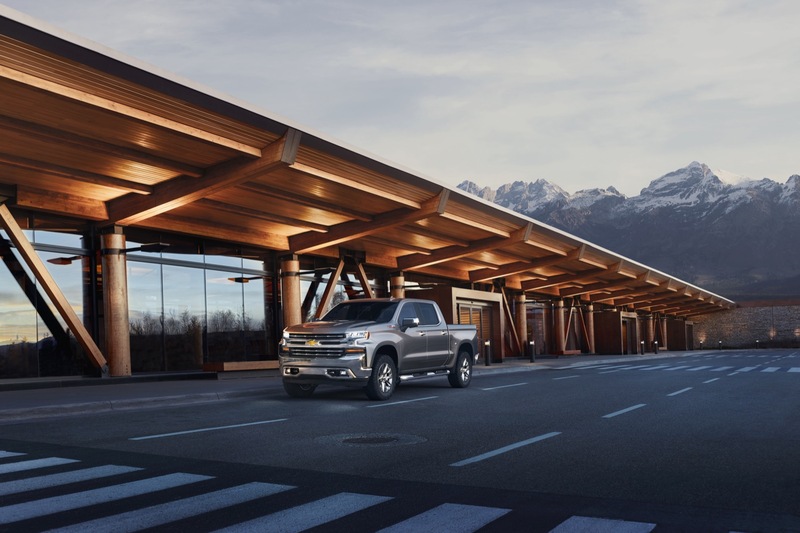 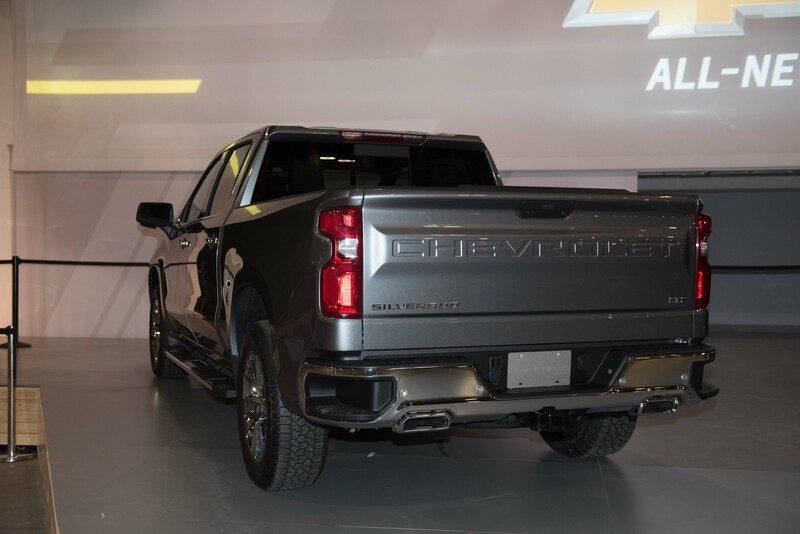 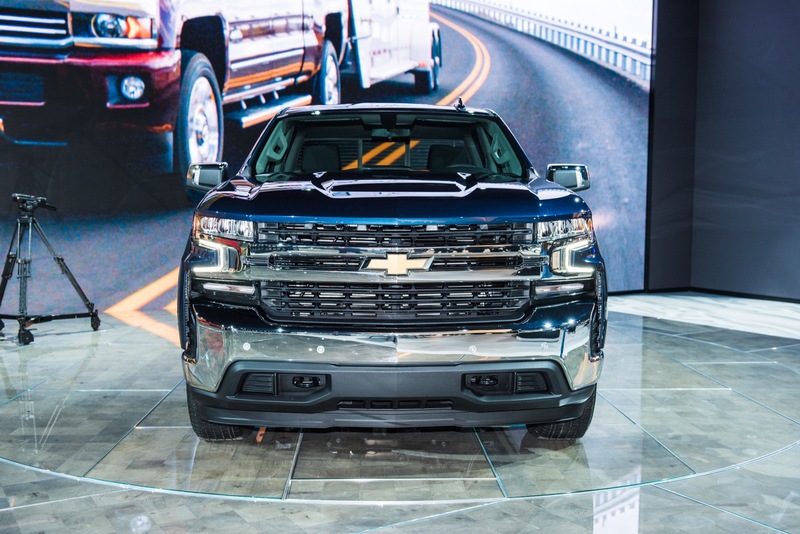 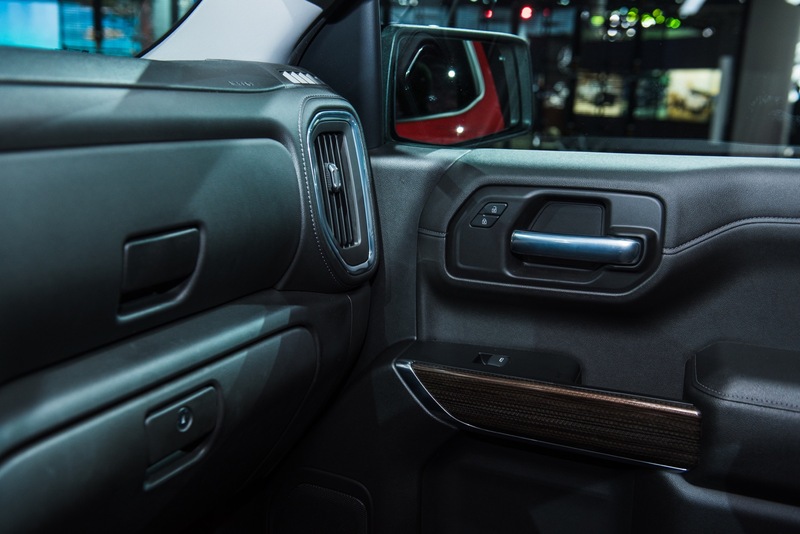 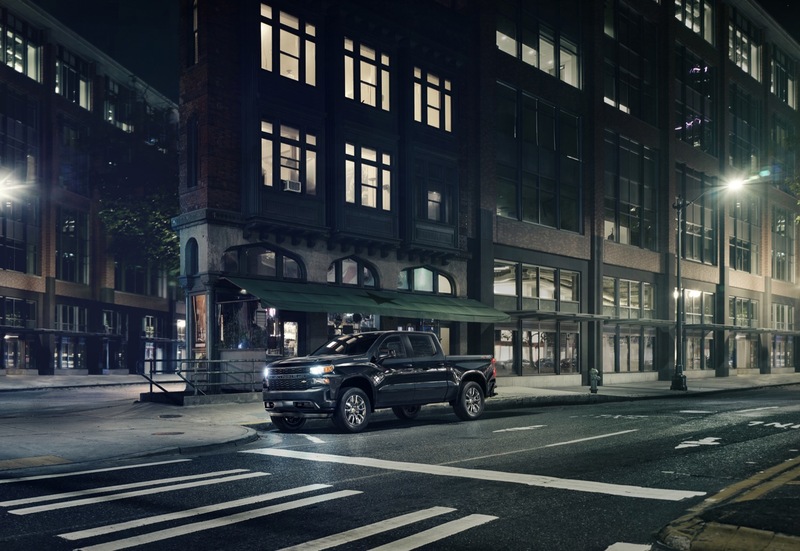 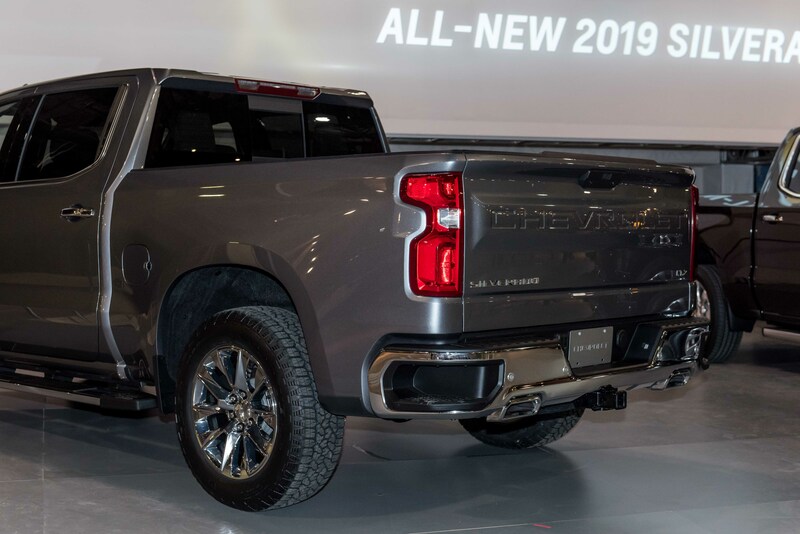 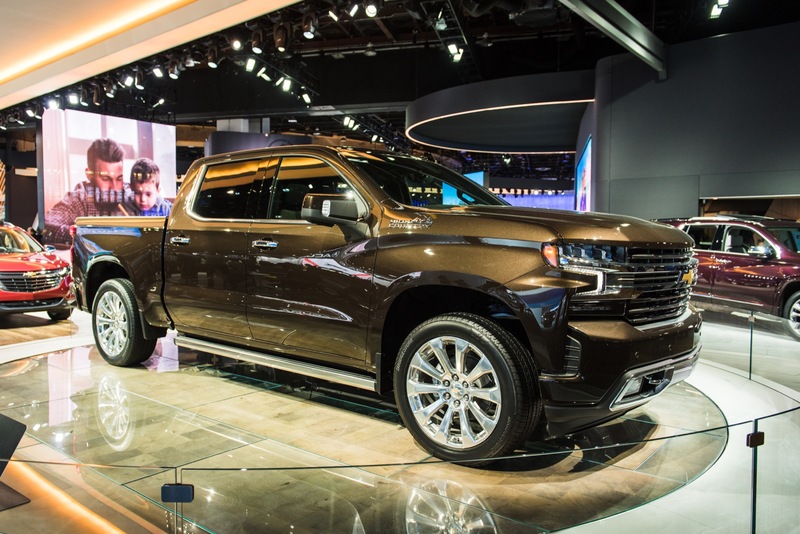 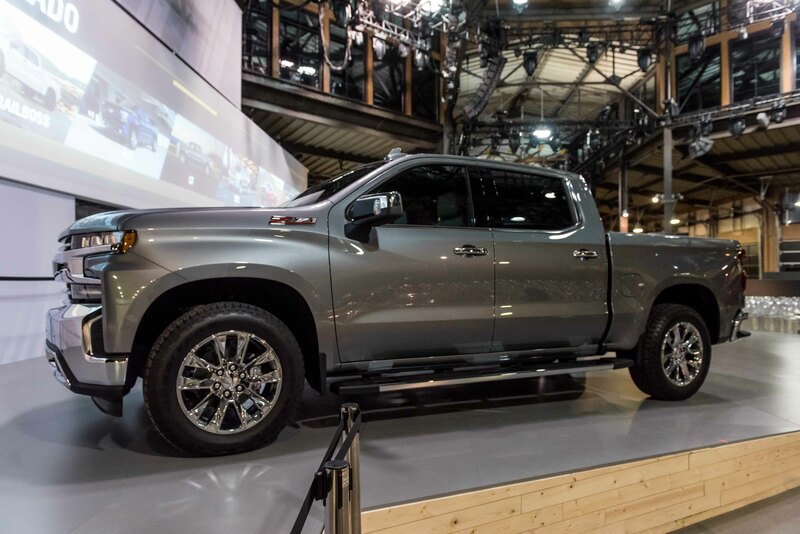 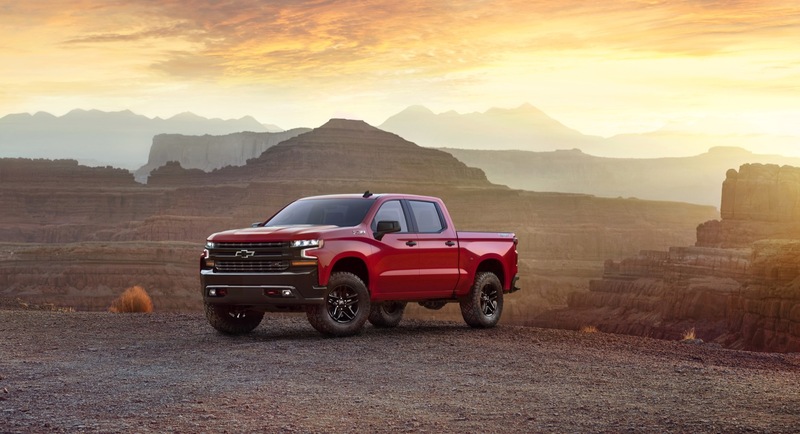 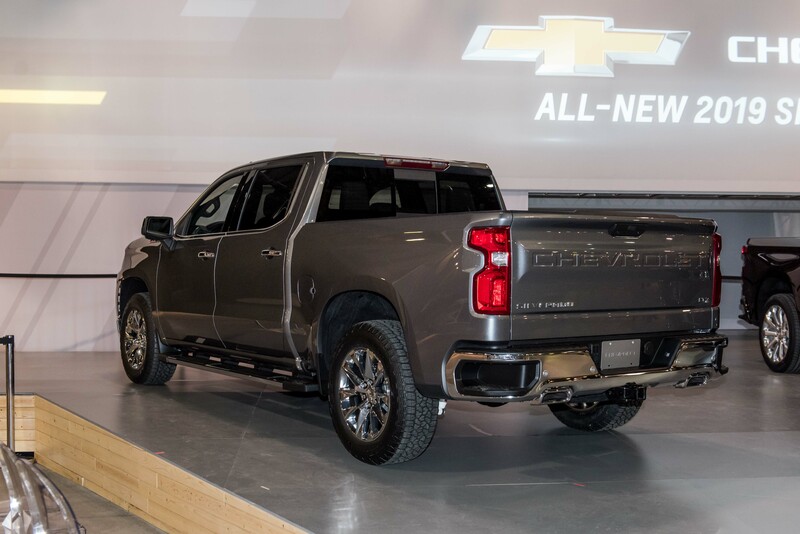 The light-duty, full-size Chevy Silverado 1500 is all-new for the 2019 model year, boasting GM’s latest T1 platform, a fully-redesigned cab and box with significantly-reduced curb weight, more storage capacity, and plenty of new features and powertrain options. 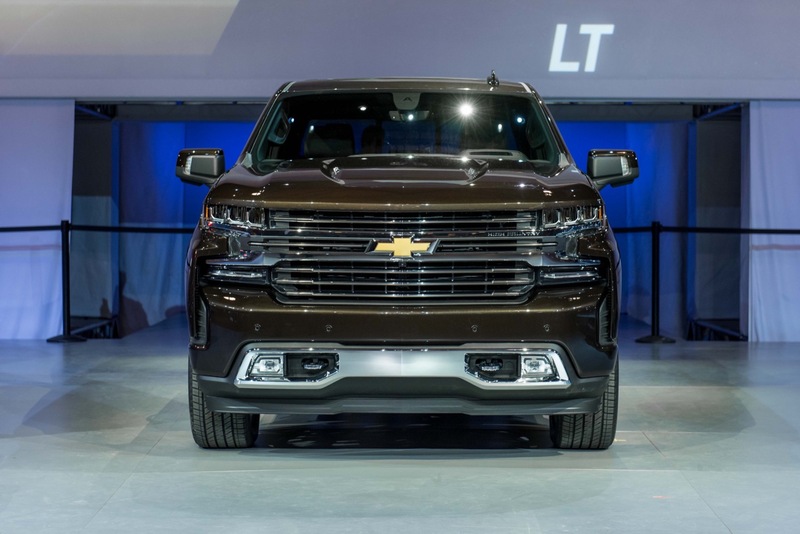 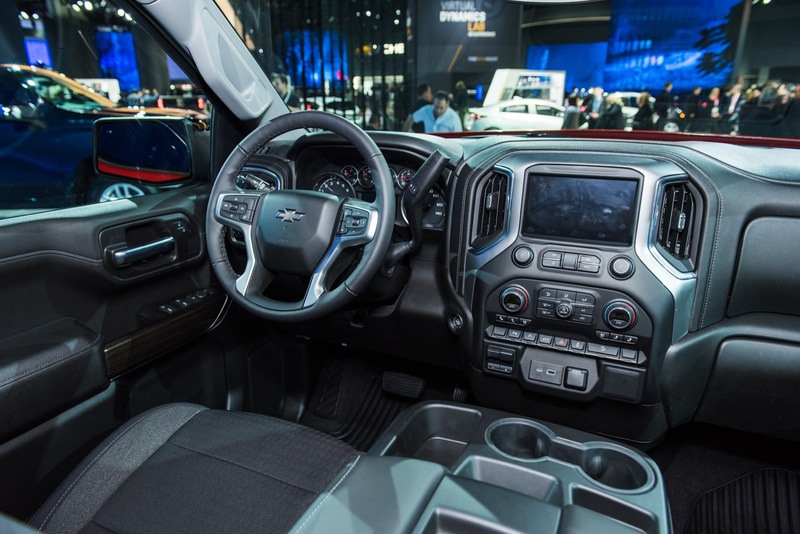 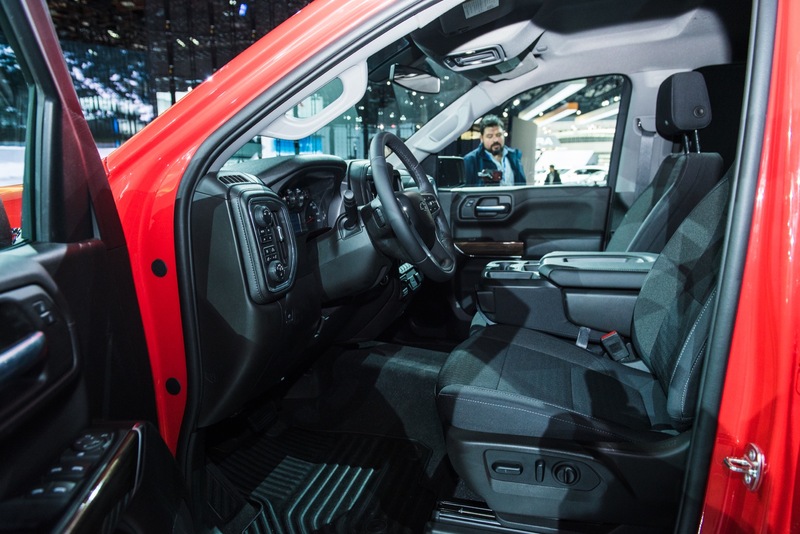 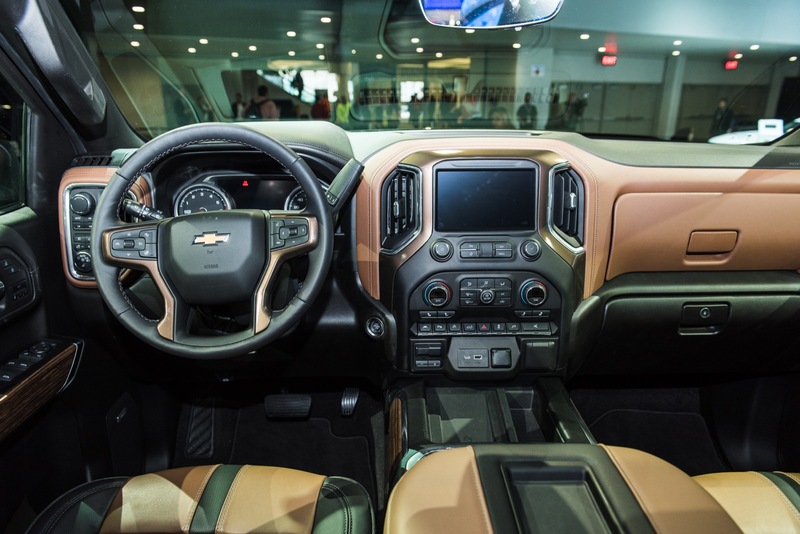 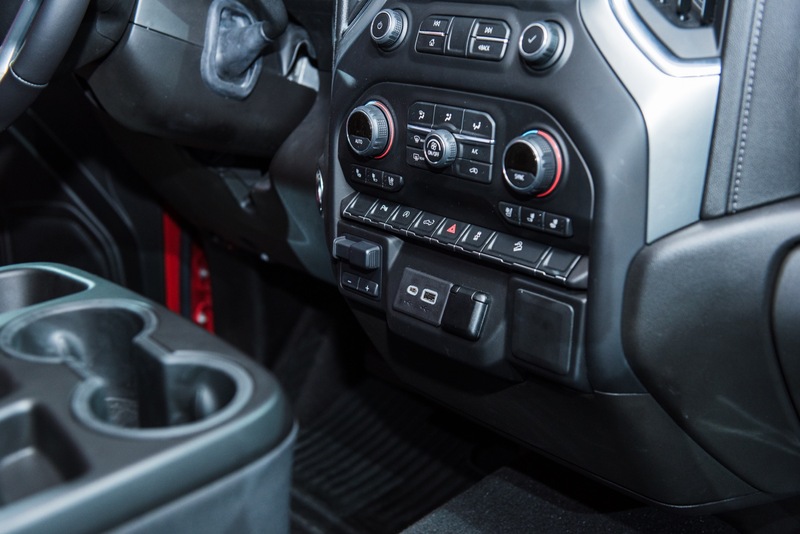 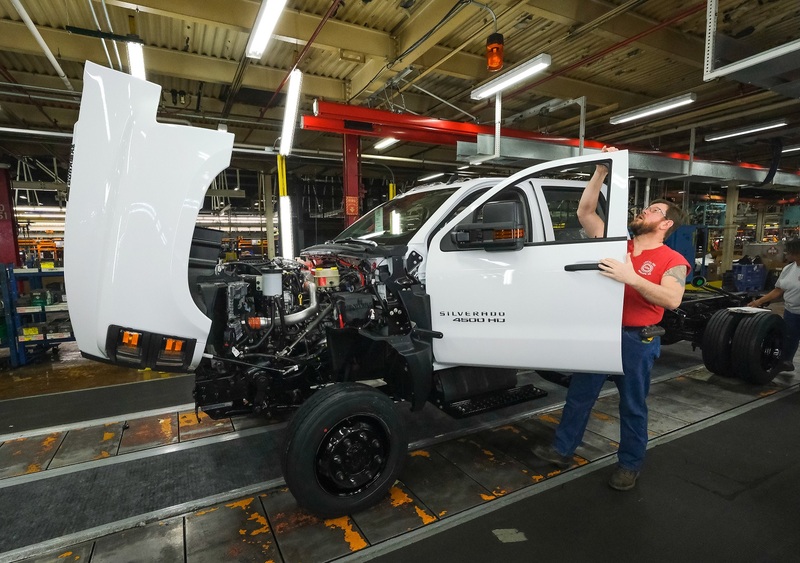 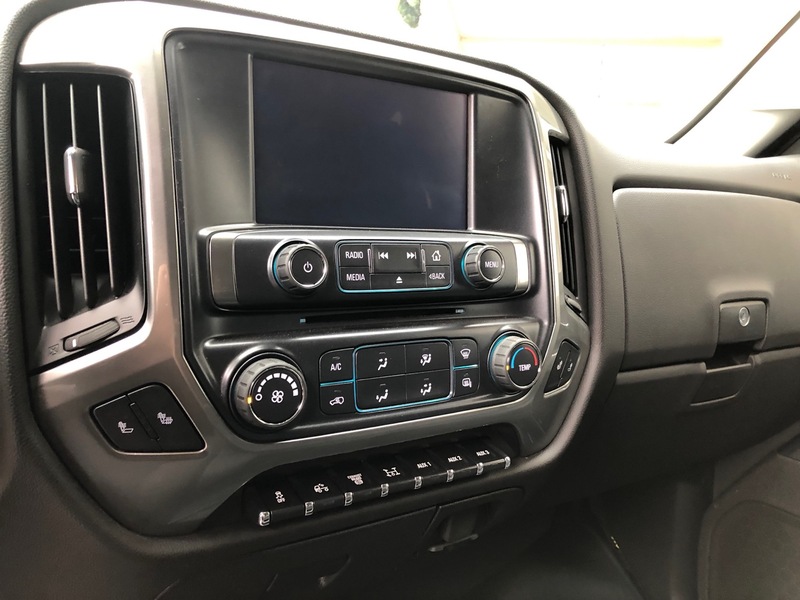 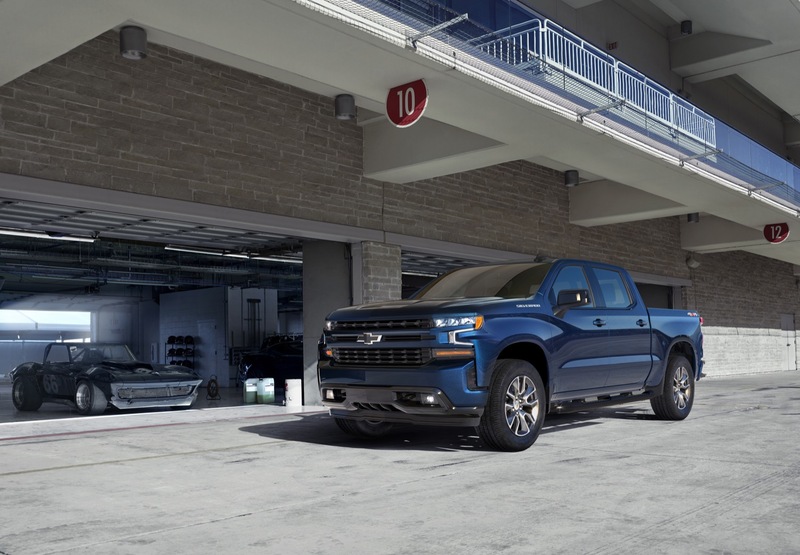 Yet for all that’s changed about the 2019 Silverado 1500, the half-ton pickup still slots into the same place within Chevrolet’s orderly, tiered full-size truck lineup, which scales nicely from the light duty 1500 to the Silverado Heavy Duty in the middle to the Silverado Medium Duty. 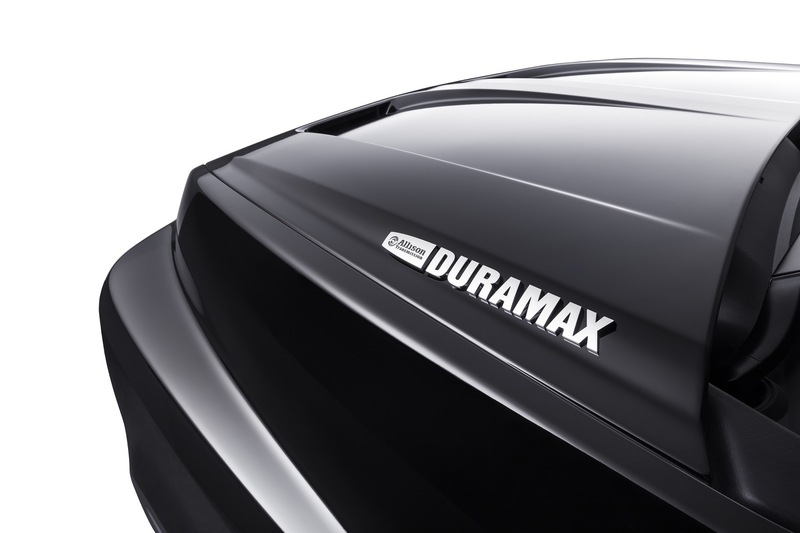 The naming can get a bit confusing here, so let’s set some base line. 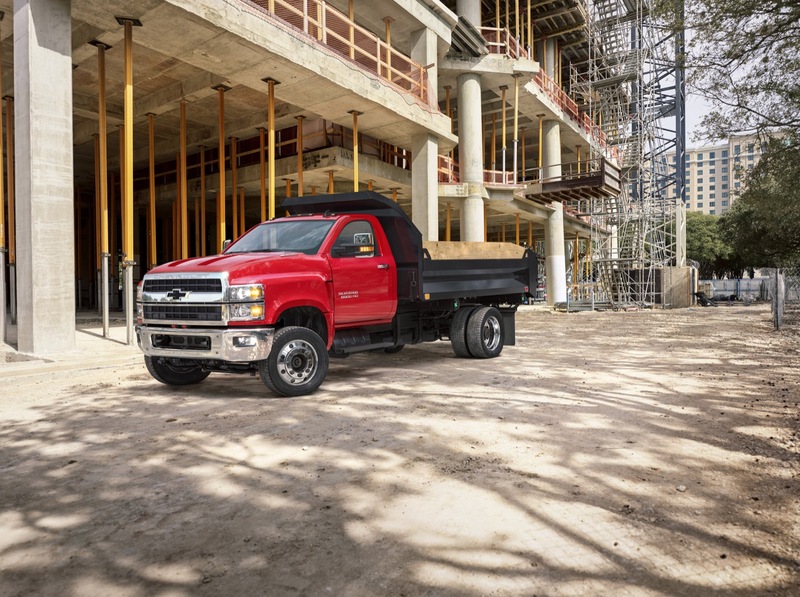 The Light Duty trucks are the 1500 level, half-ton models. 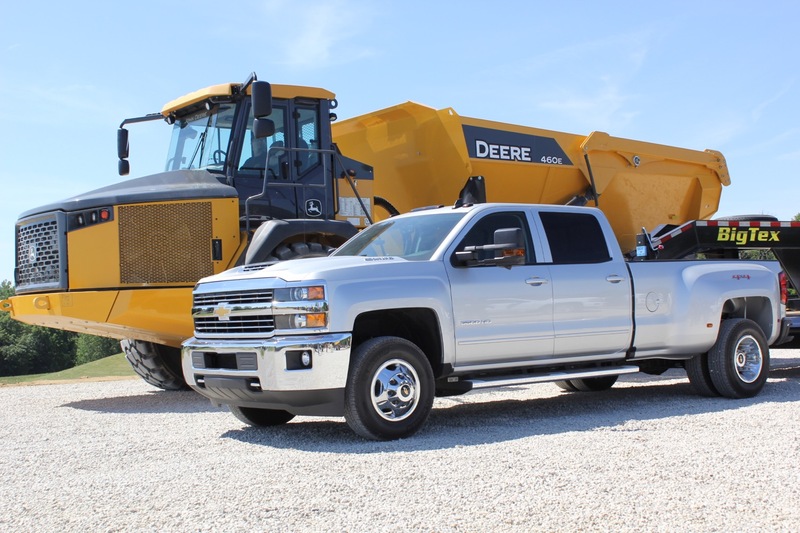 Next up are the Silverado 2500HD (three quarter ton) and 3500HD (one ton), where the HD stands for Heavy Duty. 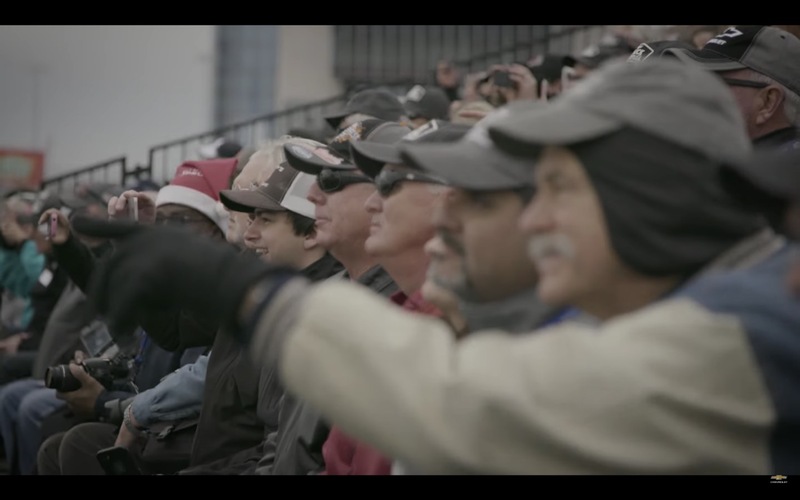 Here’s where it gets fishy. 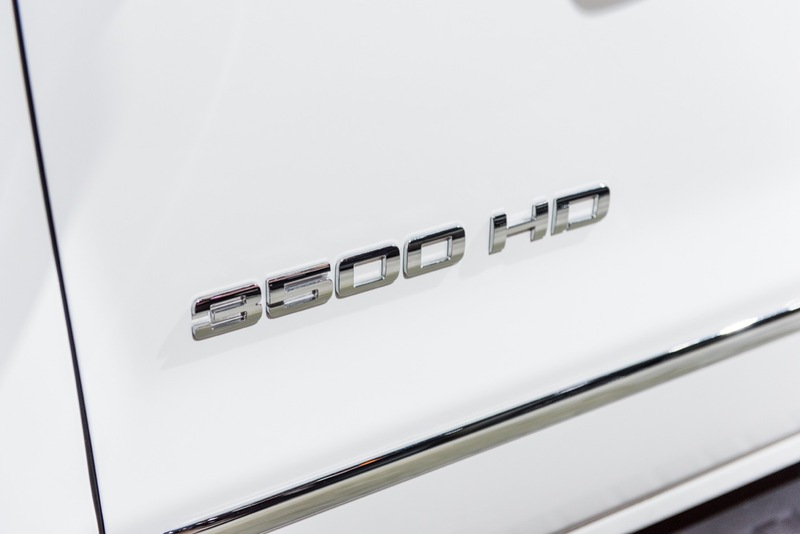 That’s because the Class 4 4500HD, Class 5 5500HD and Class 6 6500HD models are branded as Medium Duty, despite slotting above the Heavy Duty models. 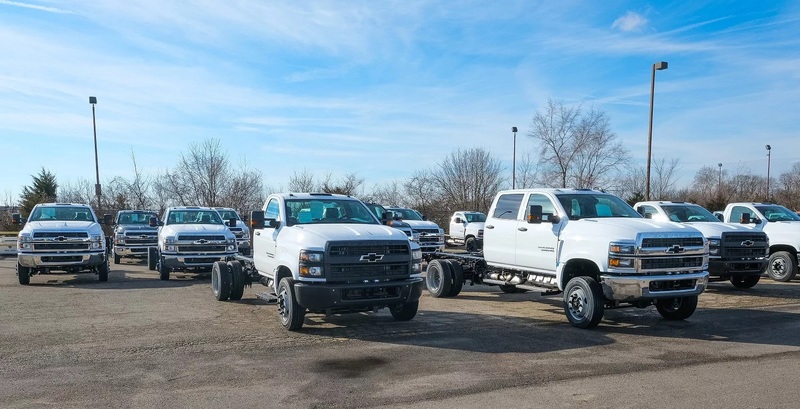 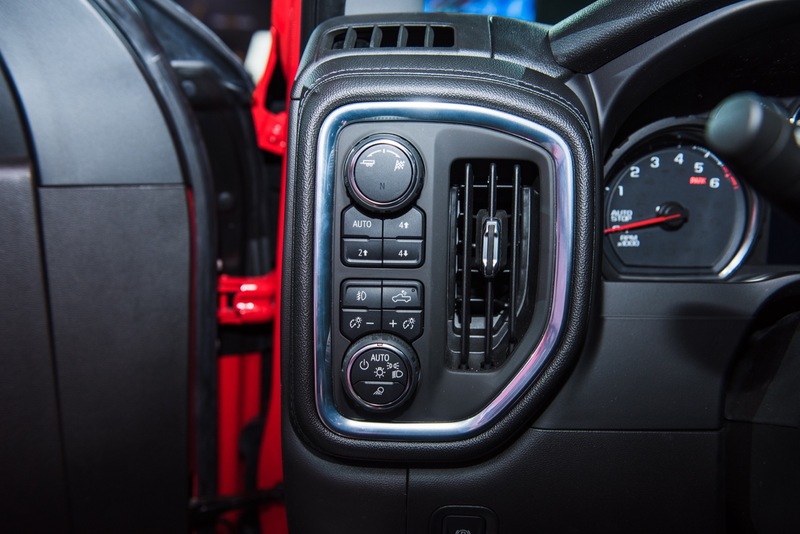 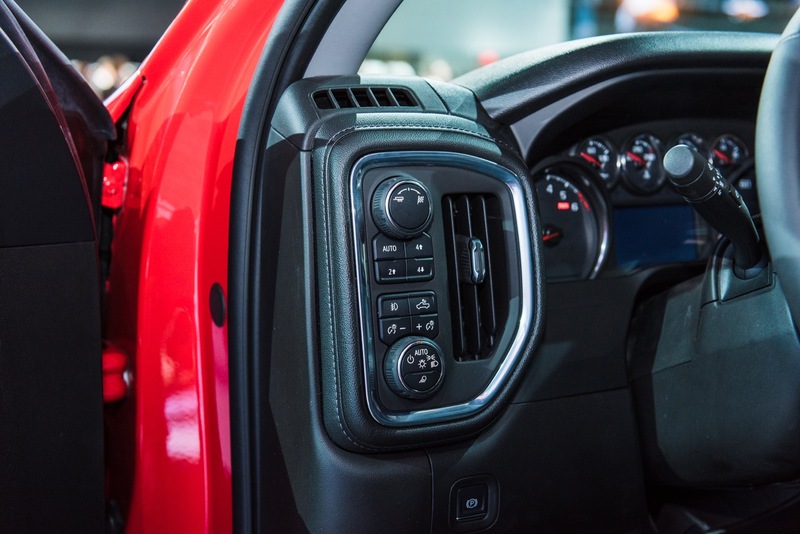 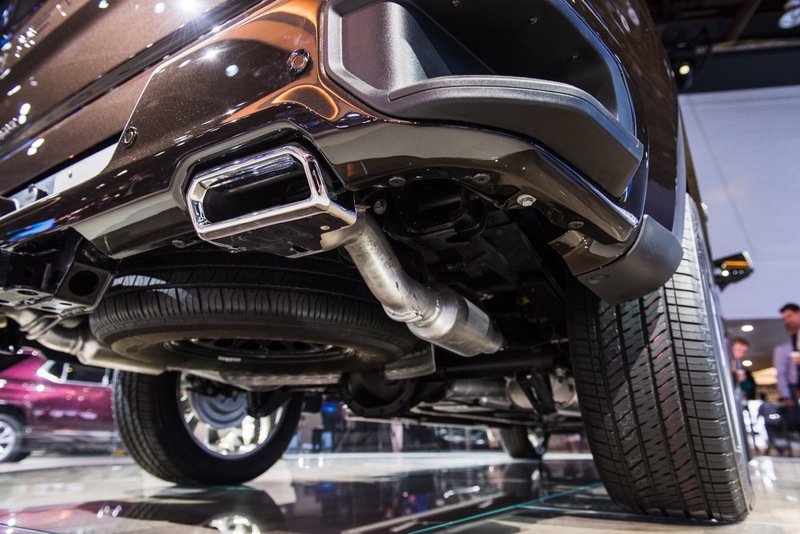 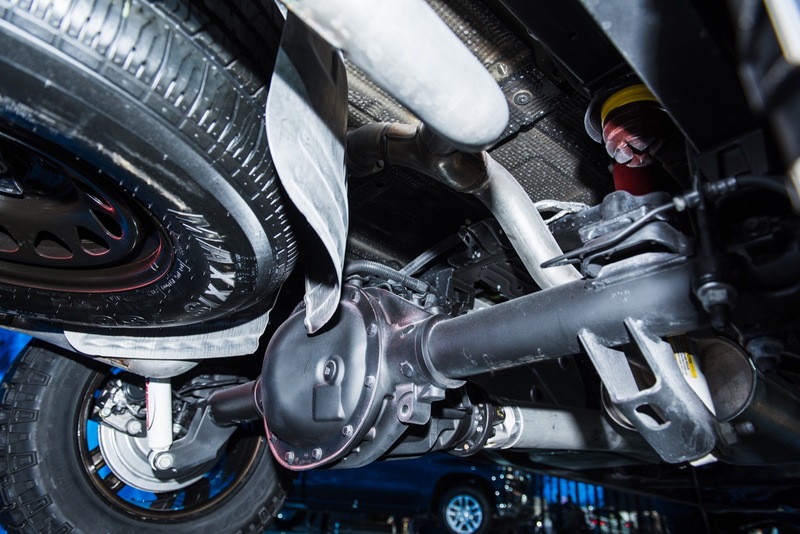 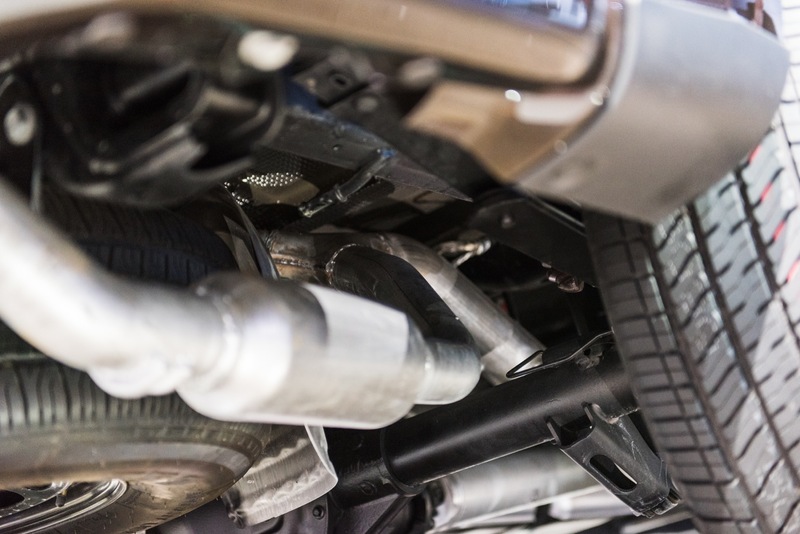 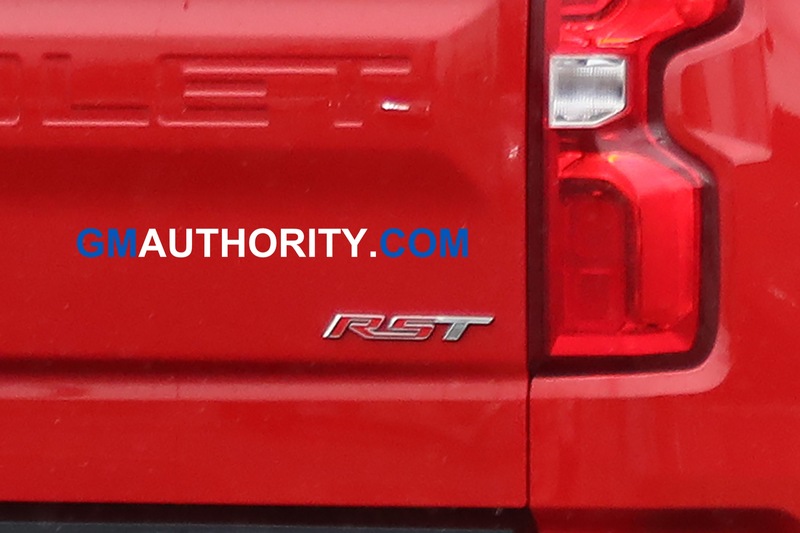 One of the more common methods of categorizing a truck is Gross Vehicle Weight Rating (GVWR). 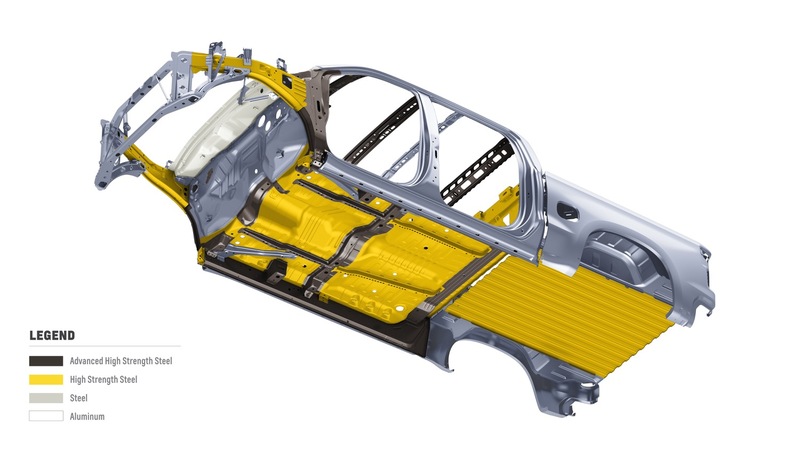 It identifies the maximum operating weight/mass of a vehicle as specified by the manufacturer, including the vehicle’s chassis, body, engine, engine fluids, fuel, accessories, driver, passengers. 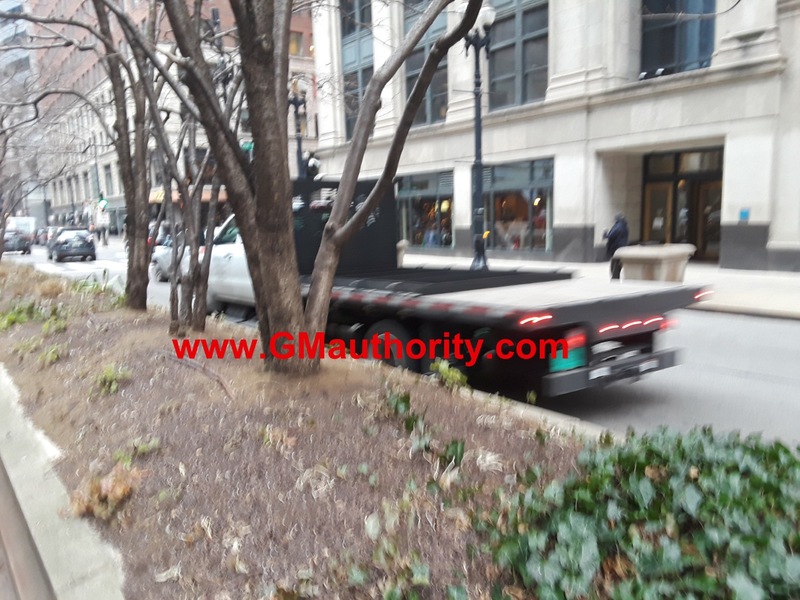 The GVWR, however, excludes any trailers. 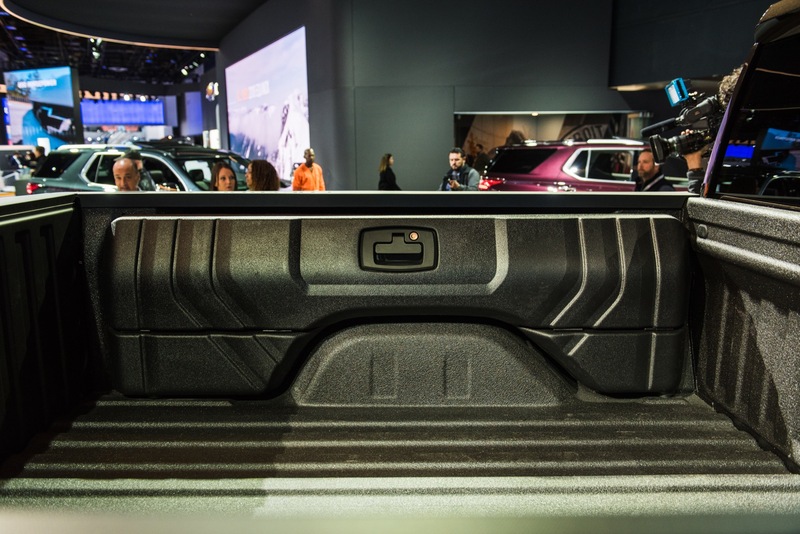 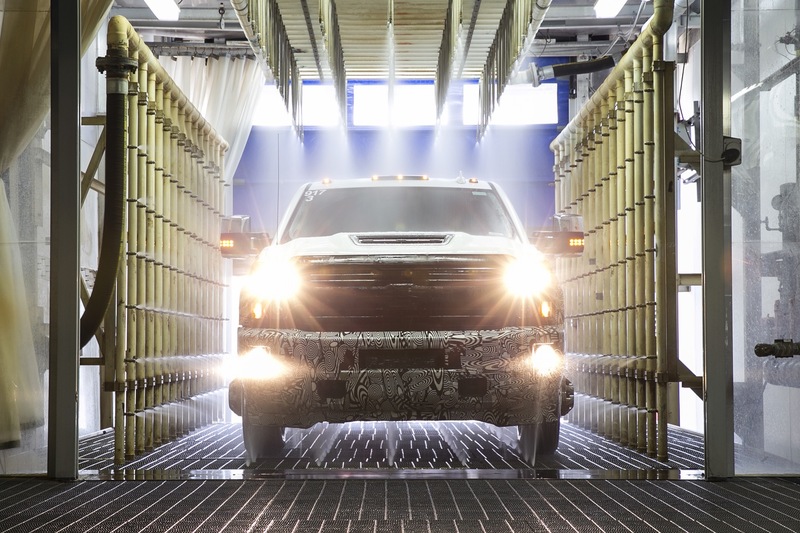 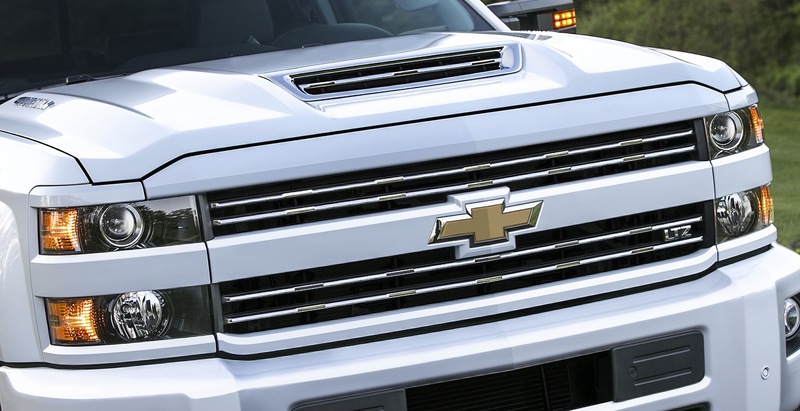 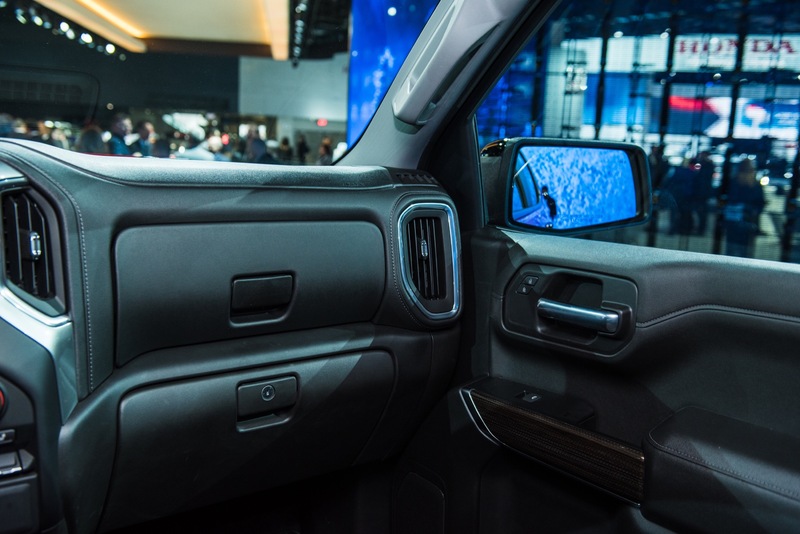 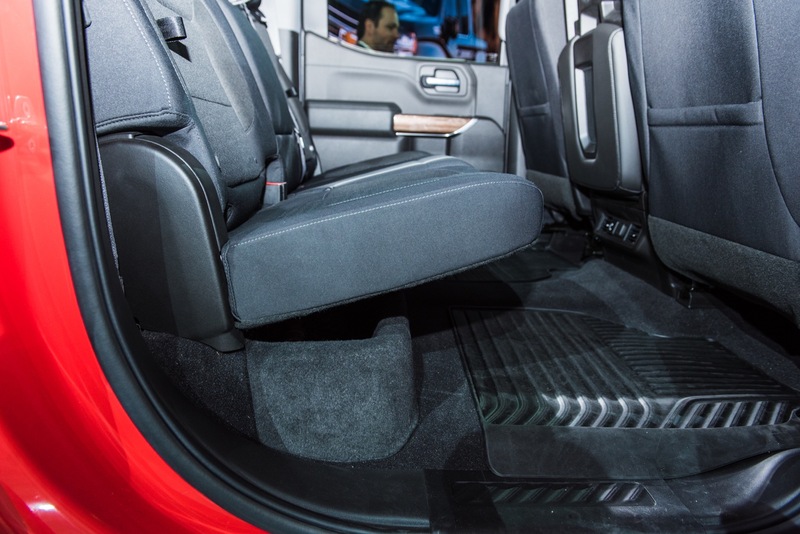 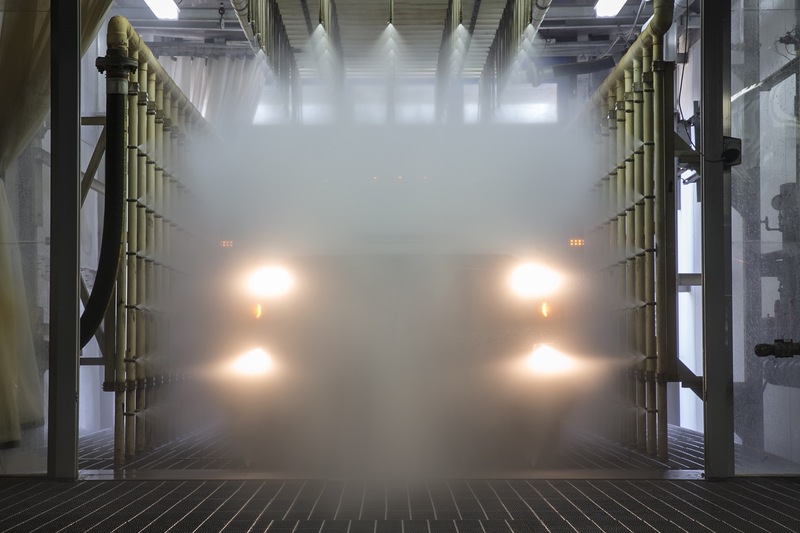 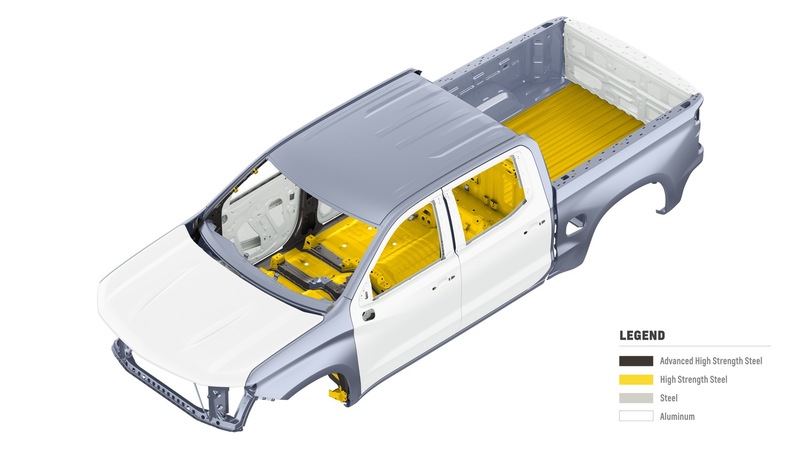 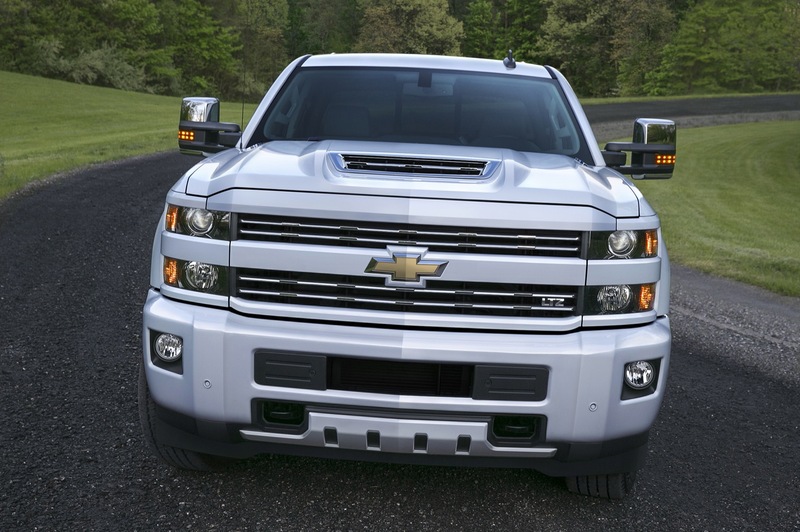 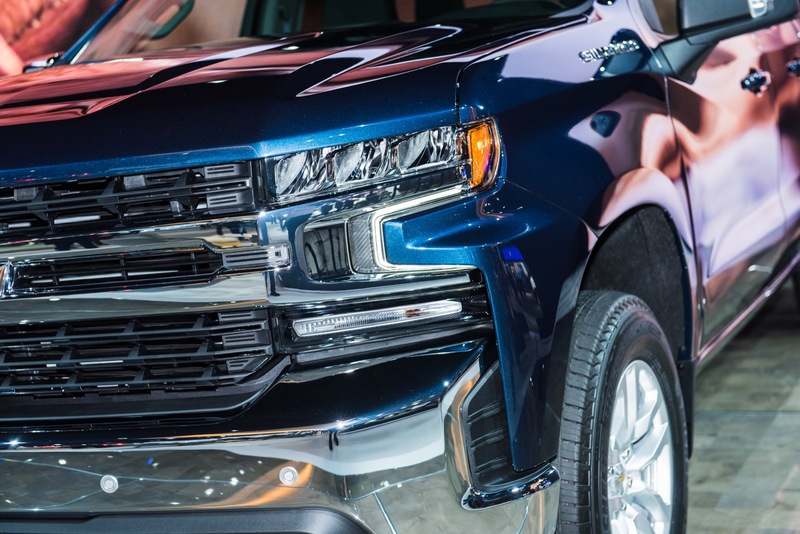 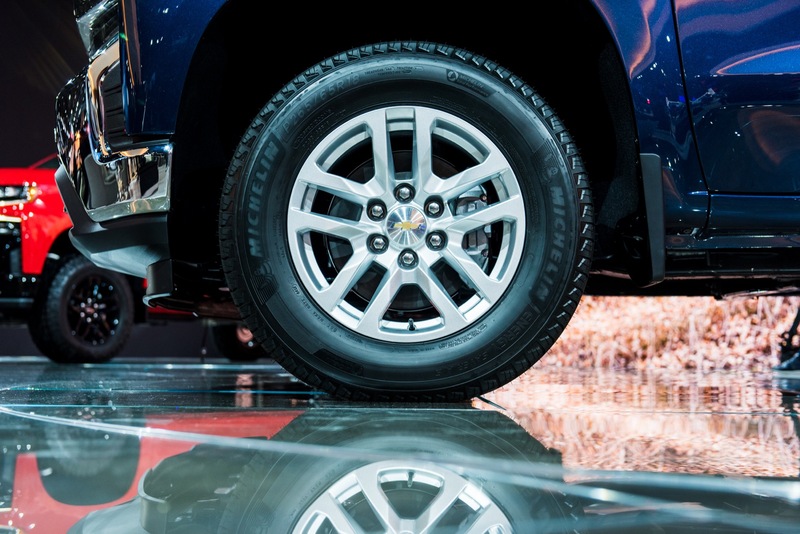 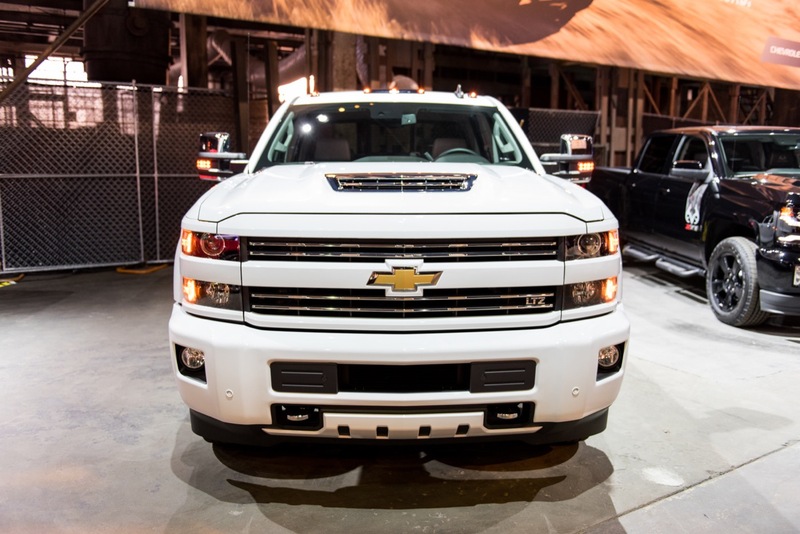 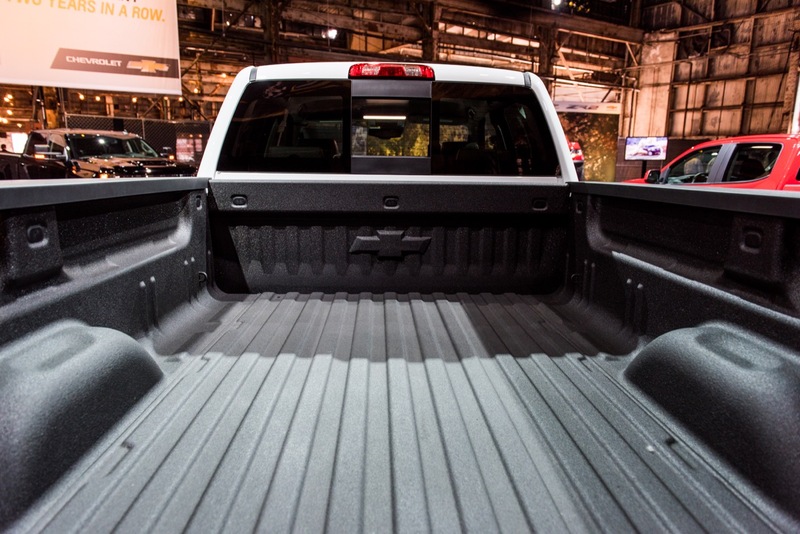 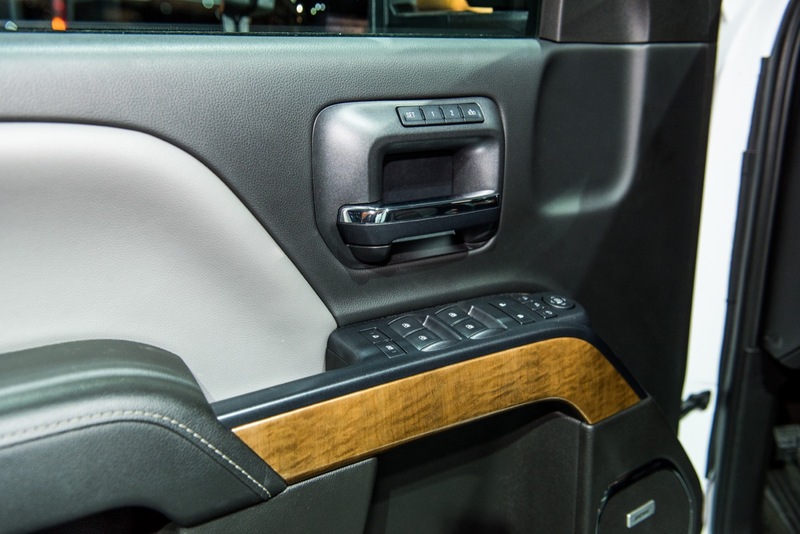 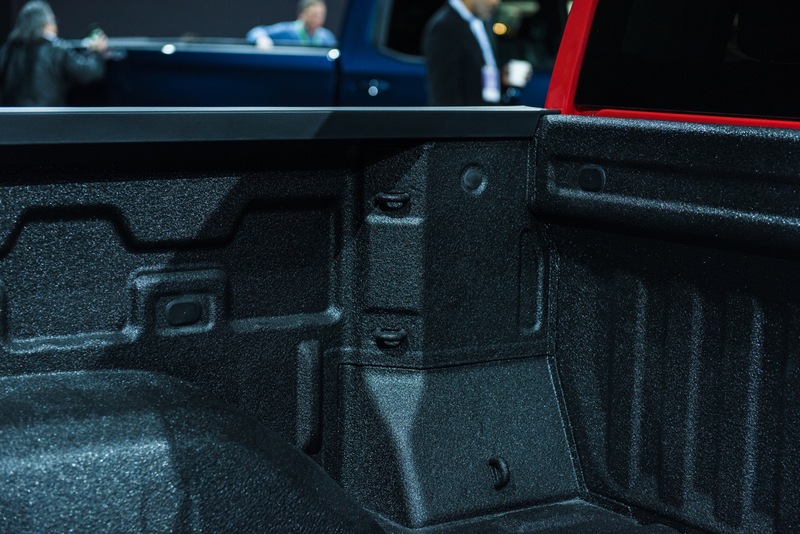 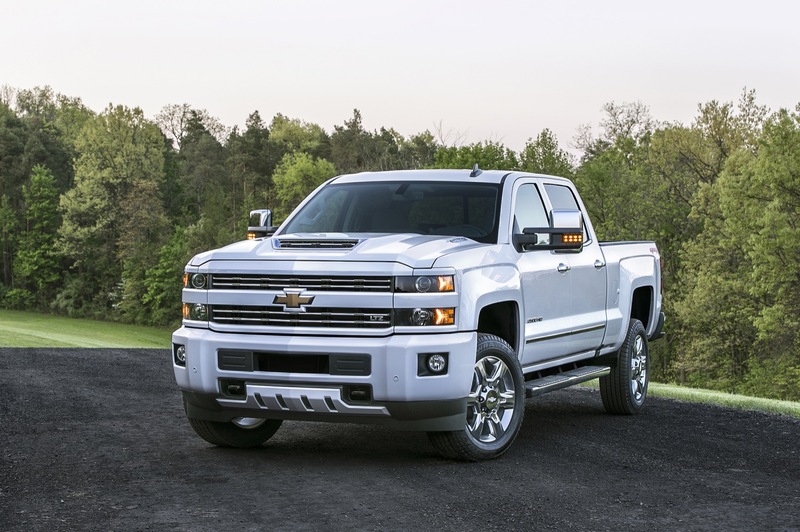 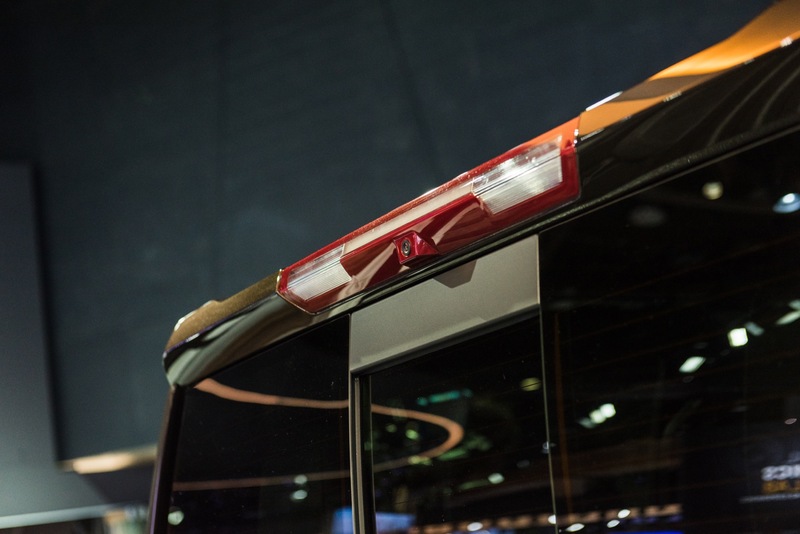 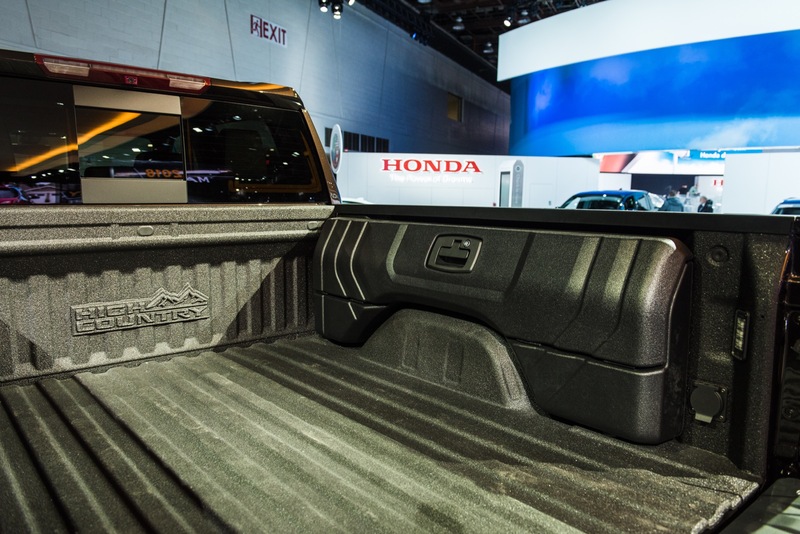 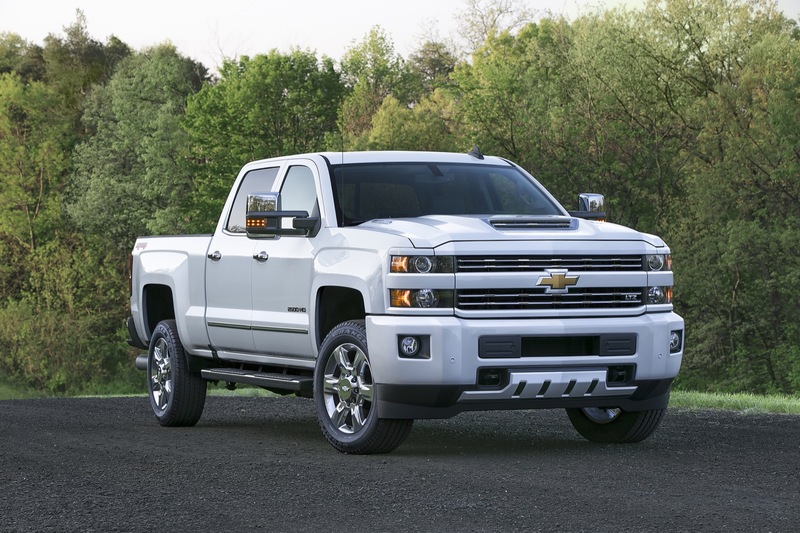 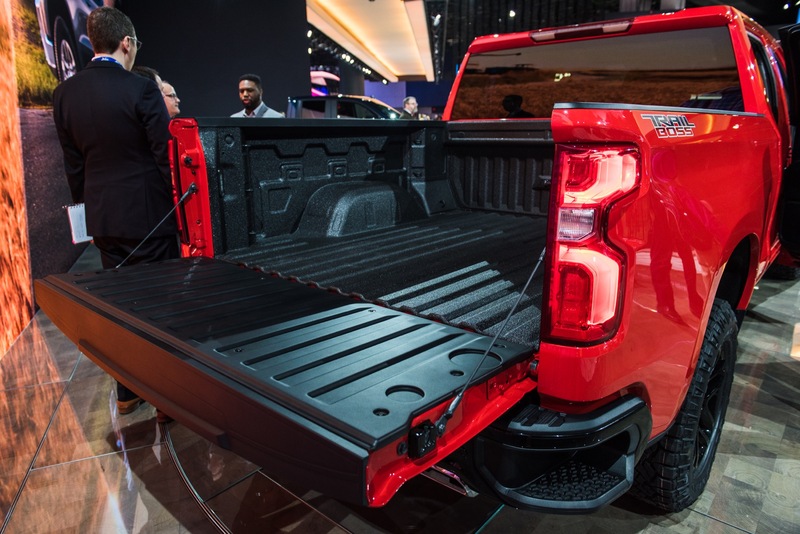 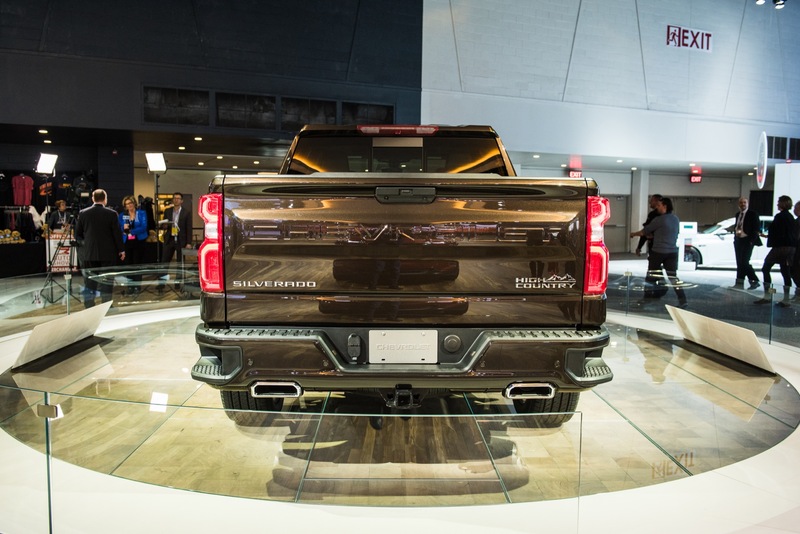 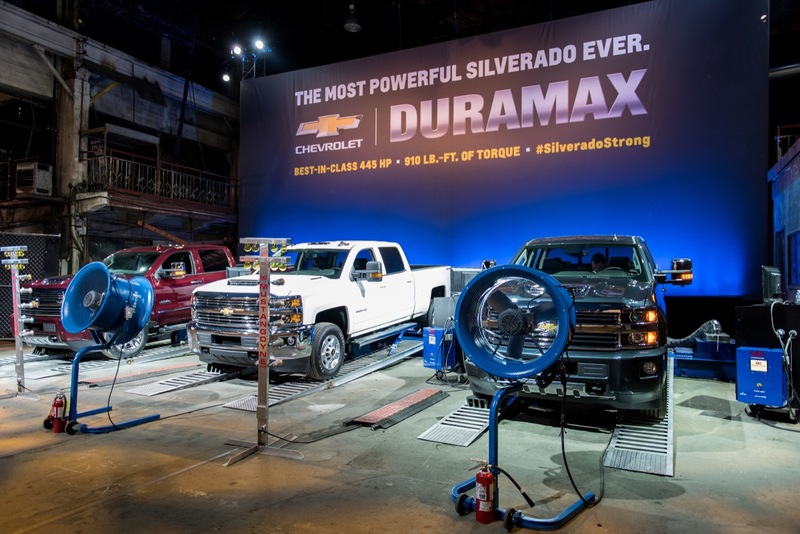 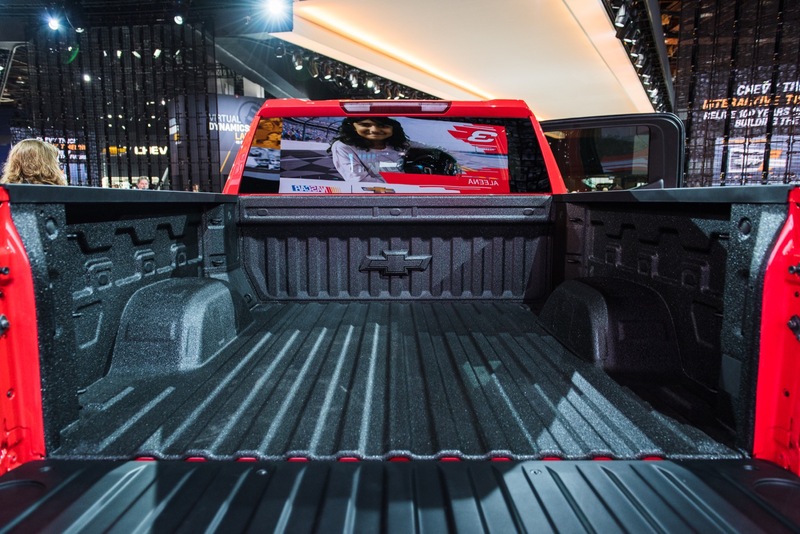 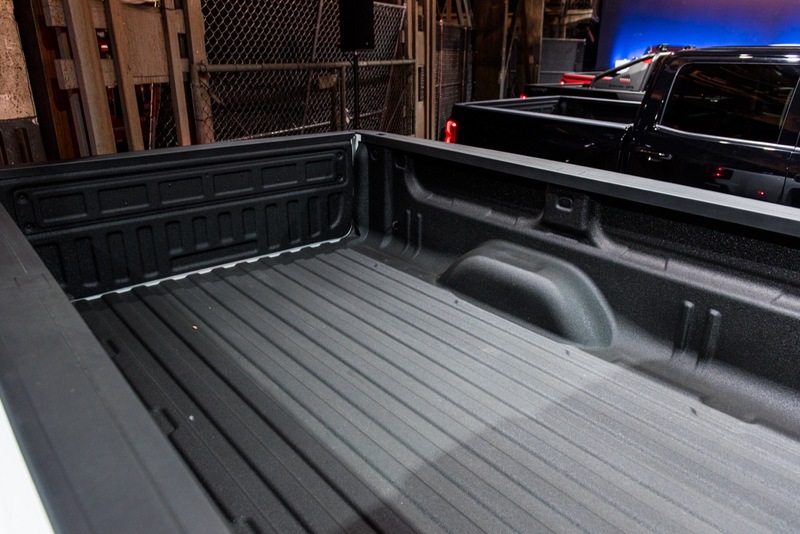 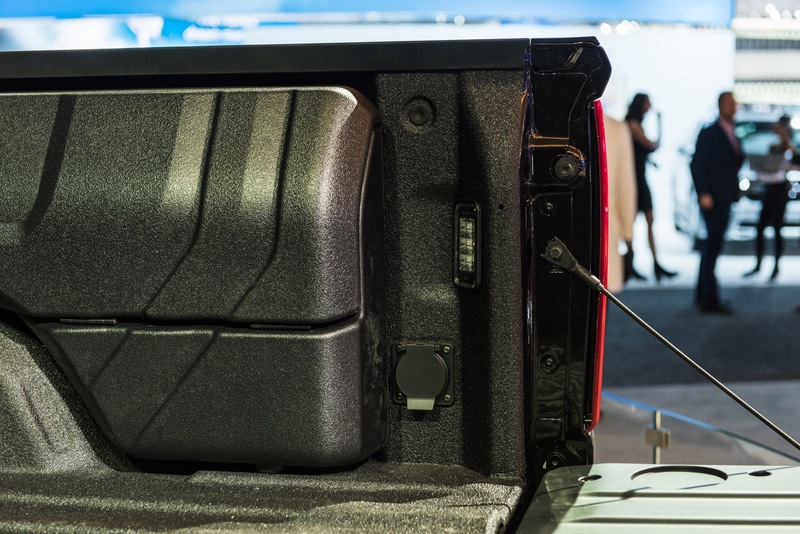 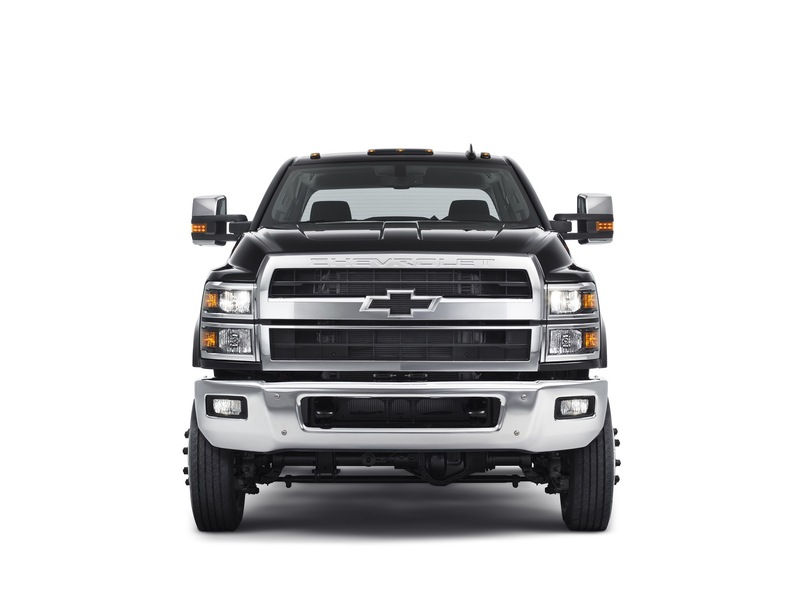 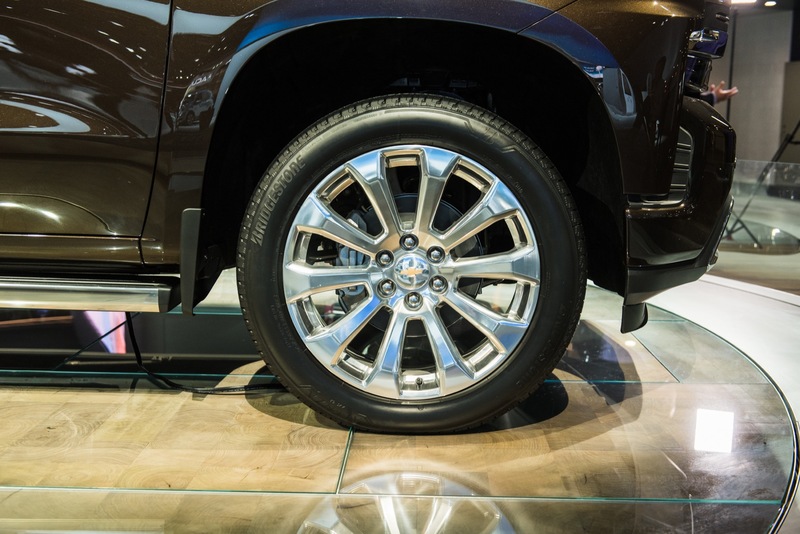 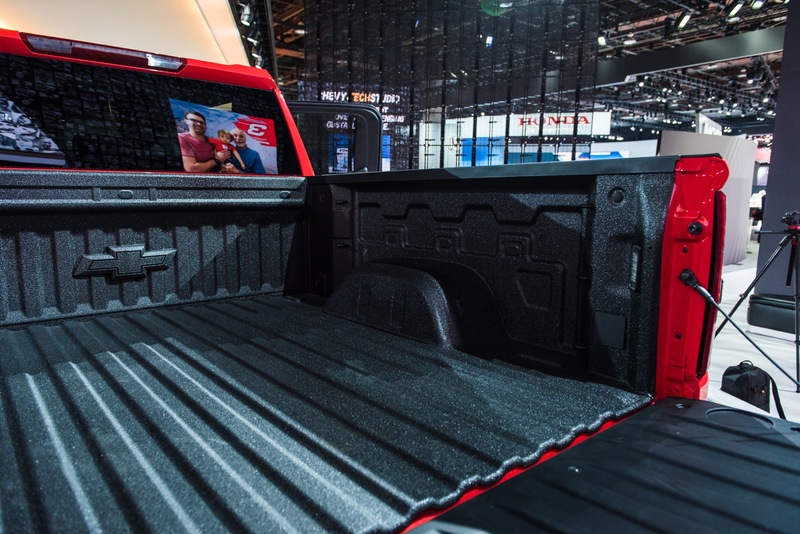 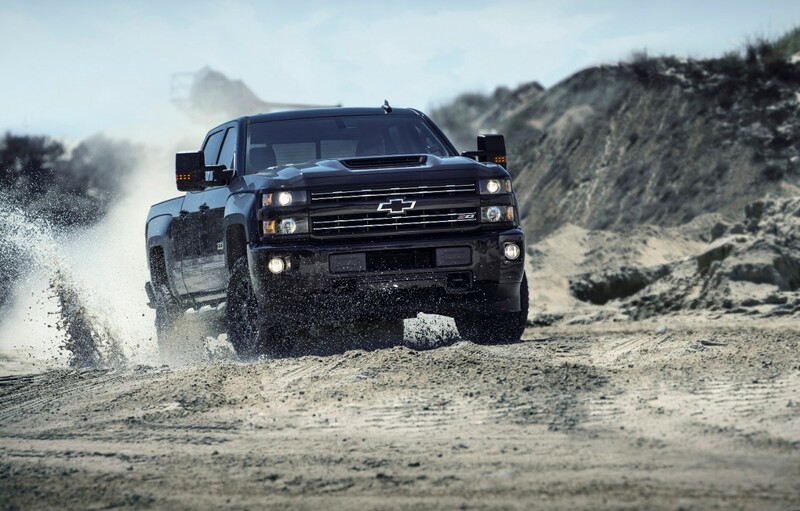 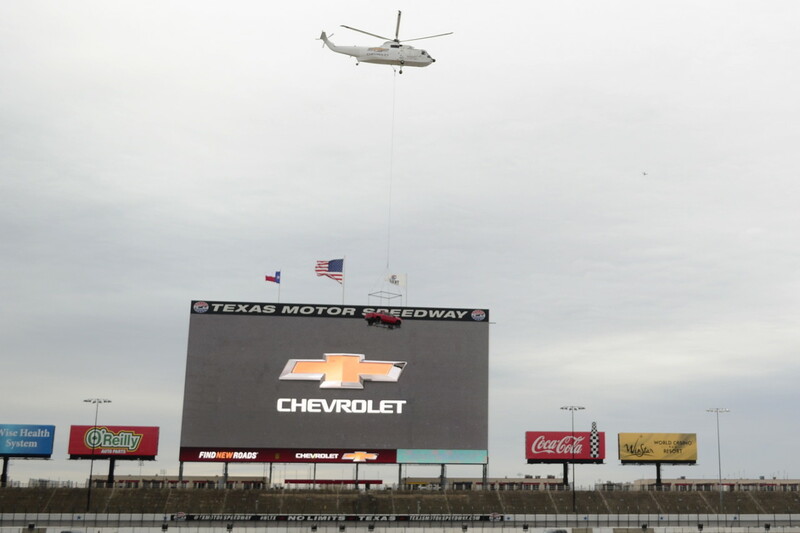 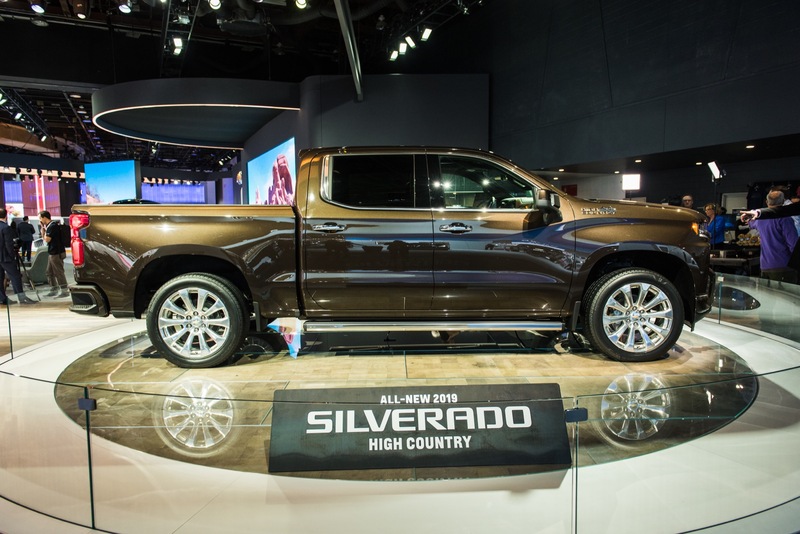 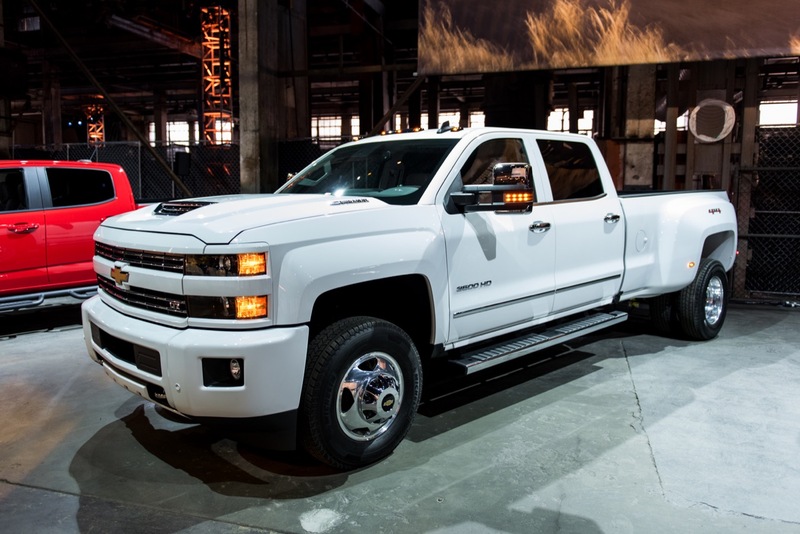 In the case of the Silverado lineup, the GVWR ranges from 6,800 pounds all the way up to 23,500 pounds. 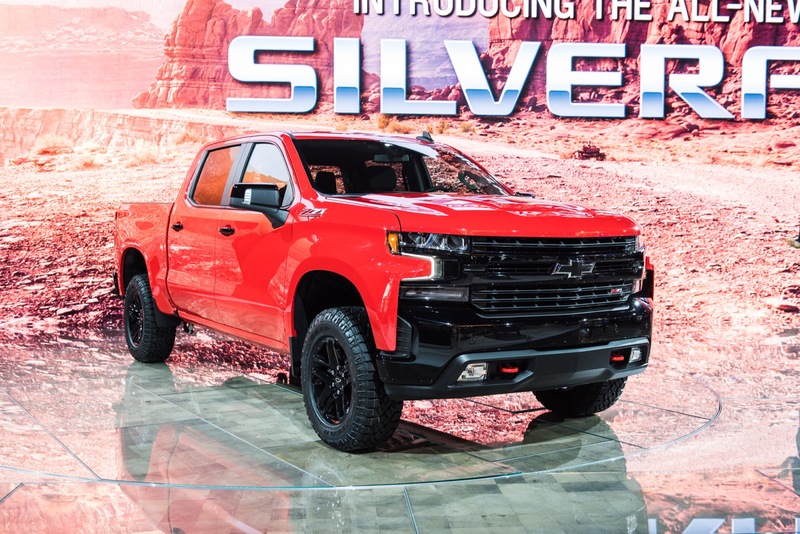 It starts at 6,800-7,300 pounds (depending on model) for the Silverado 1500, increases to 9,500-10,000 pounds for the Silverado 2500HD and then 10,500-13,025 for the Silverado 3500HD. 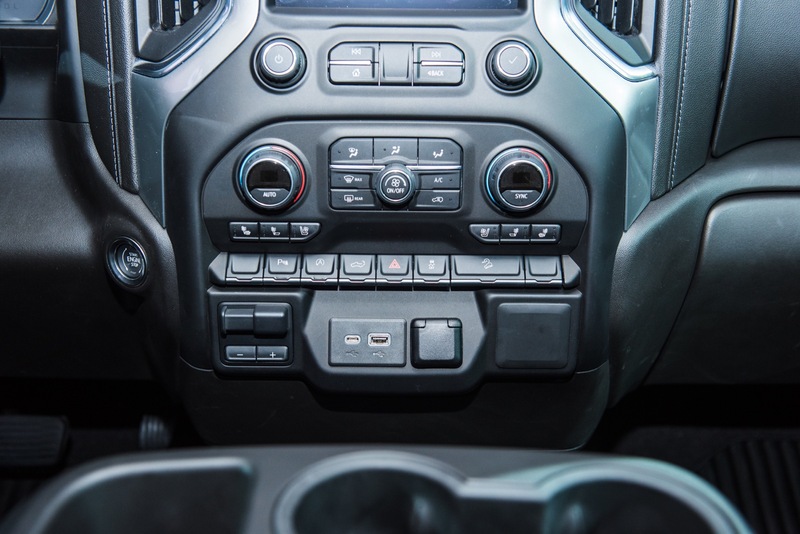 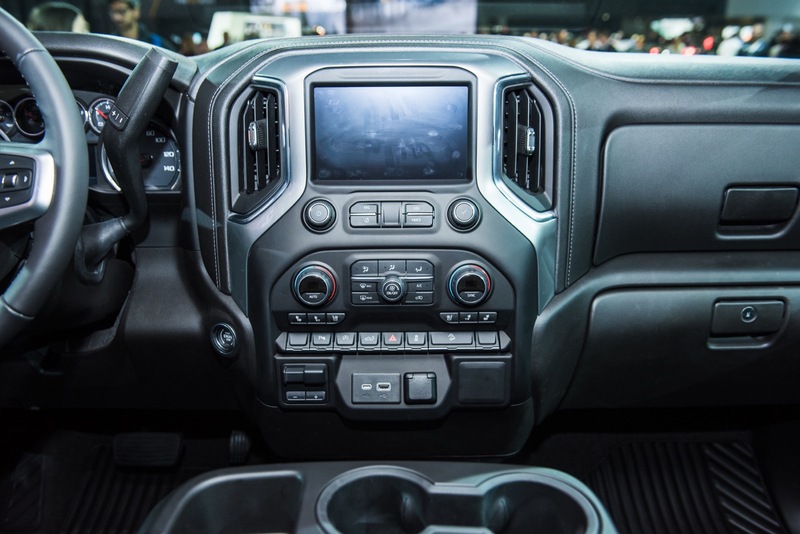 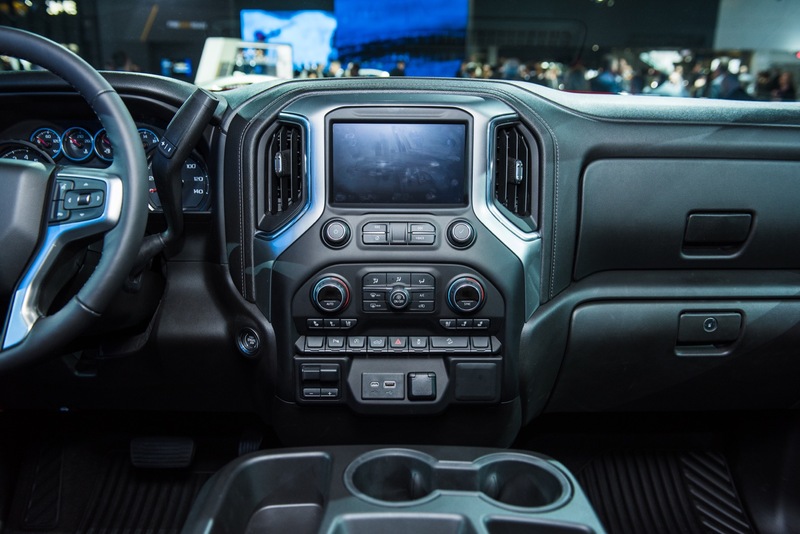 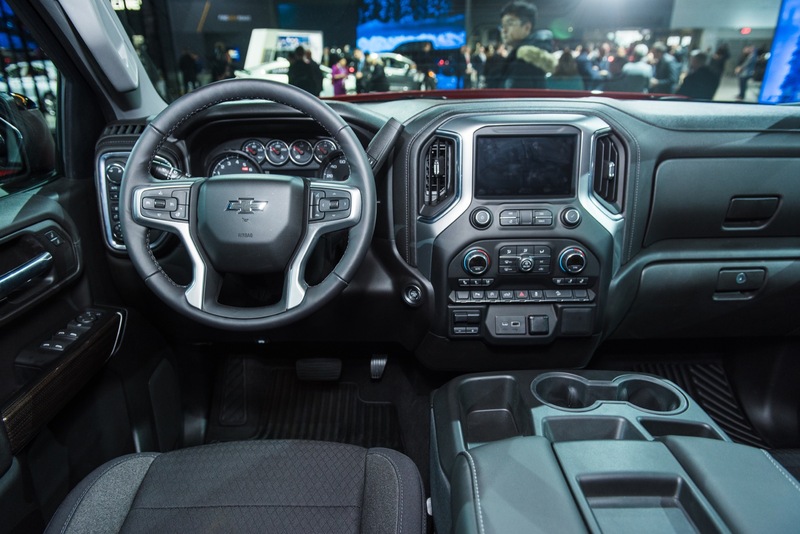 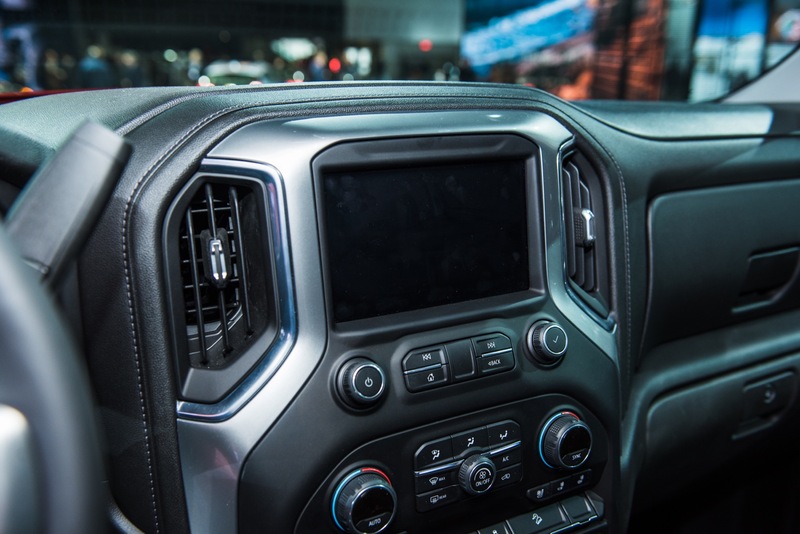 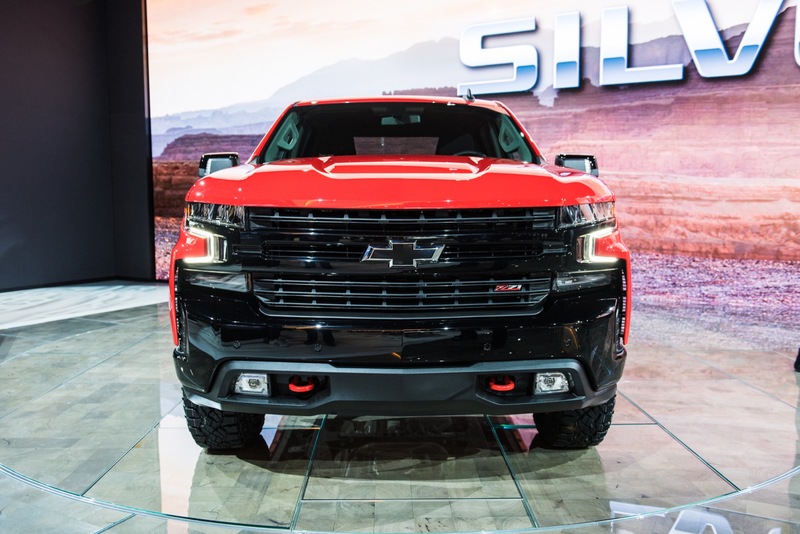 It then increases to 15,000-16,000 pounds for the Silverado 4500HD, 17,000-19,500 for the Silverado 5500HD, and then 21,000-23,500 for the Silverado 6500HD. 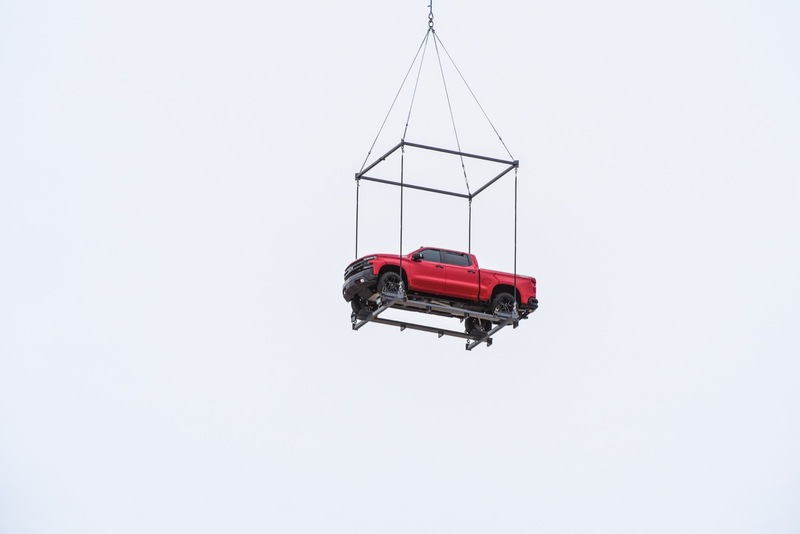 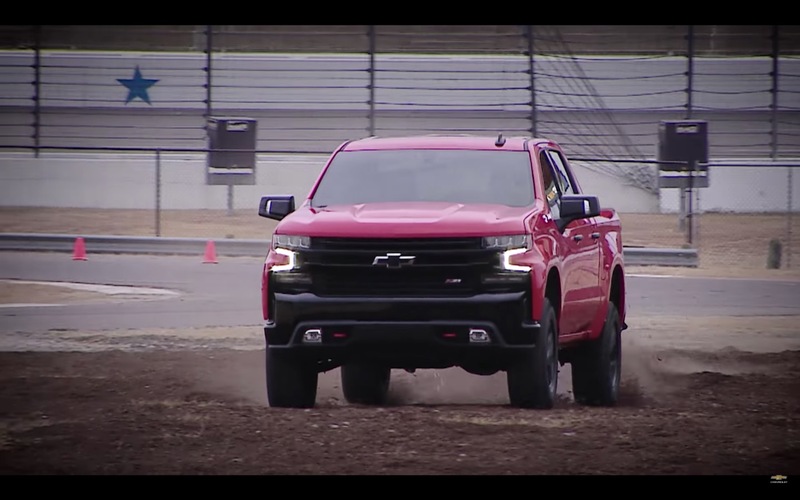 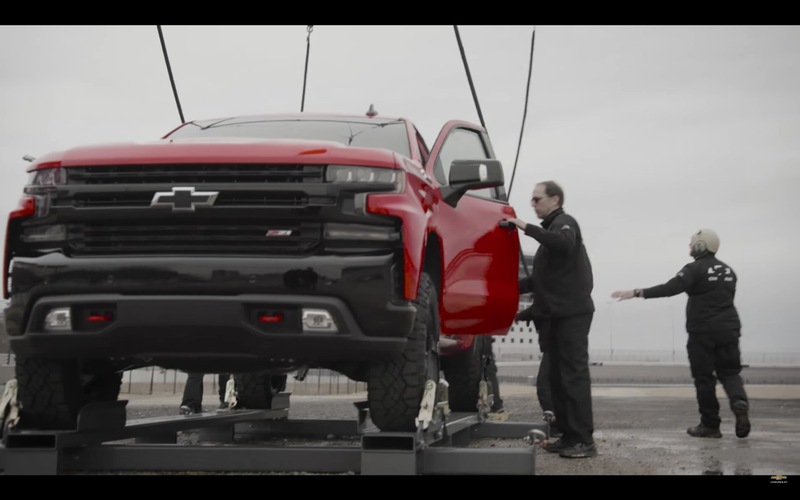 The amount the truck can carry, the payload, also scales rather nicely on the 2019 Silverado lineup, starting at 2,250 pounds. 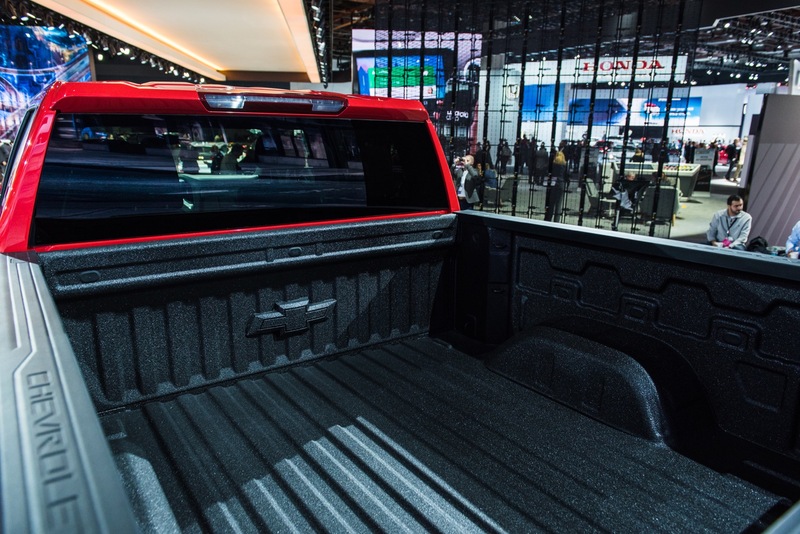 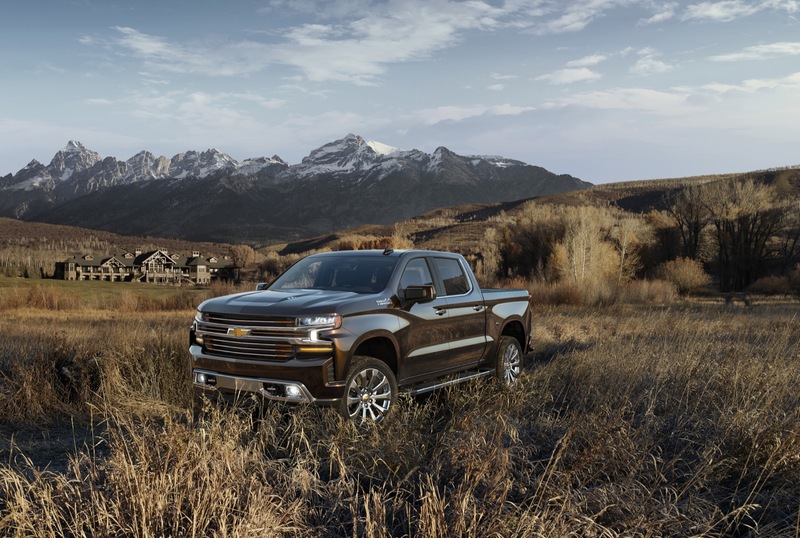 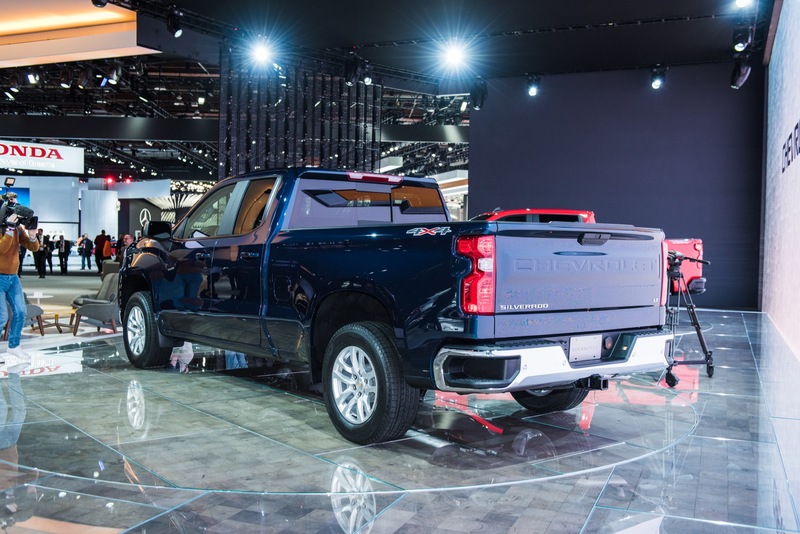 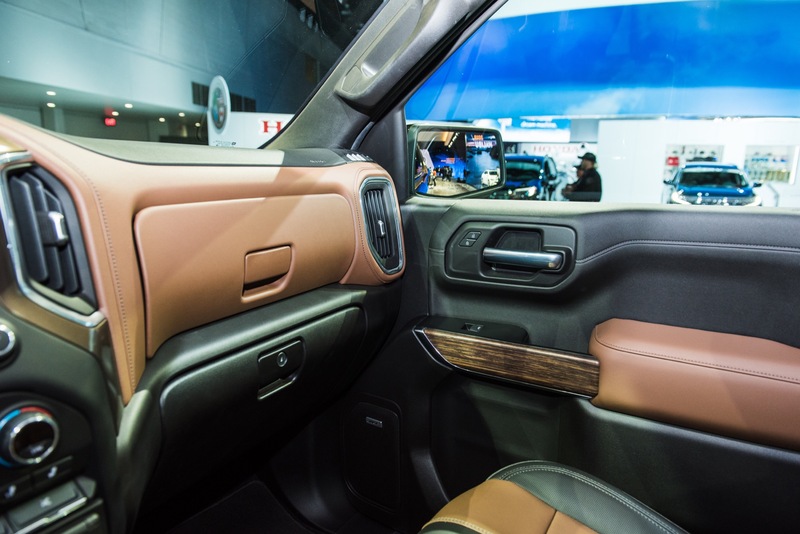 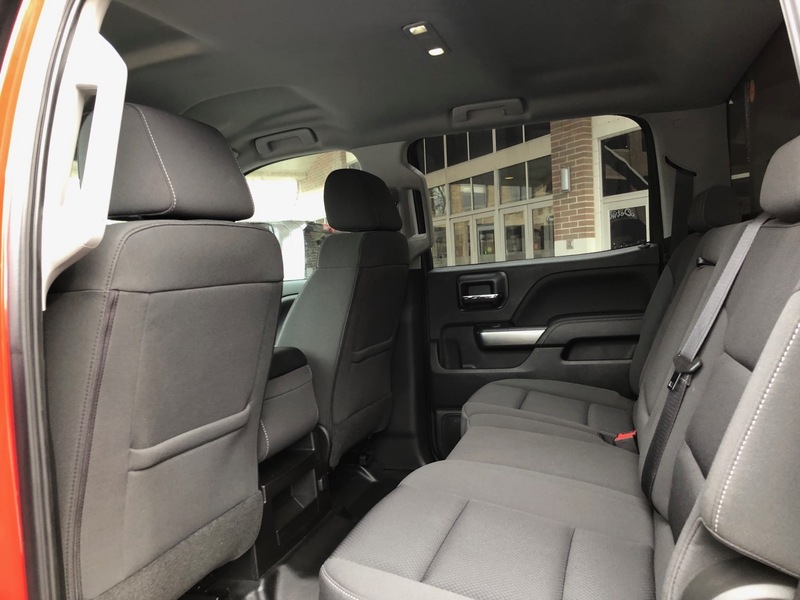 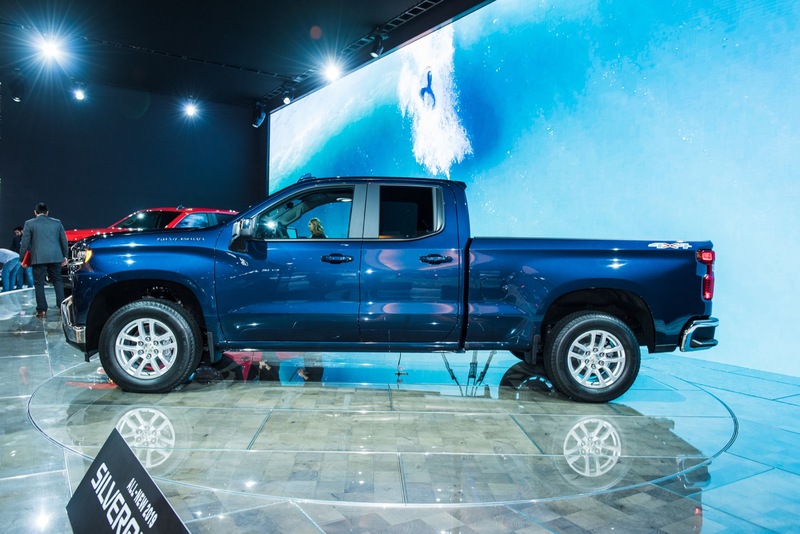 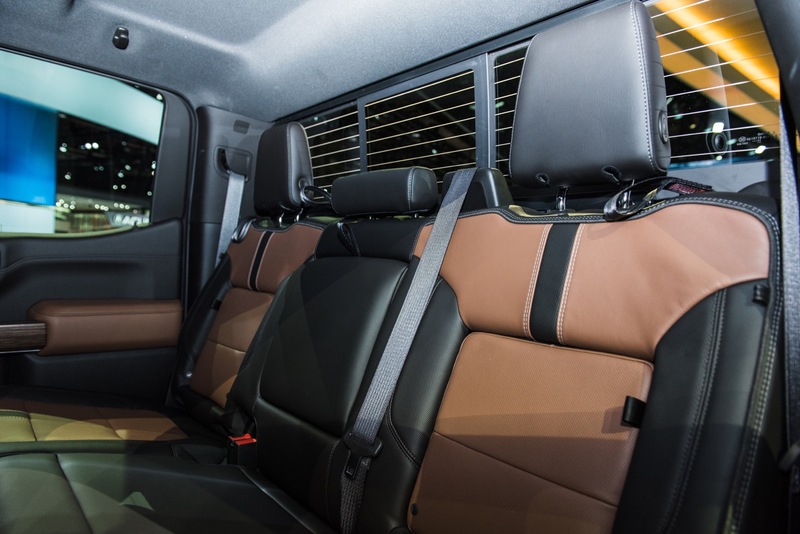 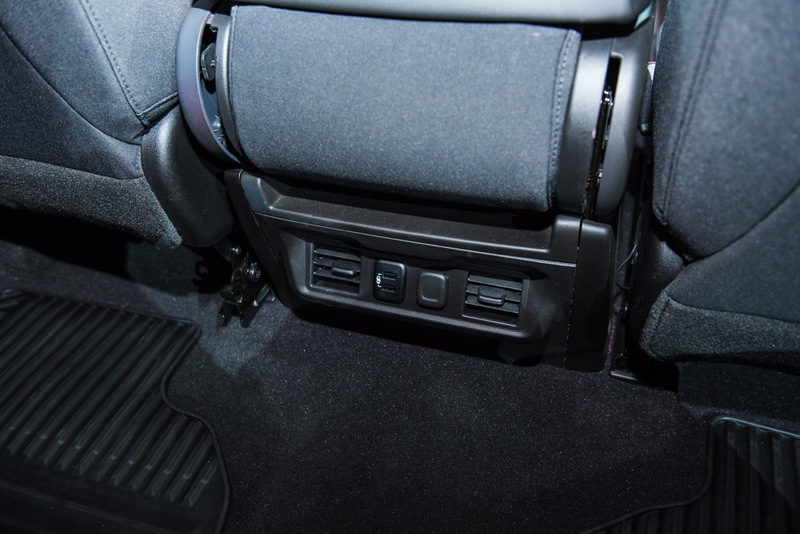 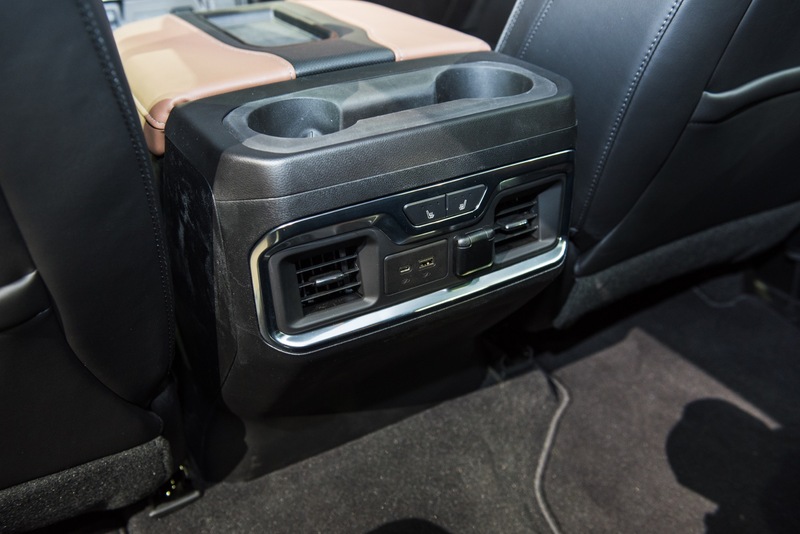 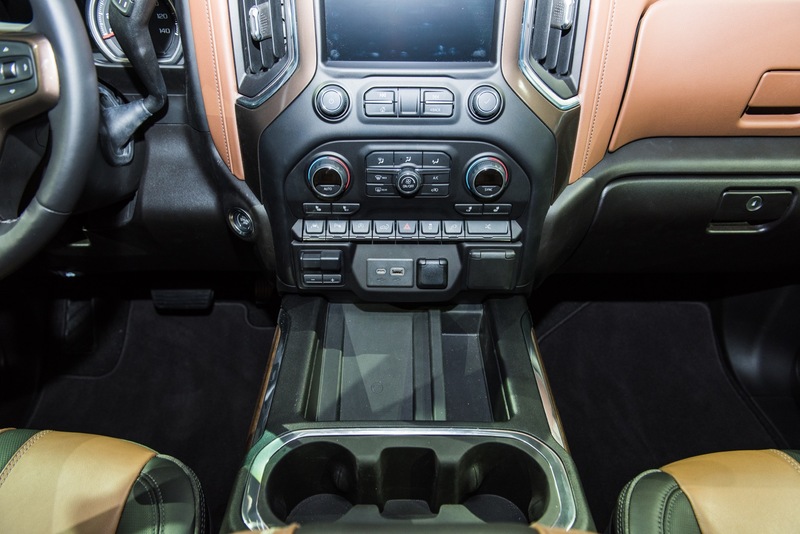 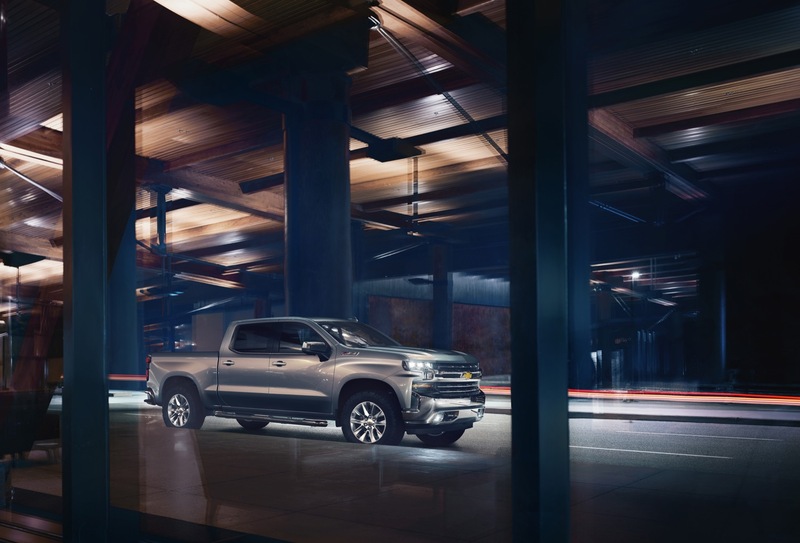 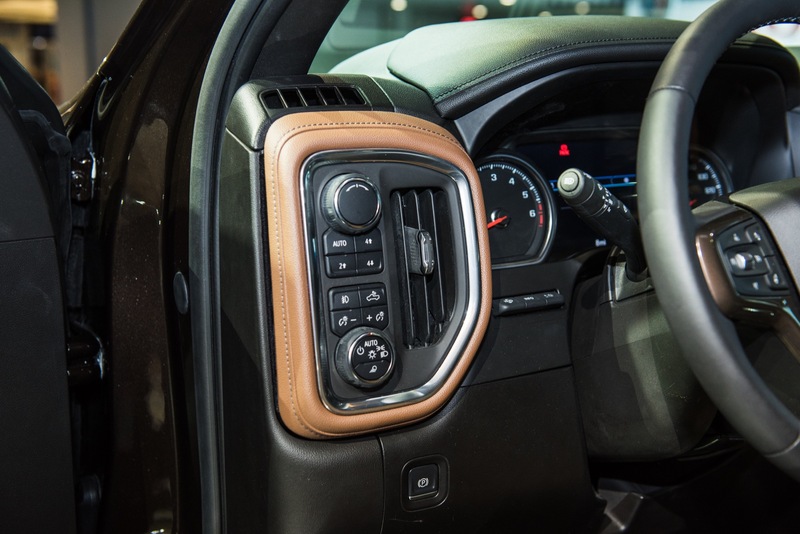 The all-new 2019 Silverado 1500 has a maximum payload of 2,250 pounds, achieved by the 2WD model with a Regular Cab and Long Bed. 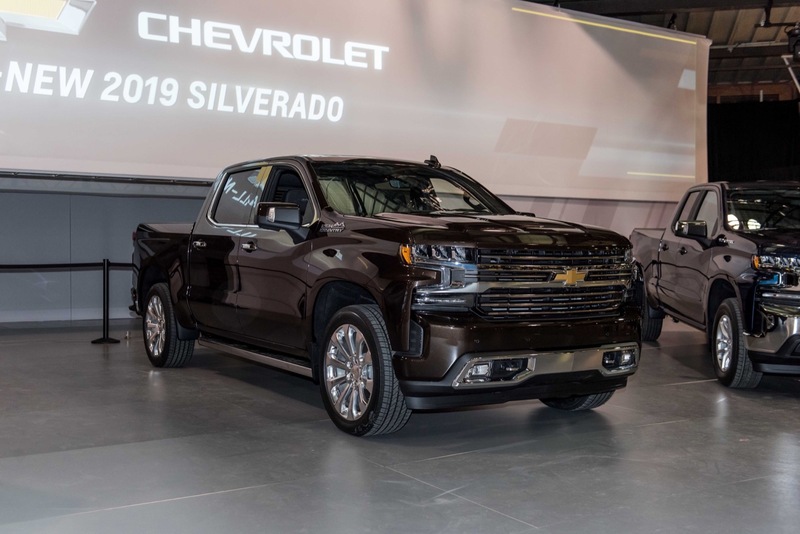 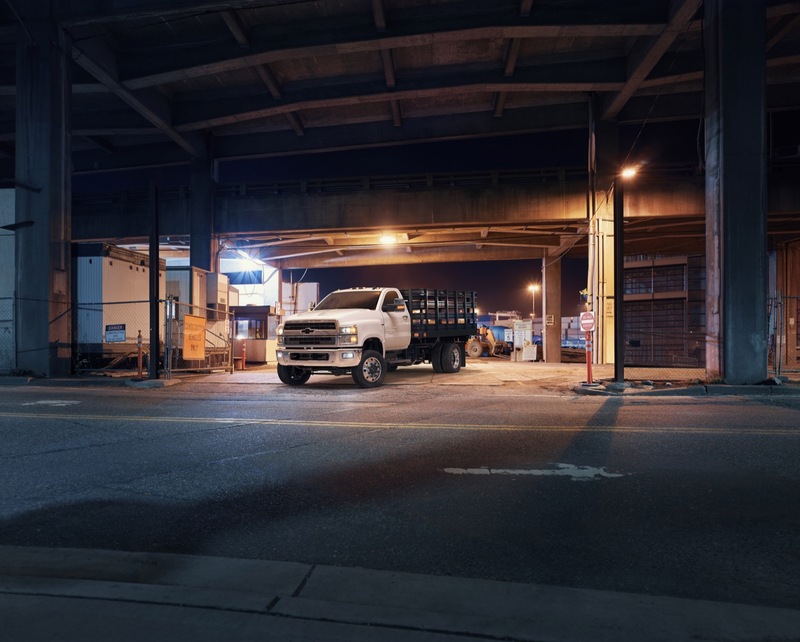 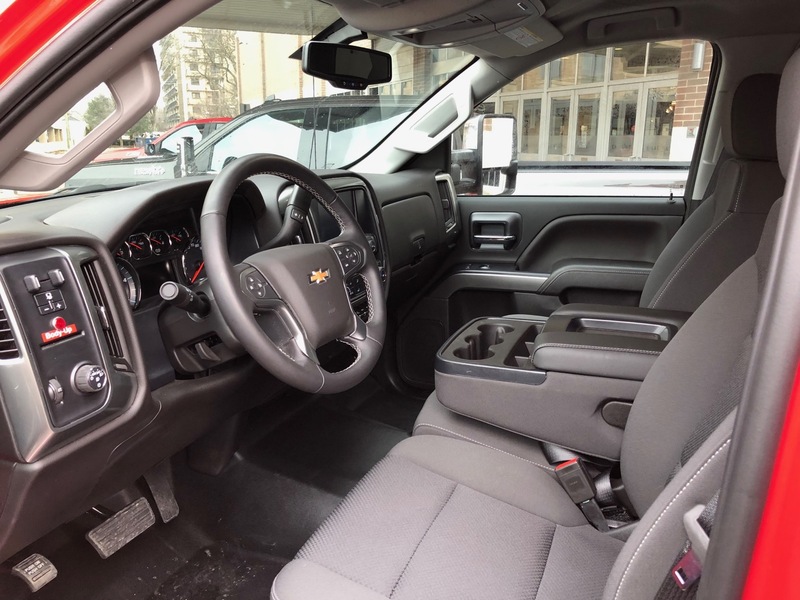 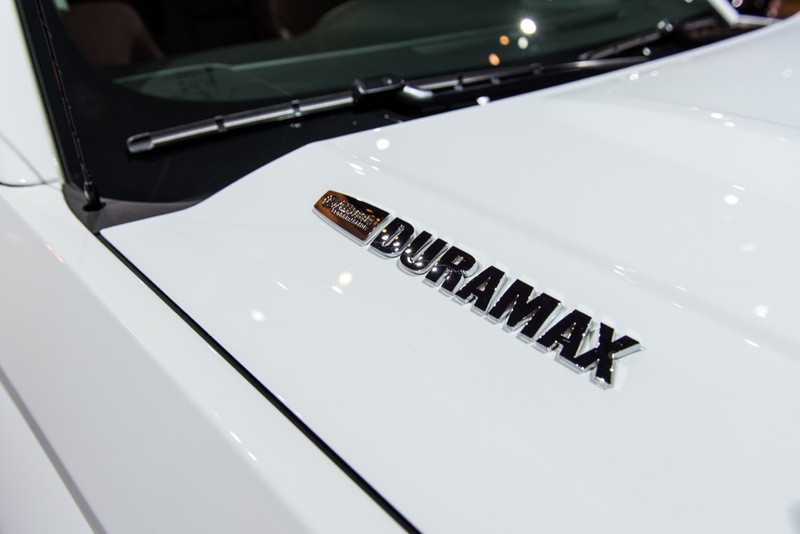 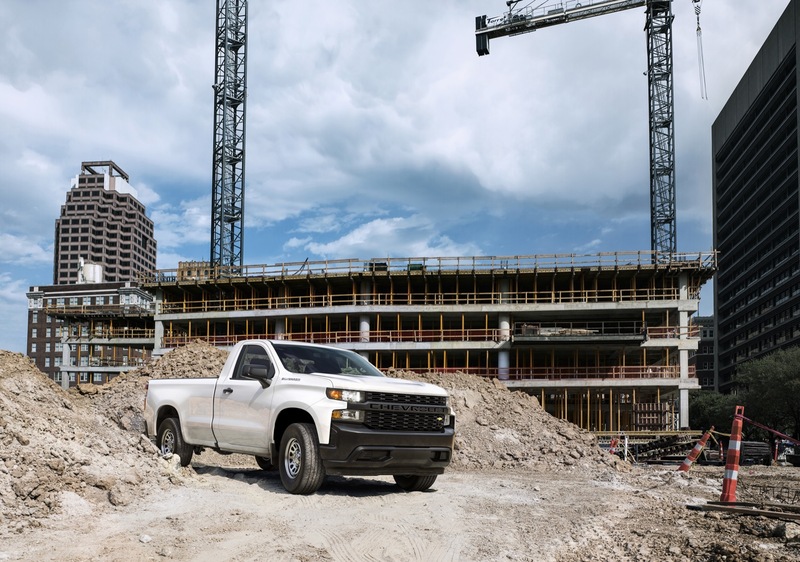 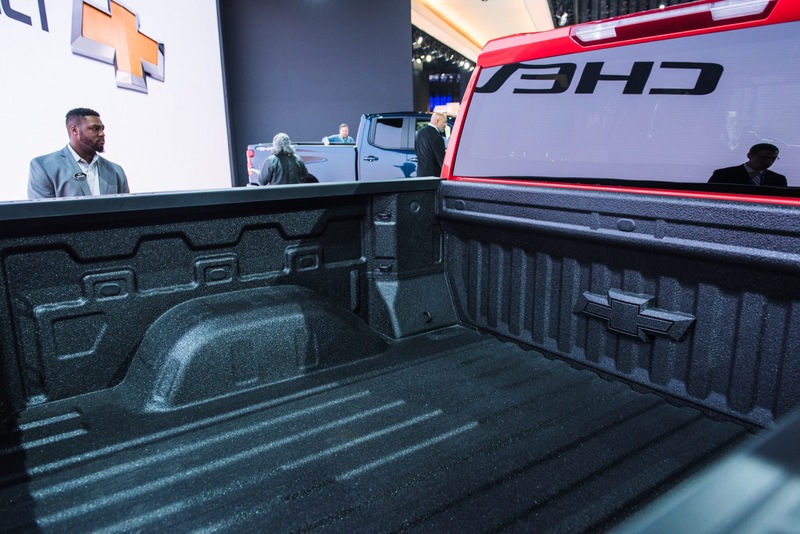 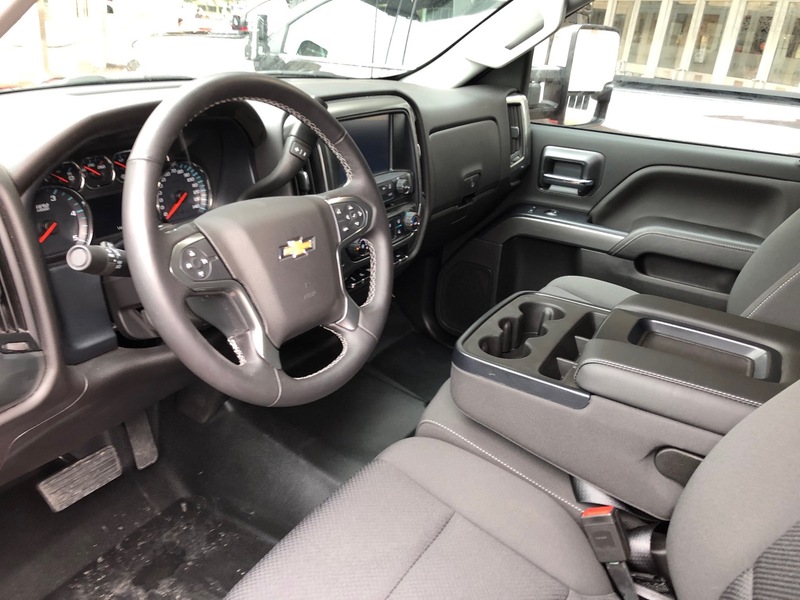 From there, the 2019 Silverado 2500HD has a max payload of 3,410 pounds – achieved with the 4WD Regular Cab Long Box model with the 6.0L V8 L96 engine. 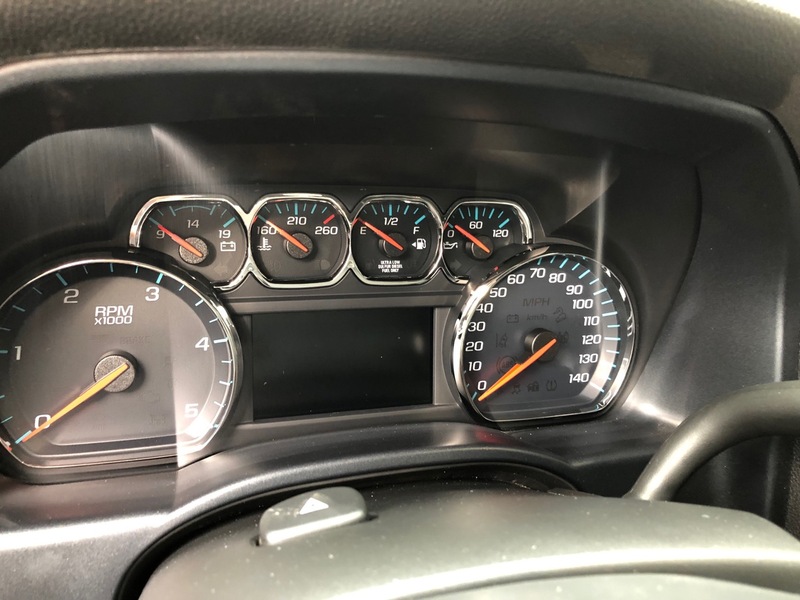 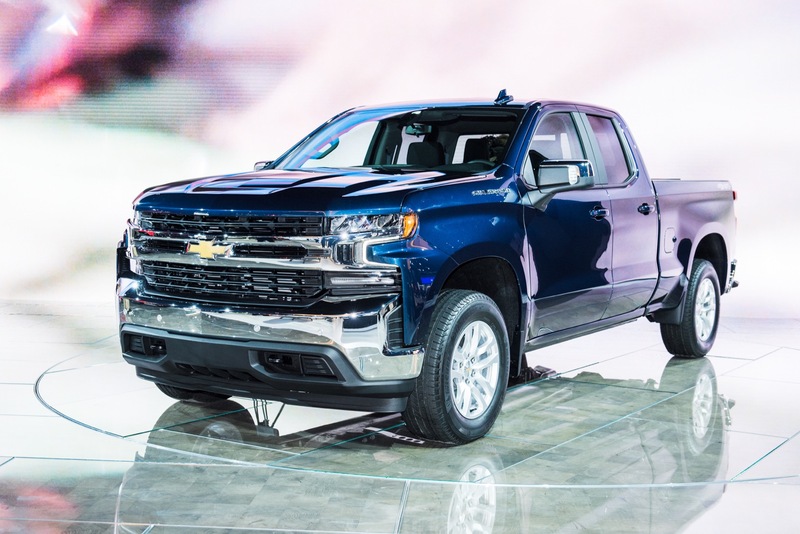 Meanwhile, the Silverado 3500HD has a maximum payload of 6,112 pounds, achieved with the dually 2WD Long Box Crew Cab with the same 6.0L V8 L96. 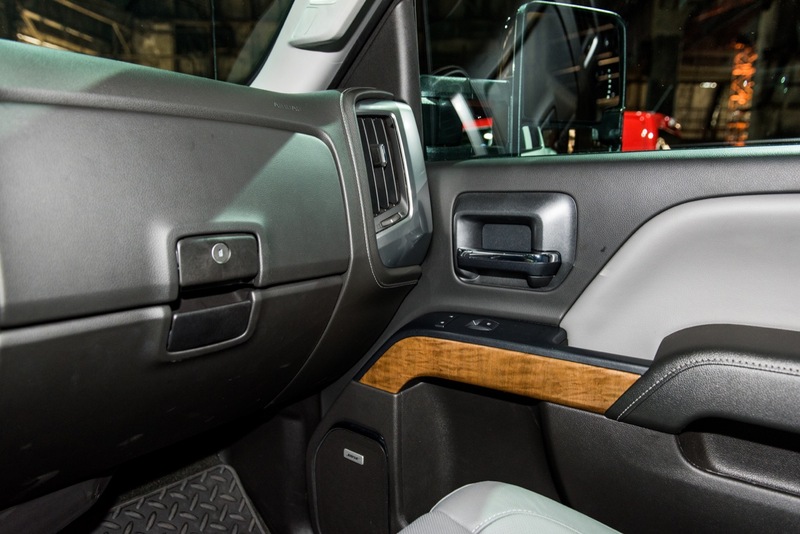 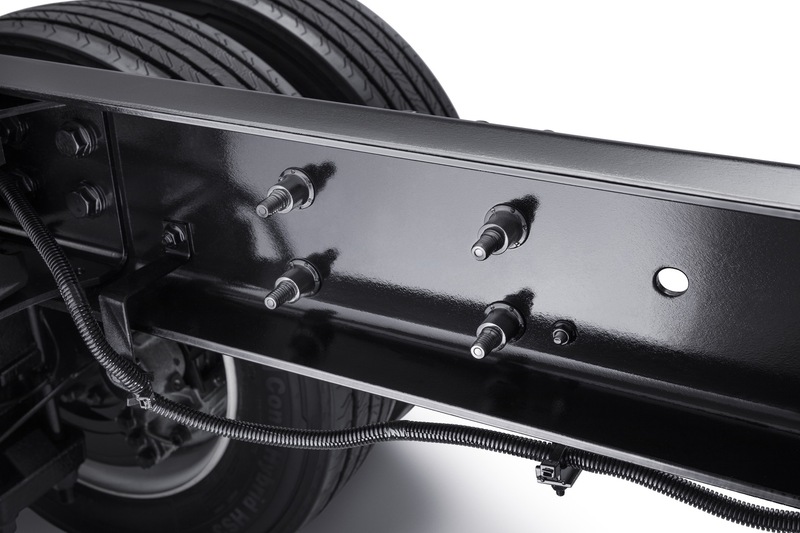 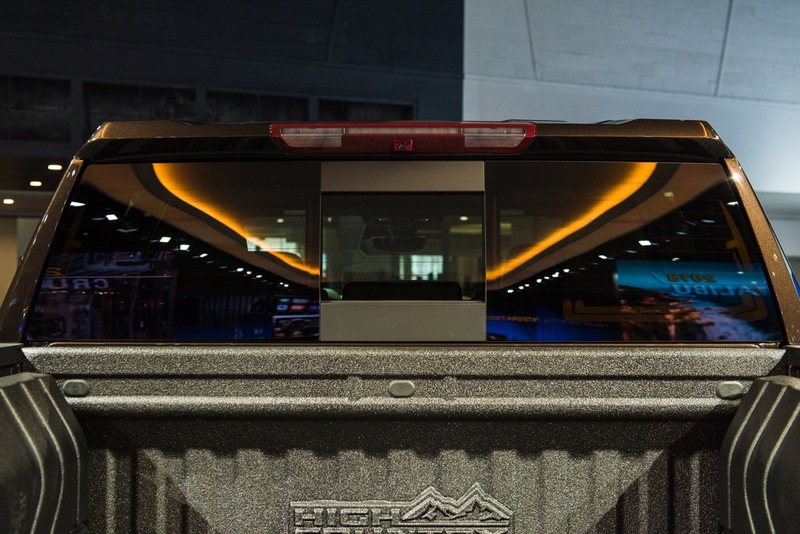 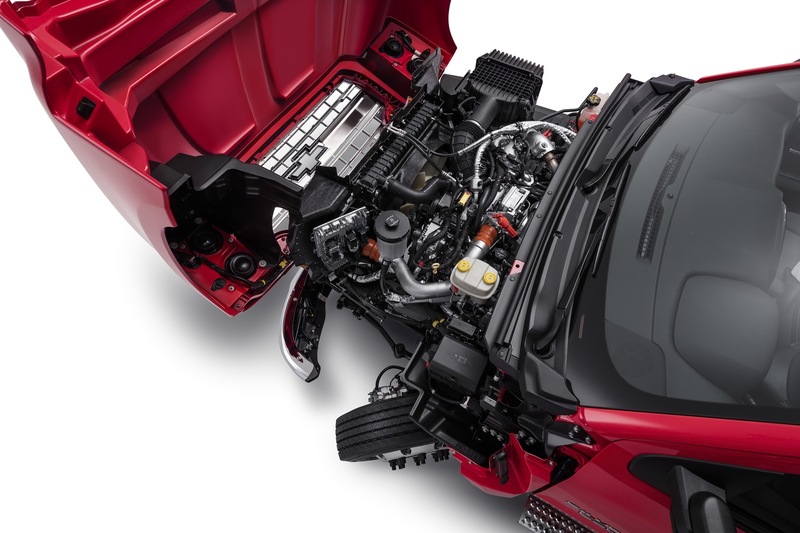 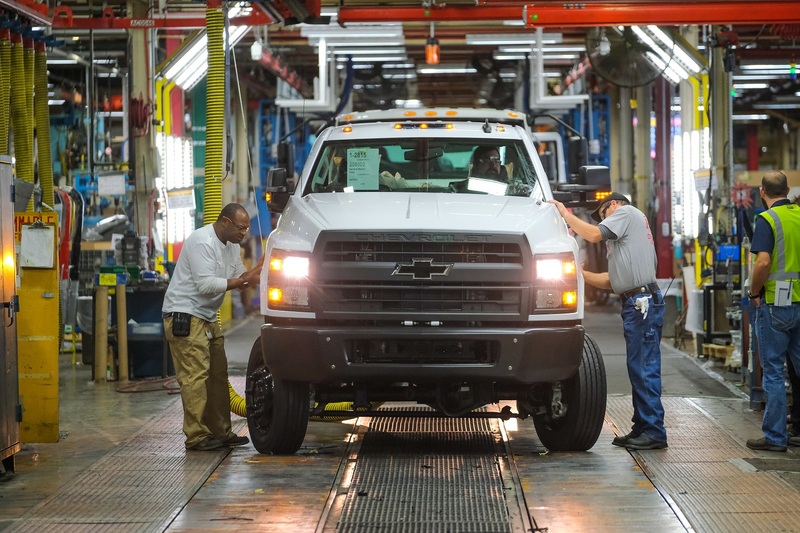 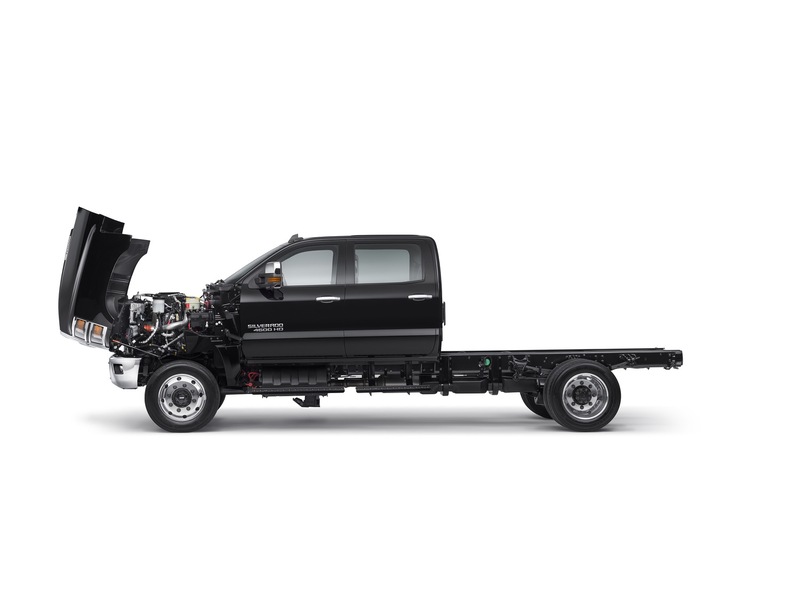 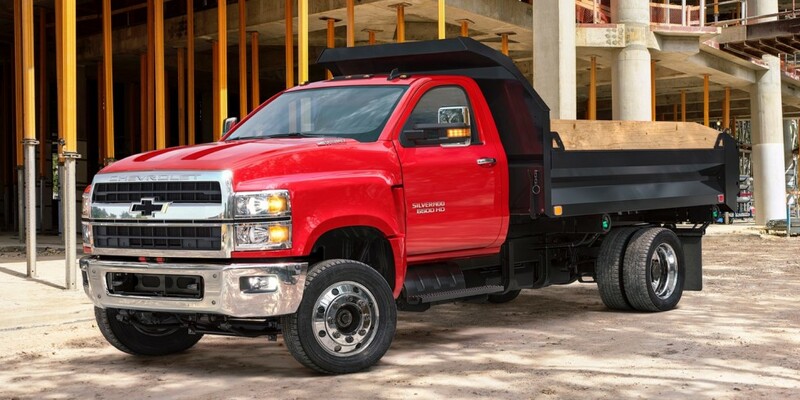 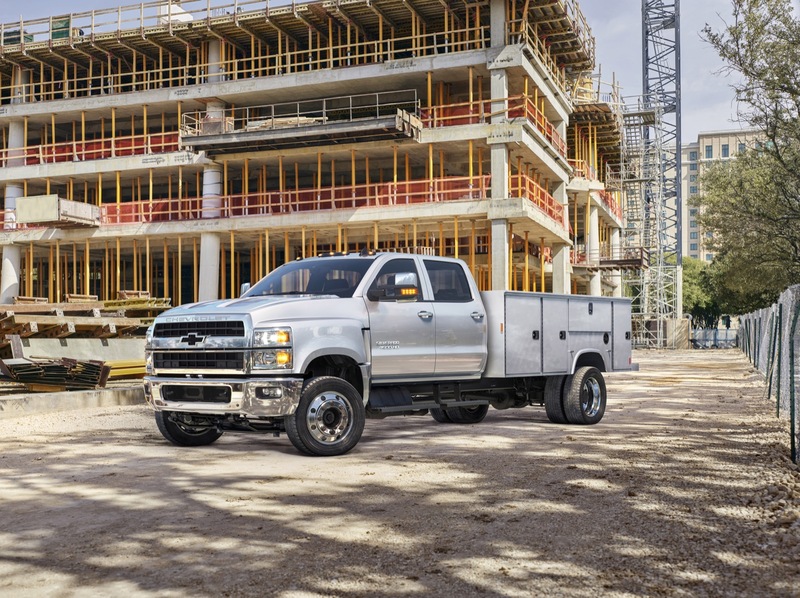 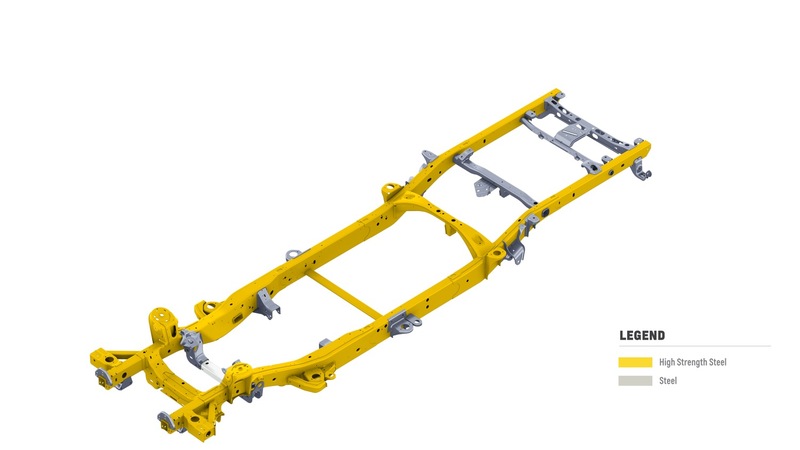 The Silverado 3500HD Chassis Cab (CC) has an even higher maximum payload of 13,200 pounds. 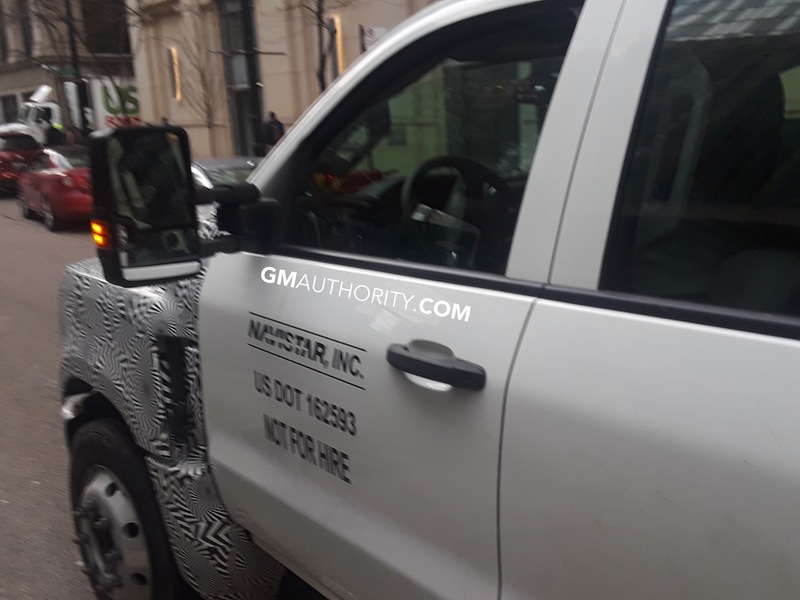 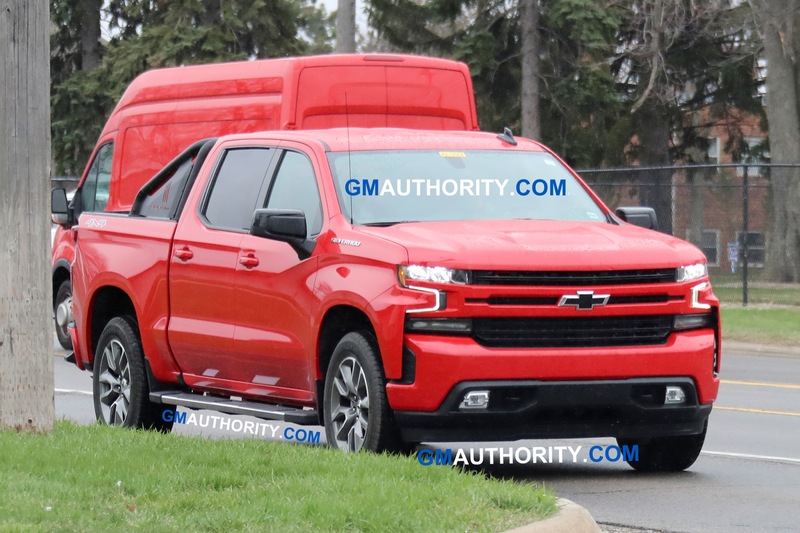 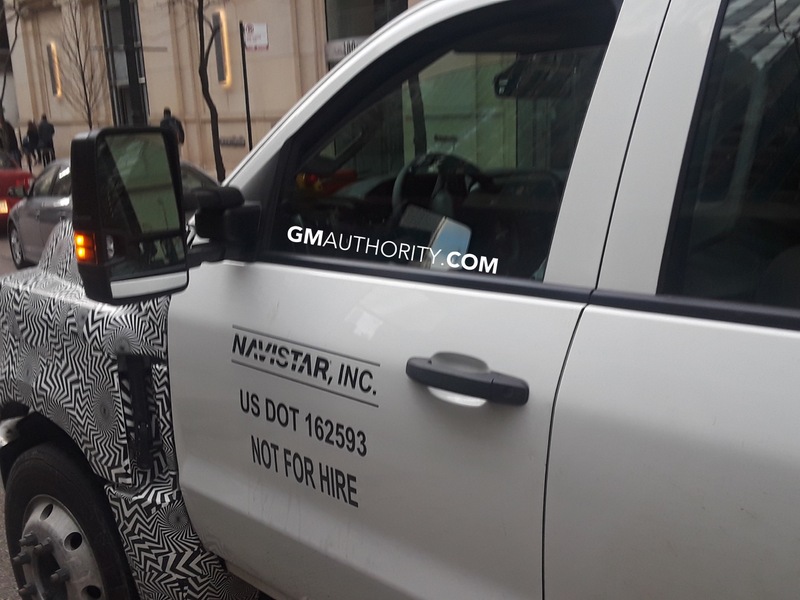 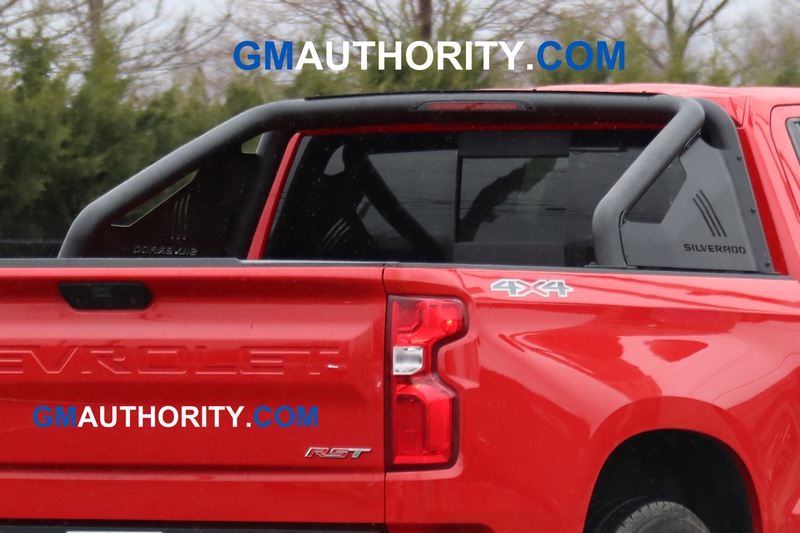 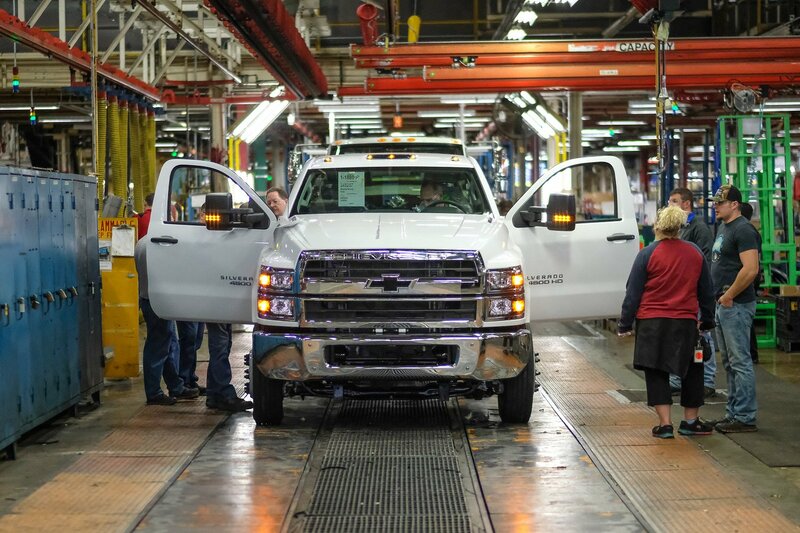 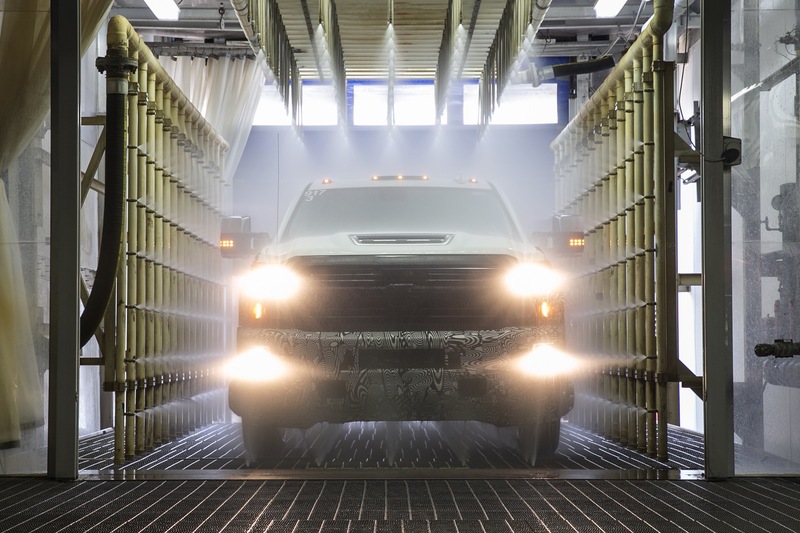 Payload for the 2019 Silverado Medium Duty models has not been announced just yet. 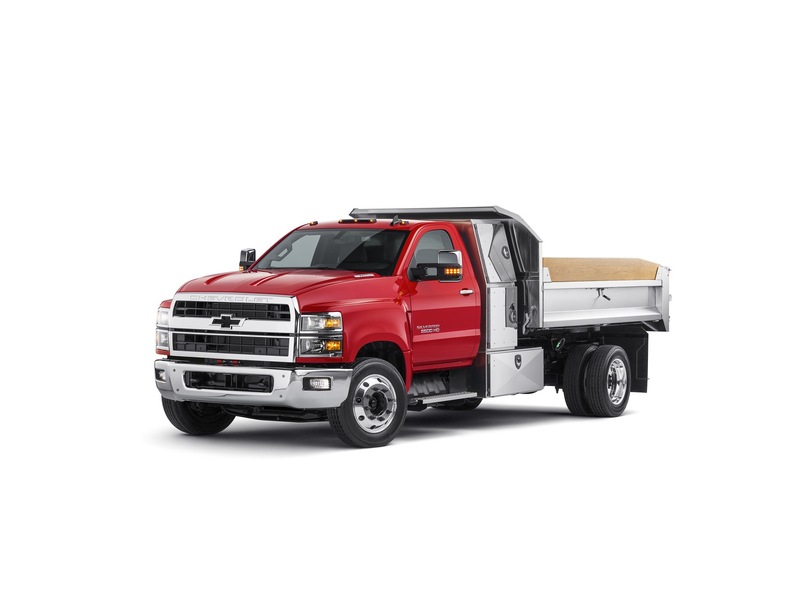 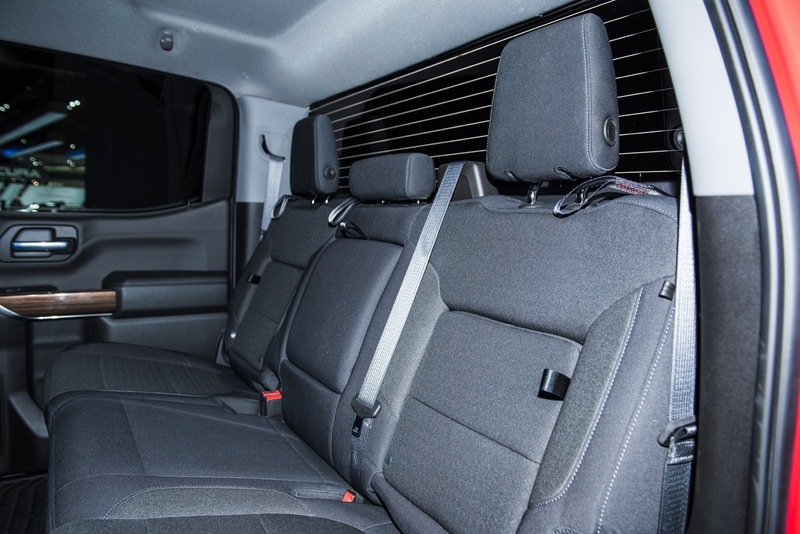 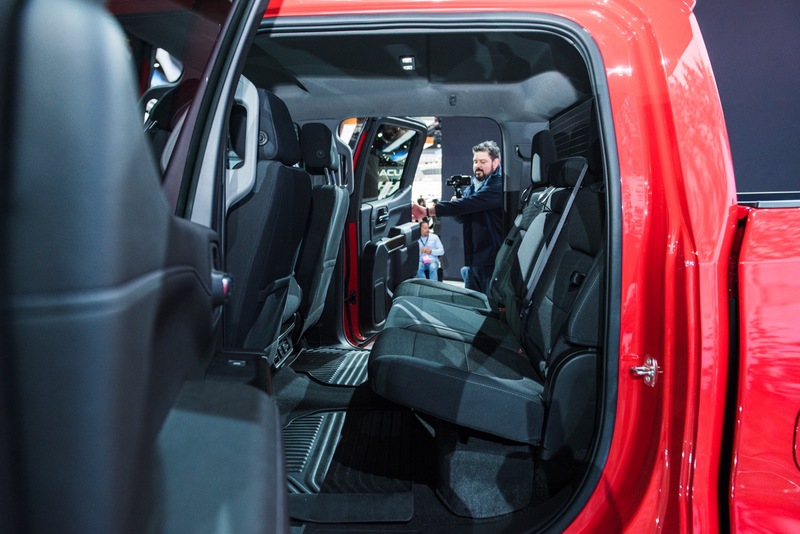 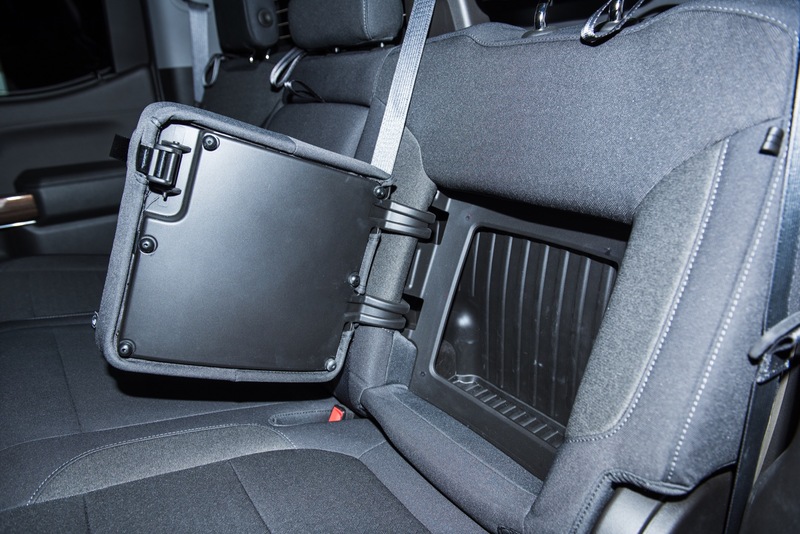 To note, maximum payload capacities include weight of driver, passengers, optional equipment and cargo. 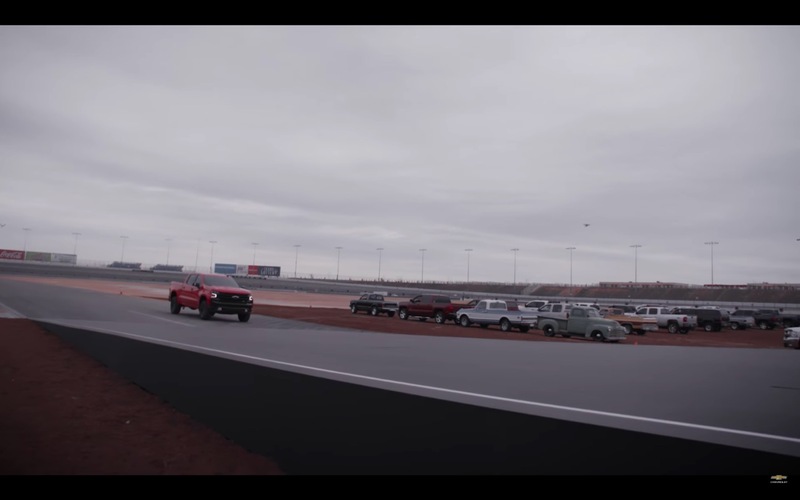 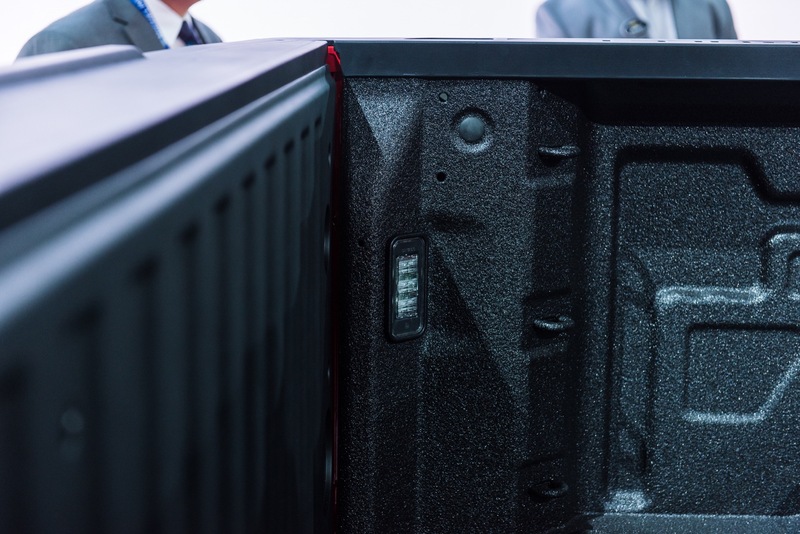 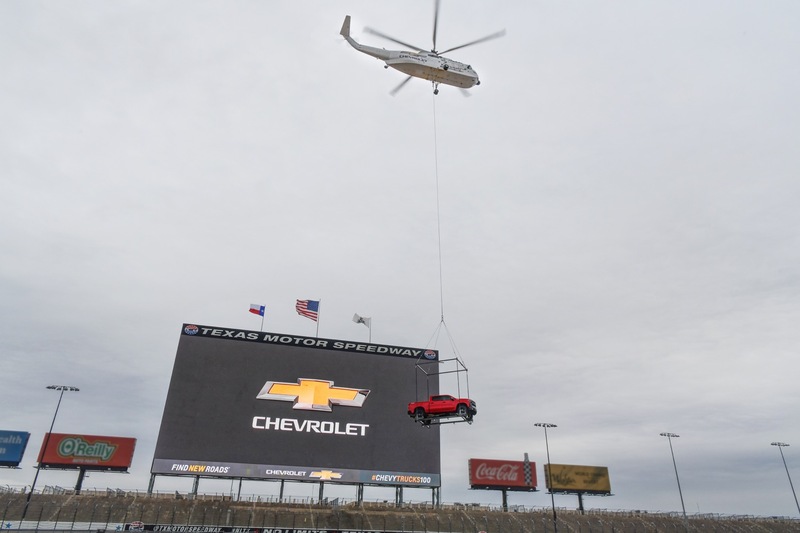 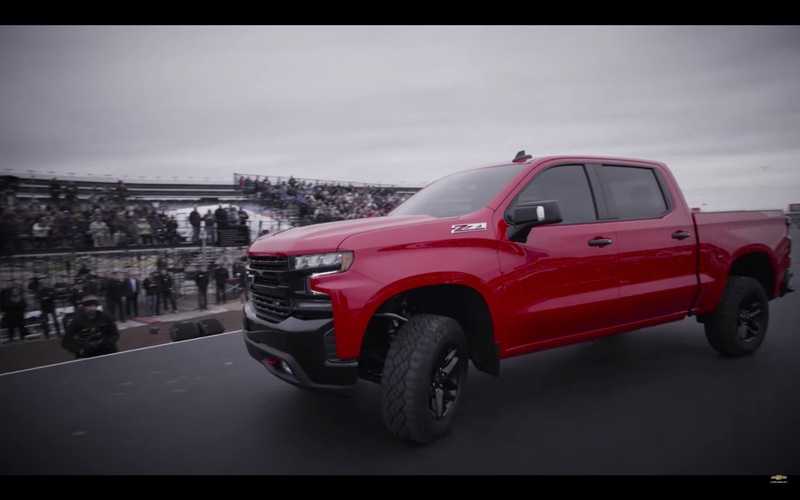 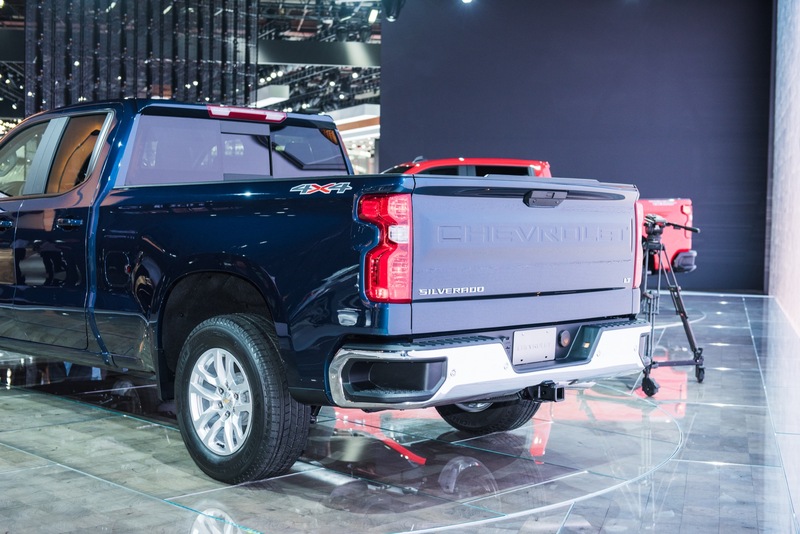 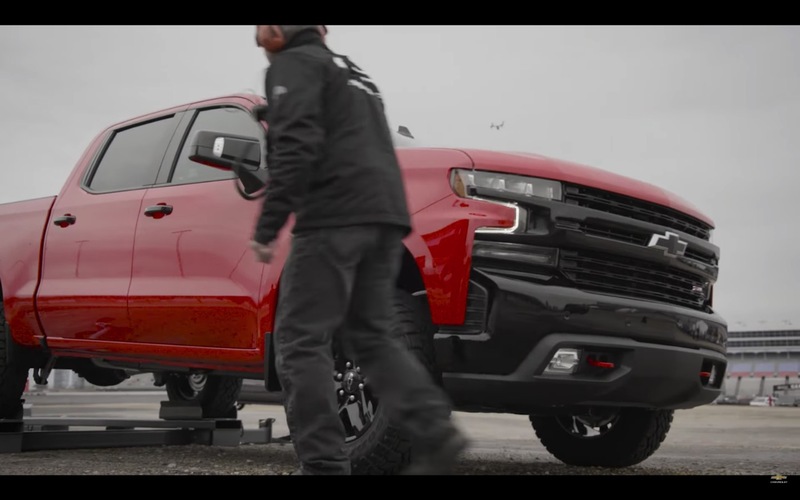 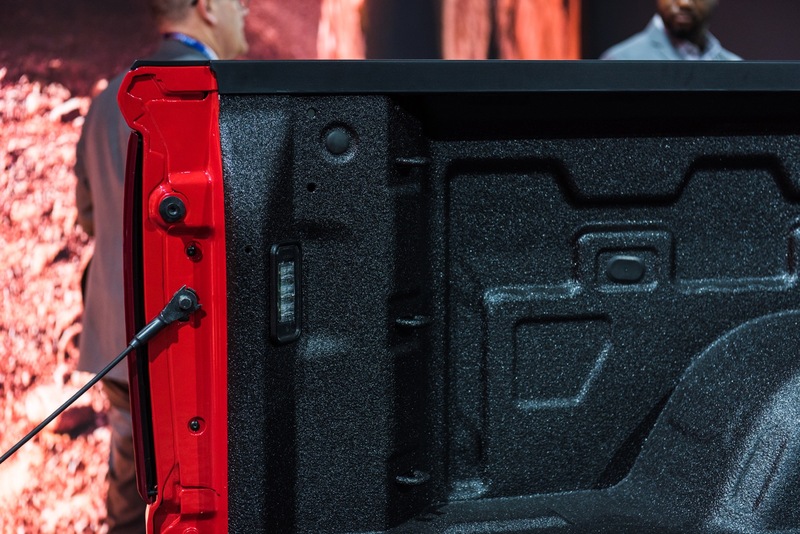 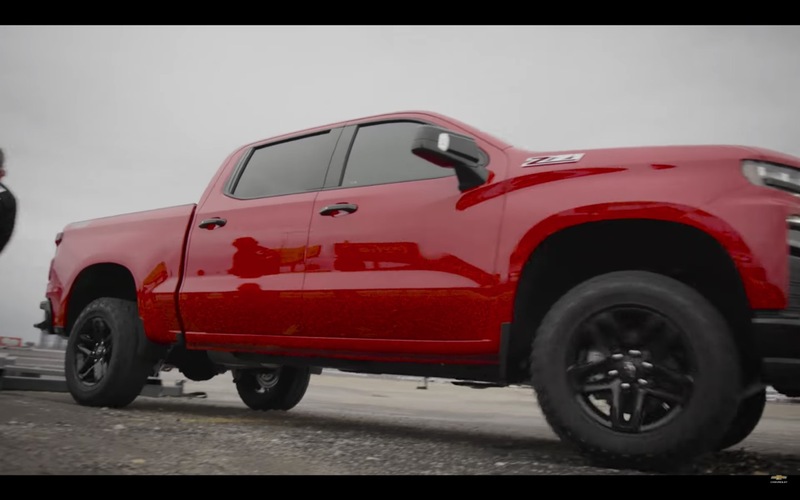 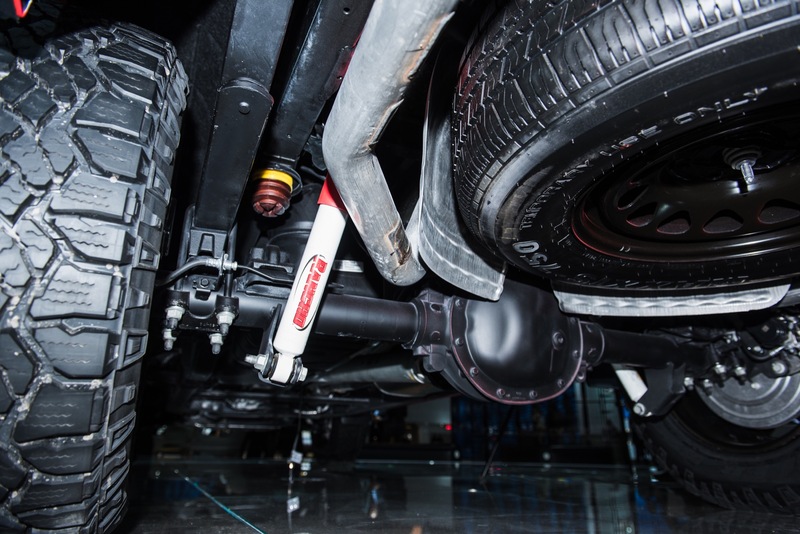 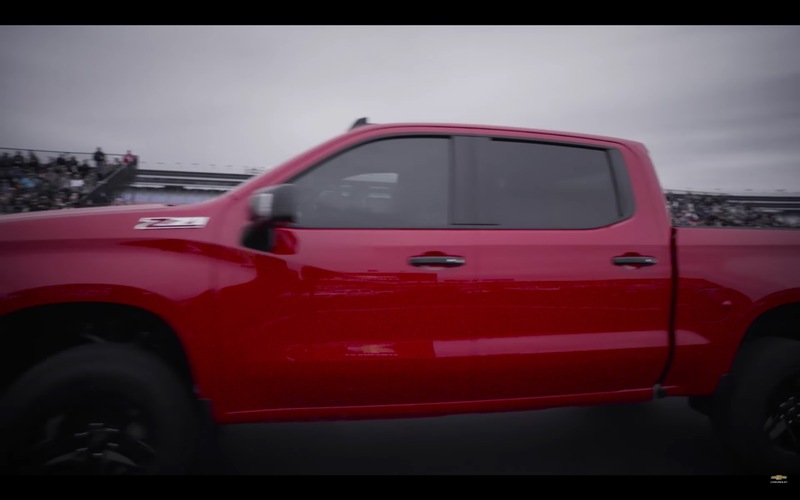 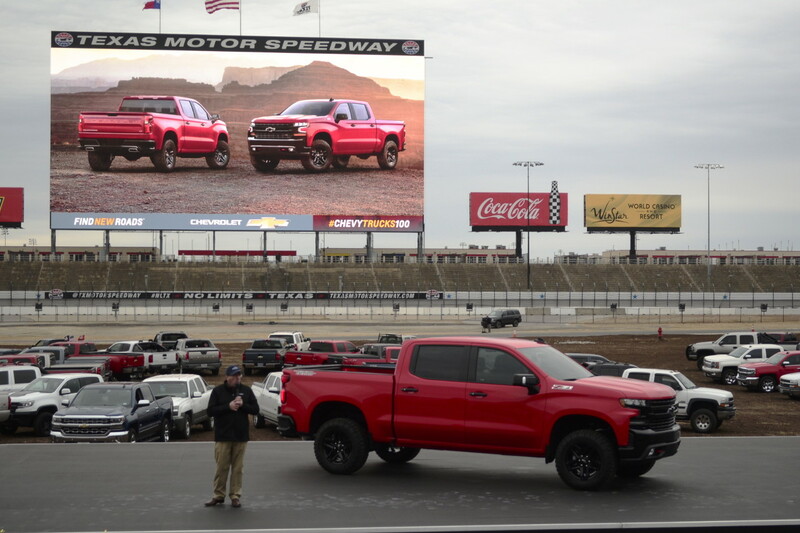 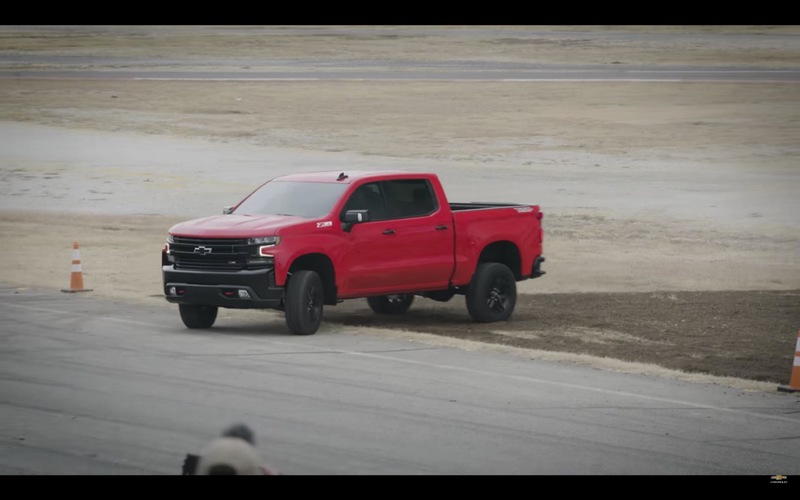 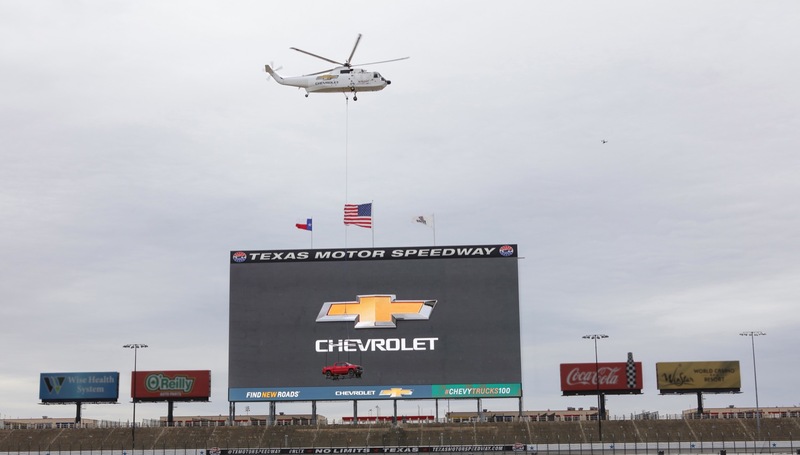 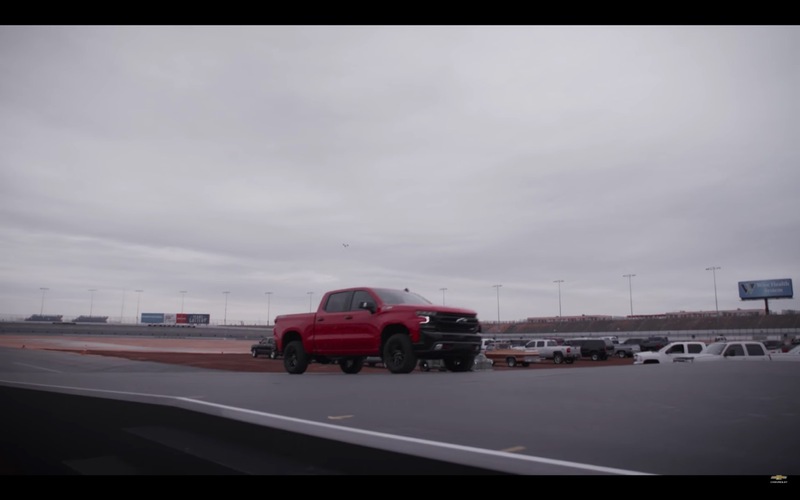 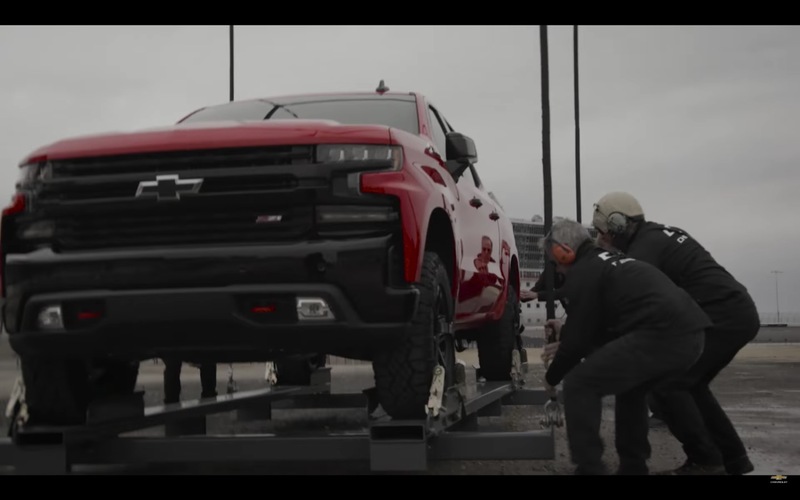 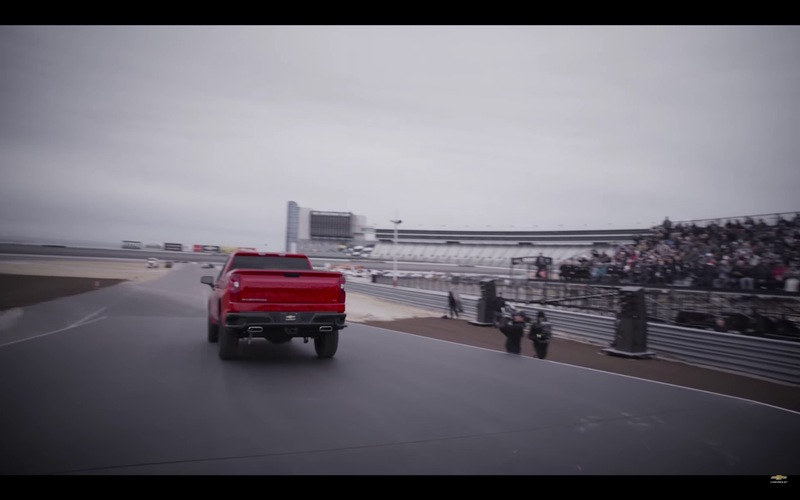 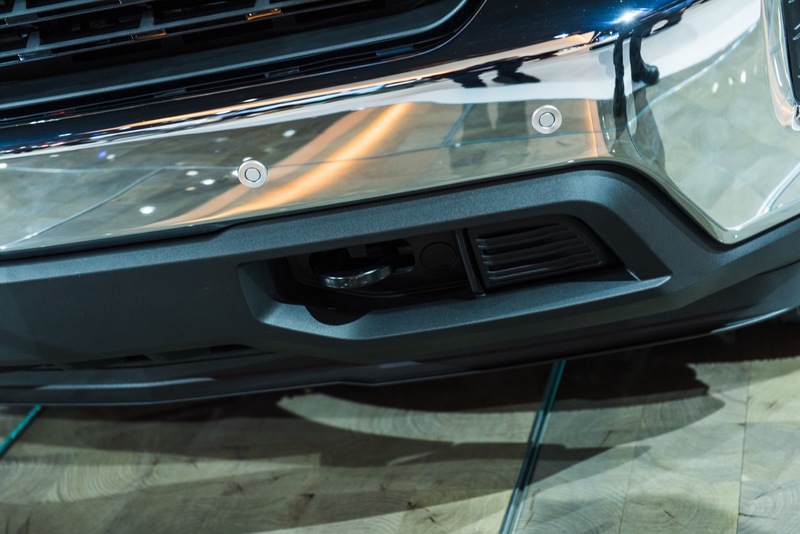 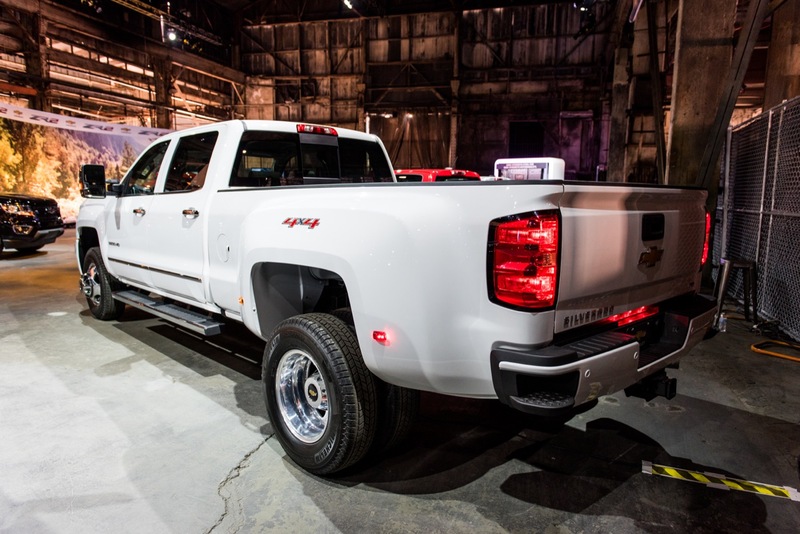 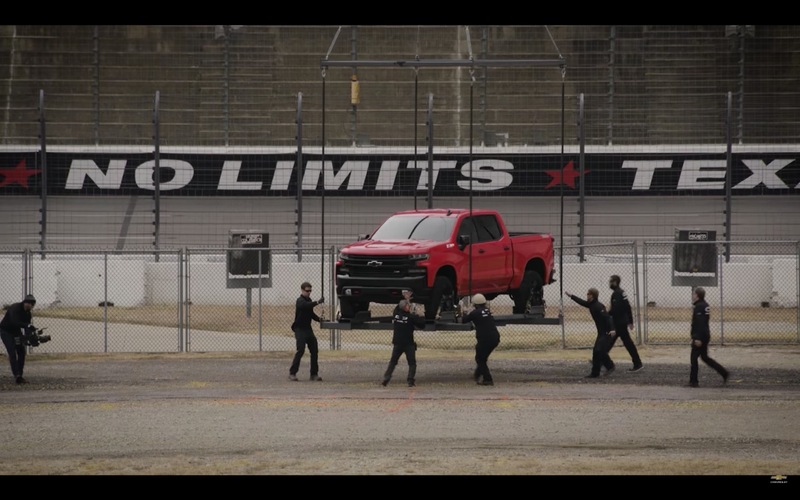 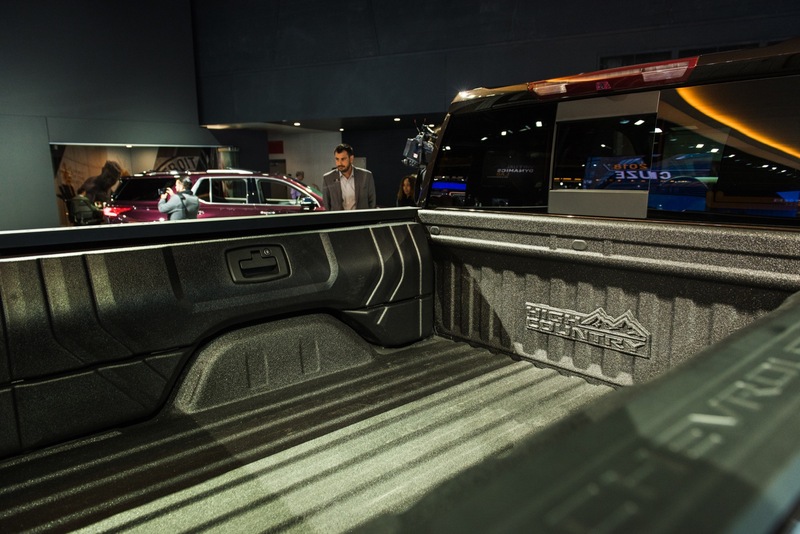 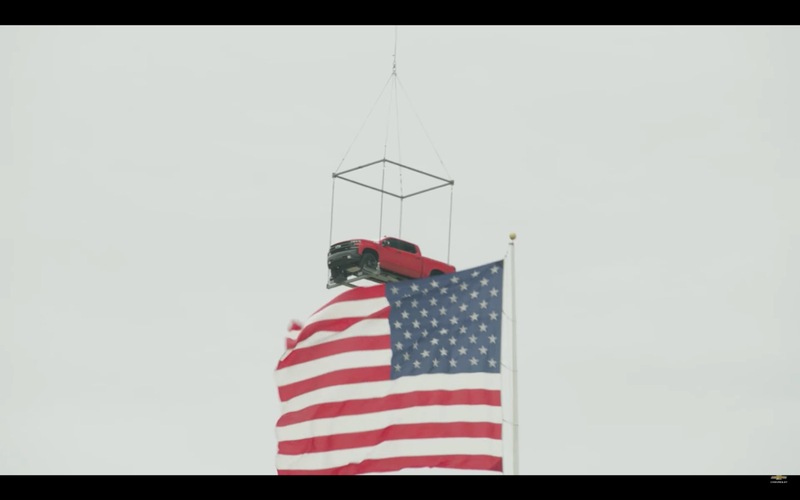 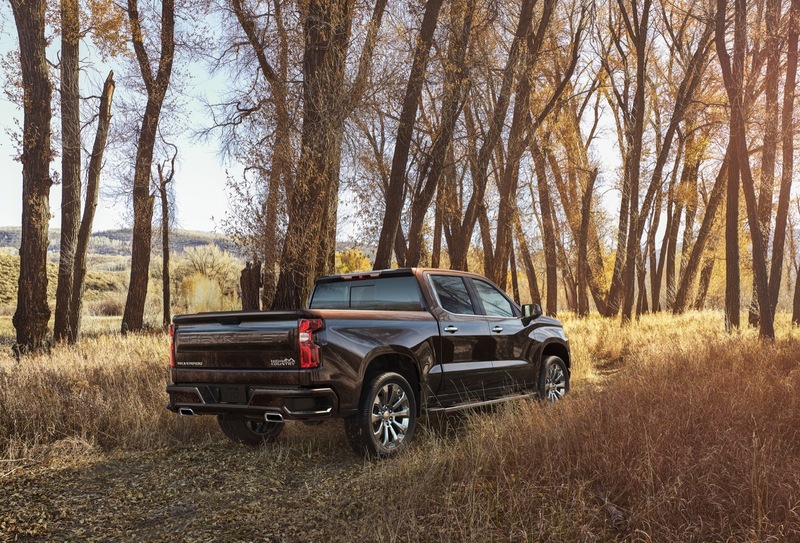 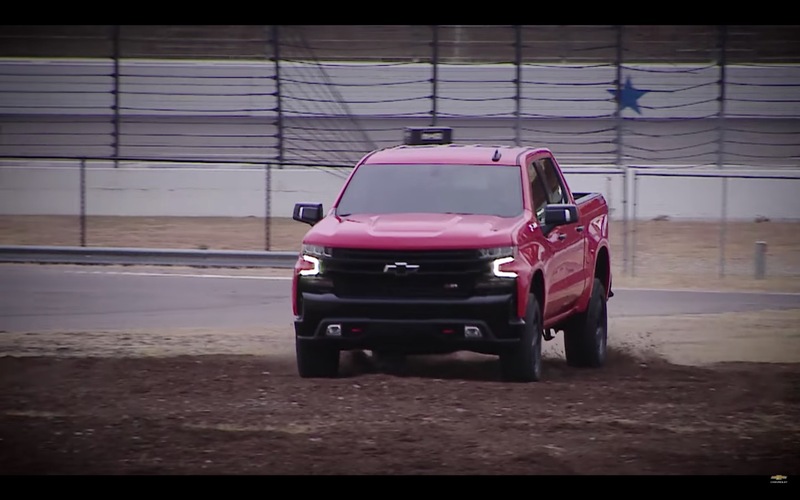 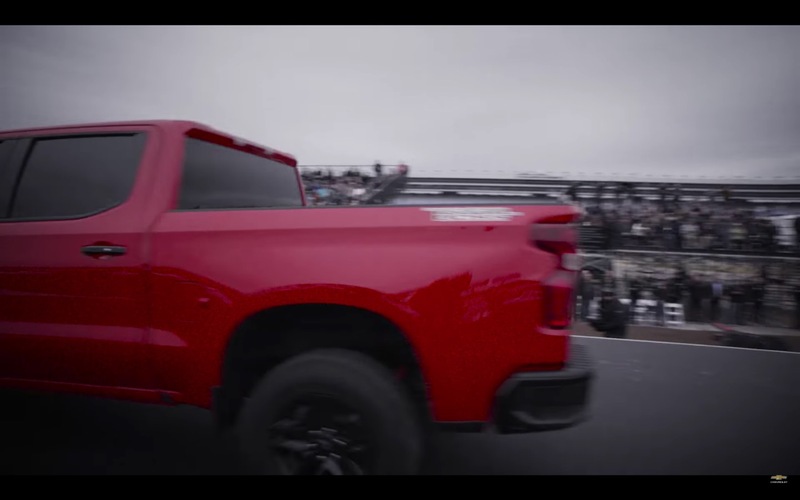 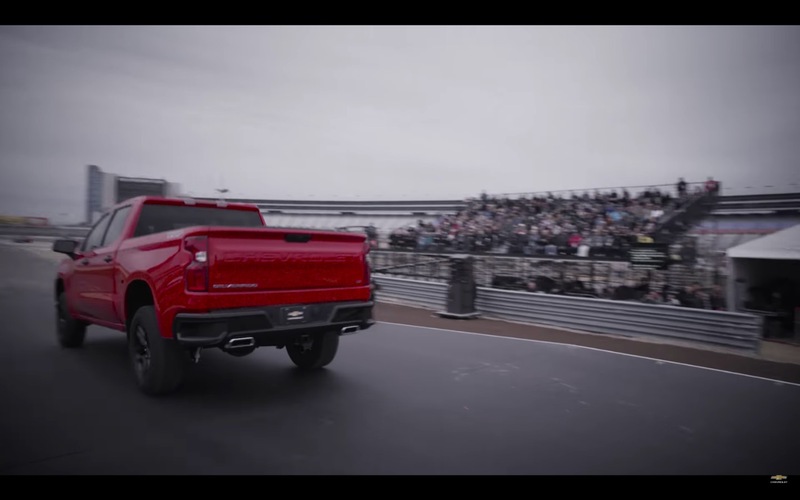 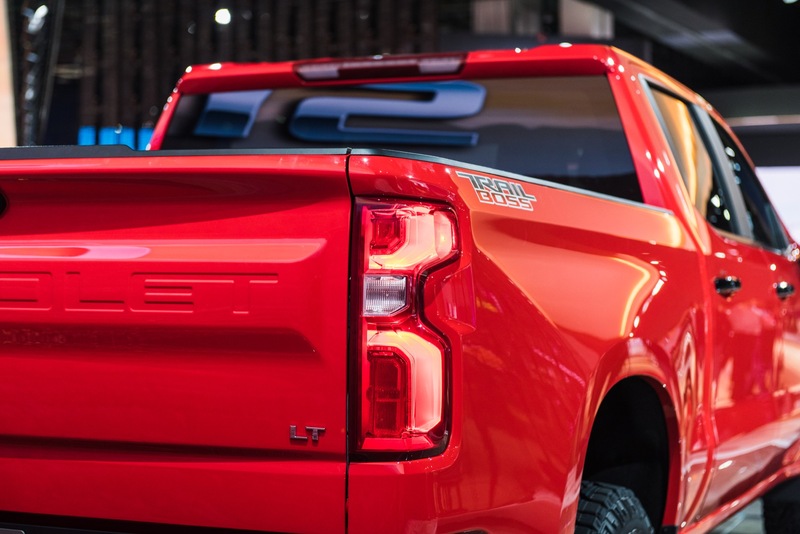 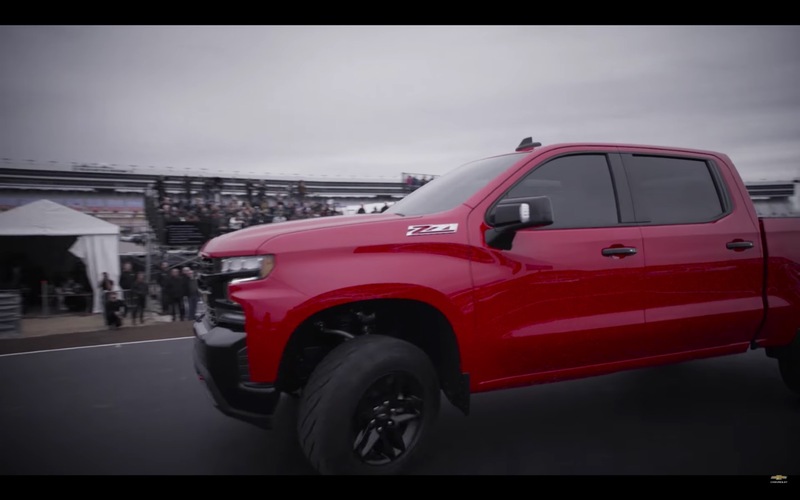 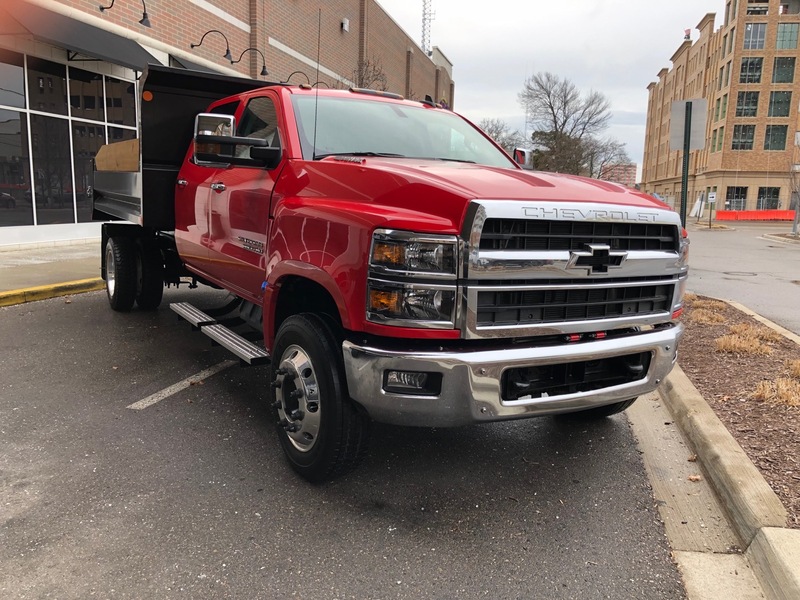 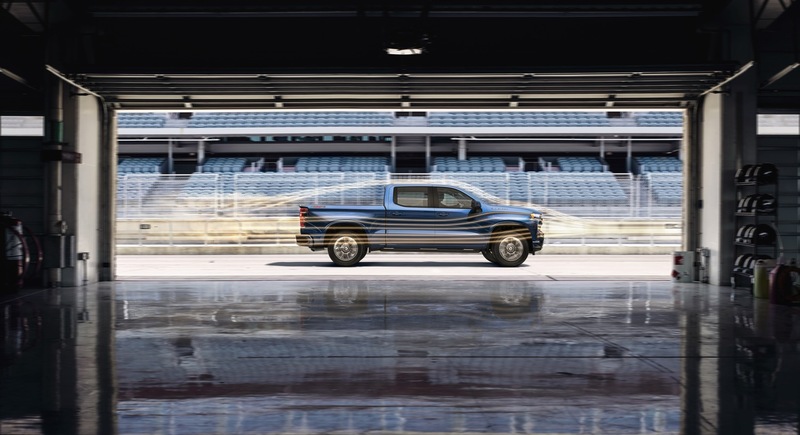 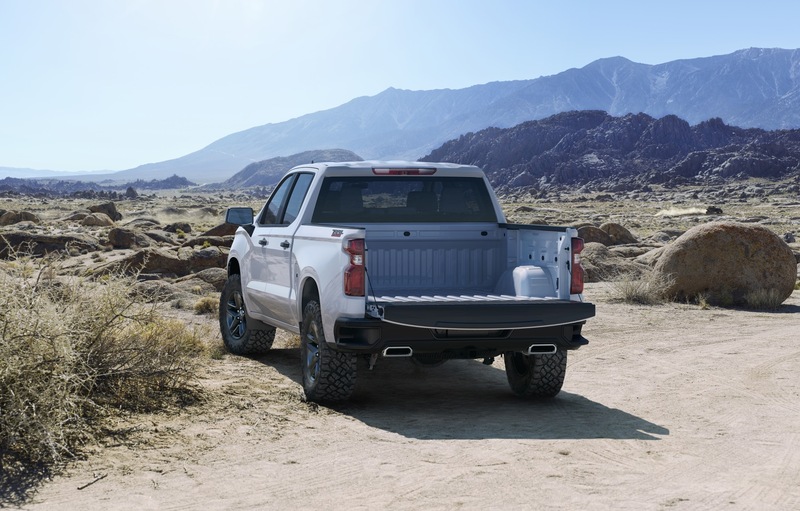 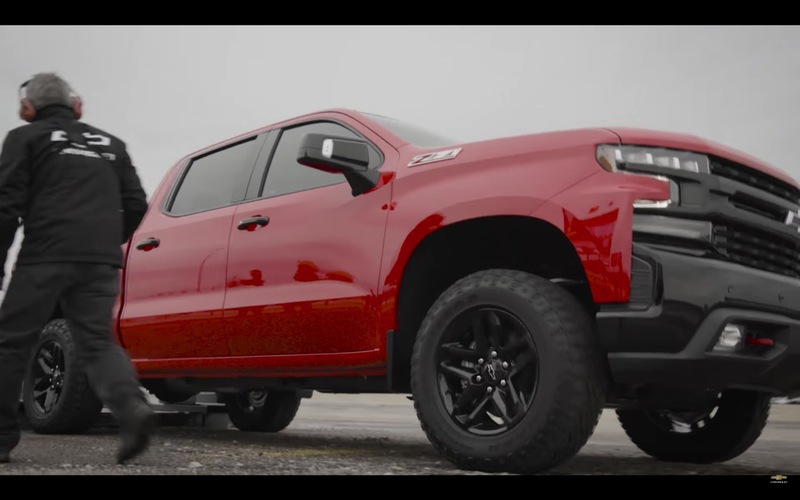 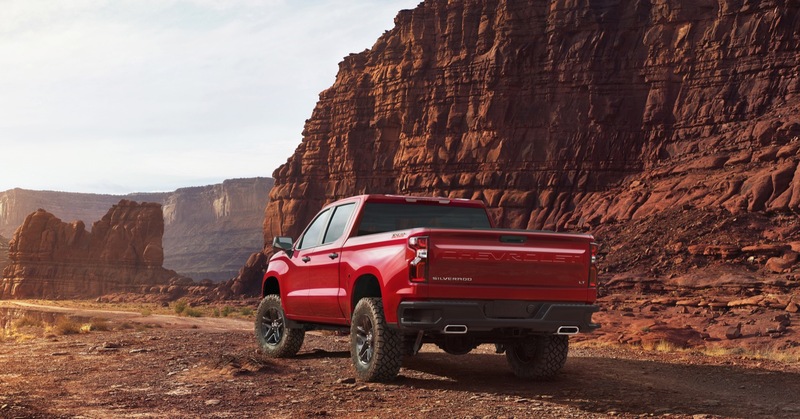 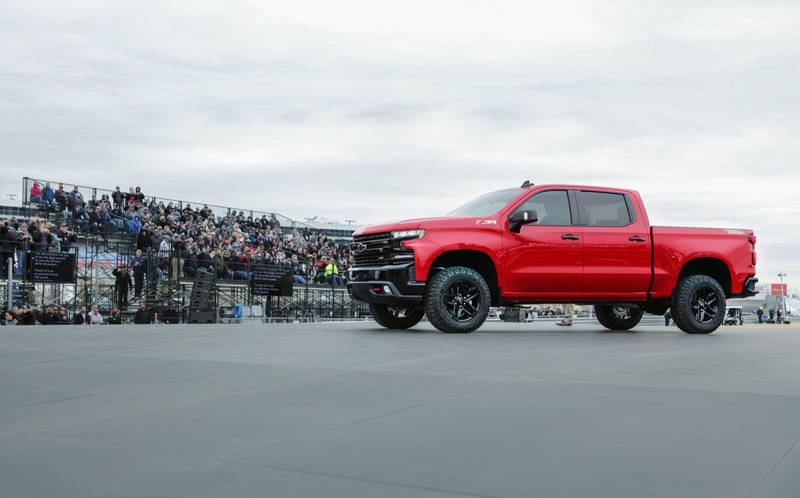 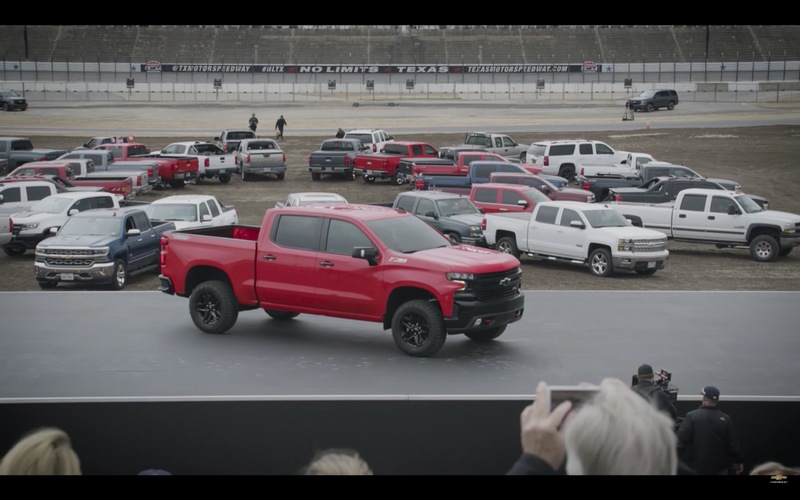 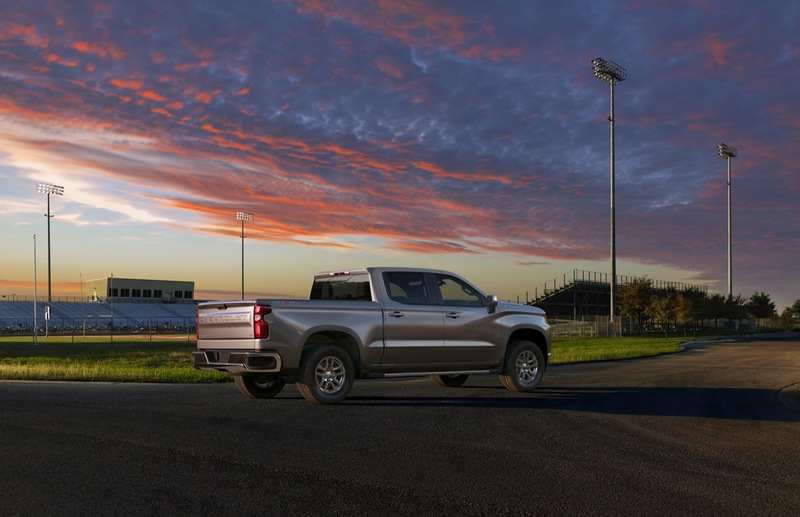 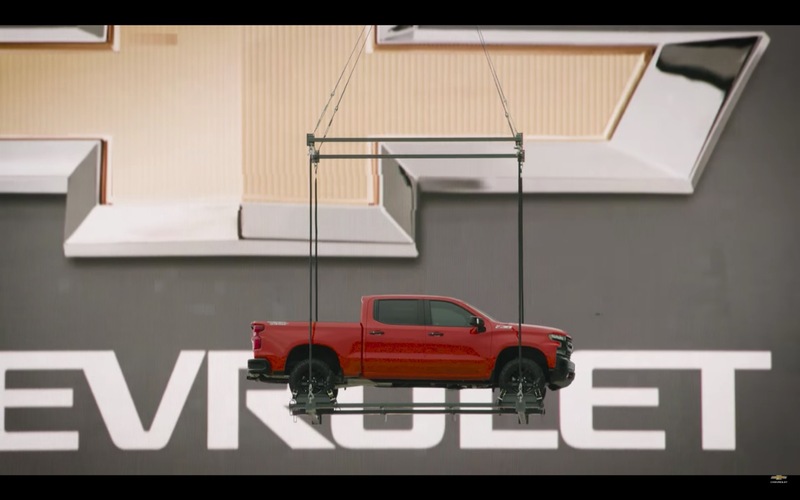 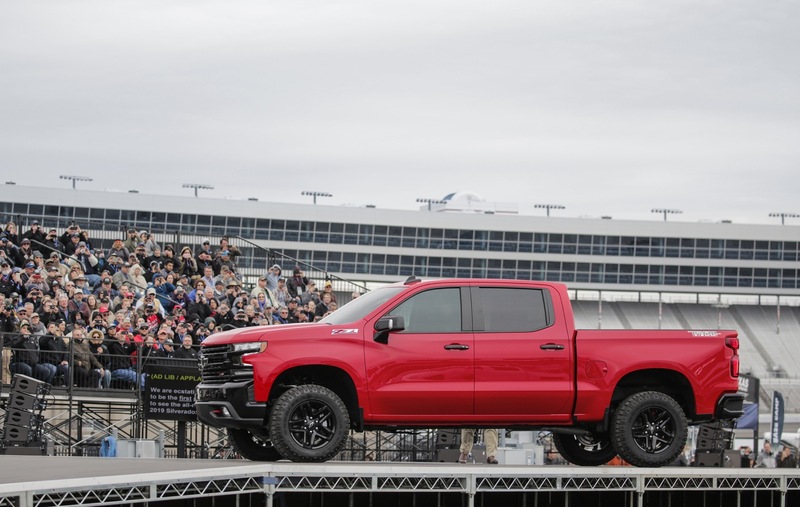 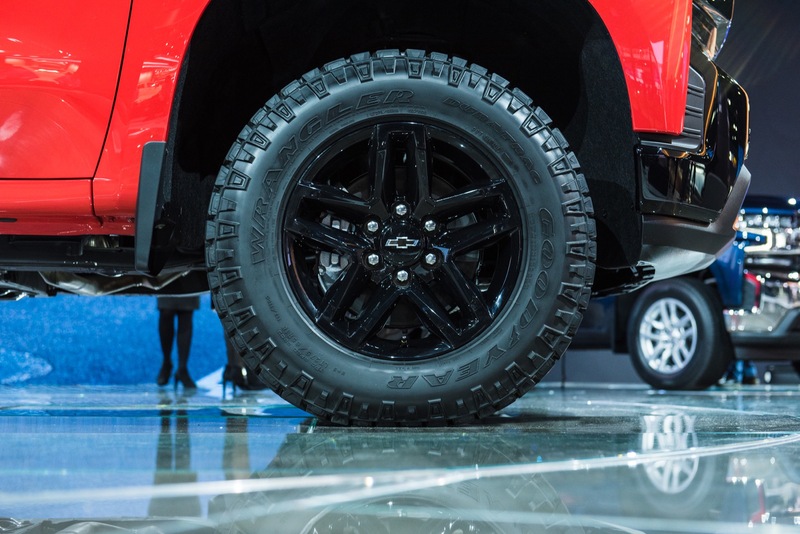 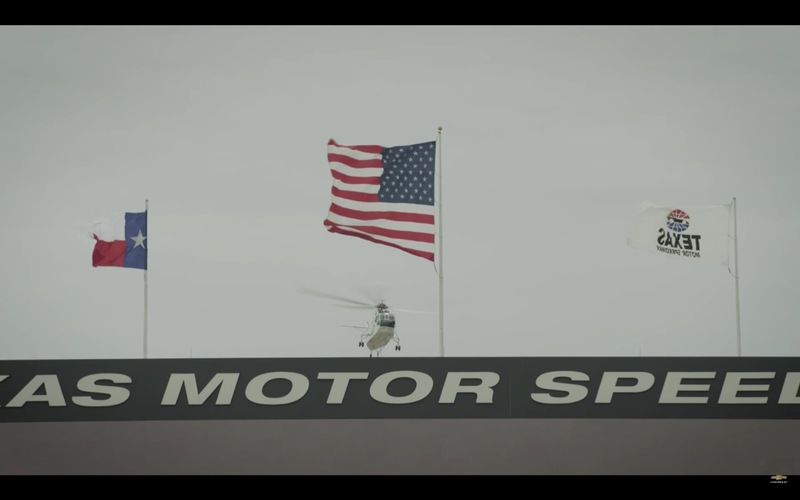 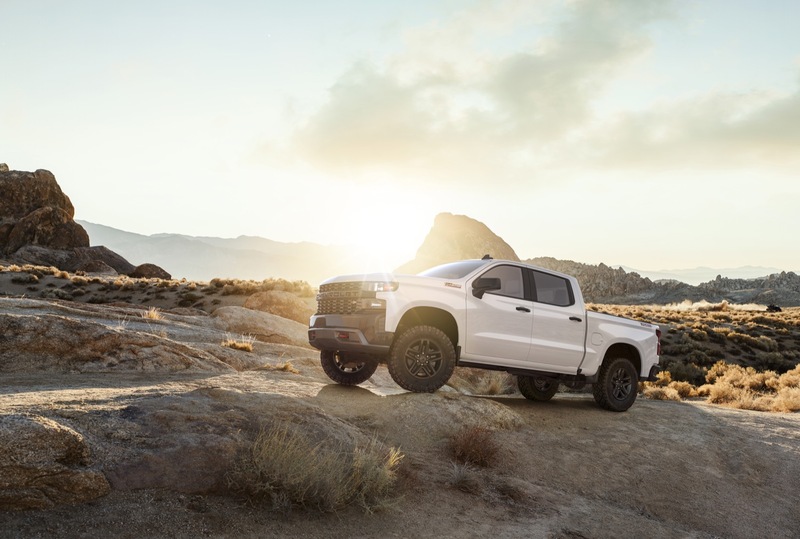 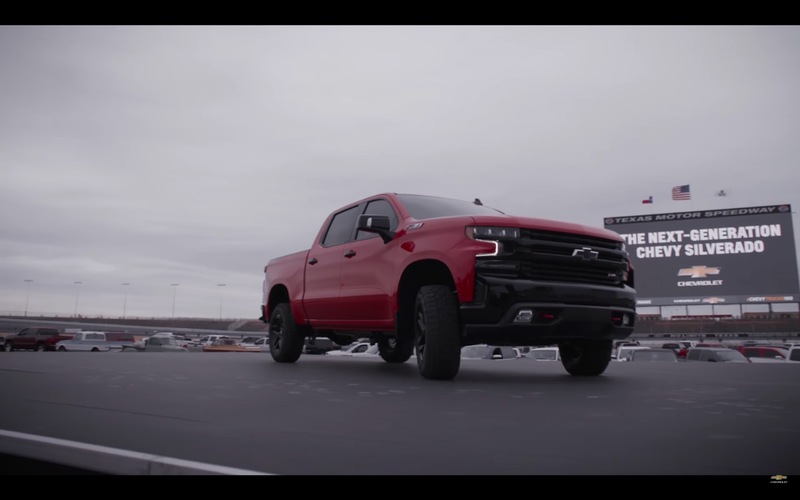 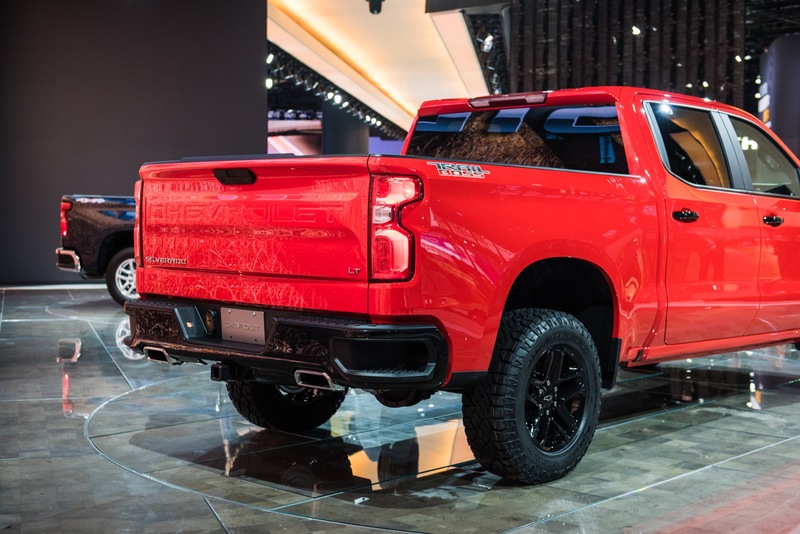 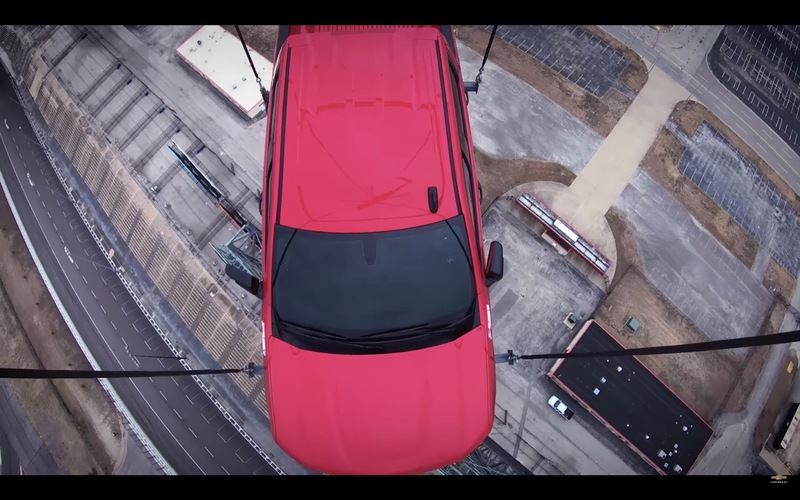 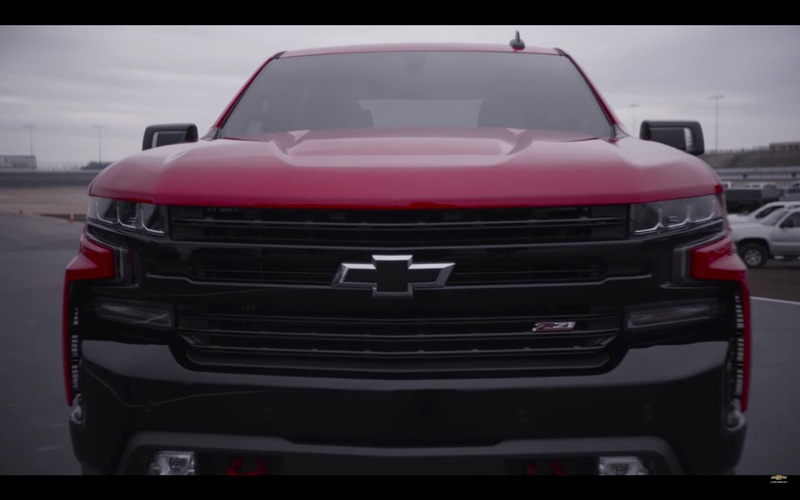 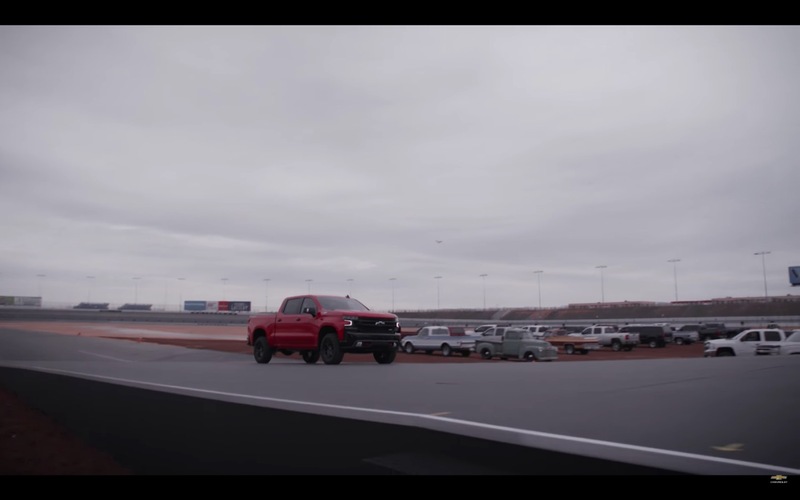 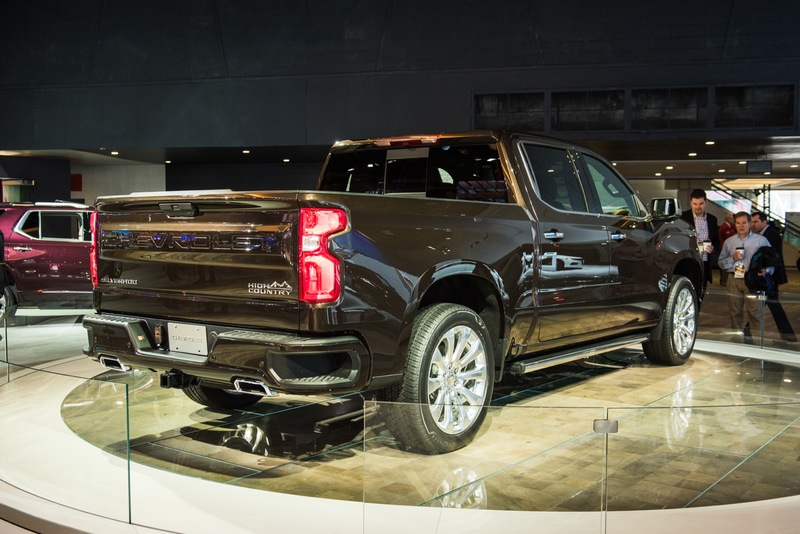 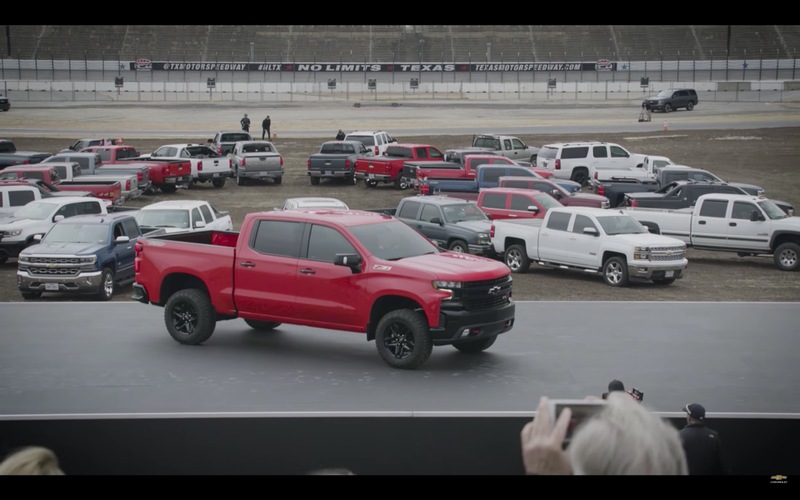 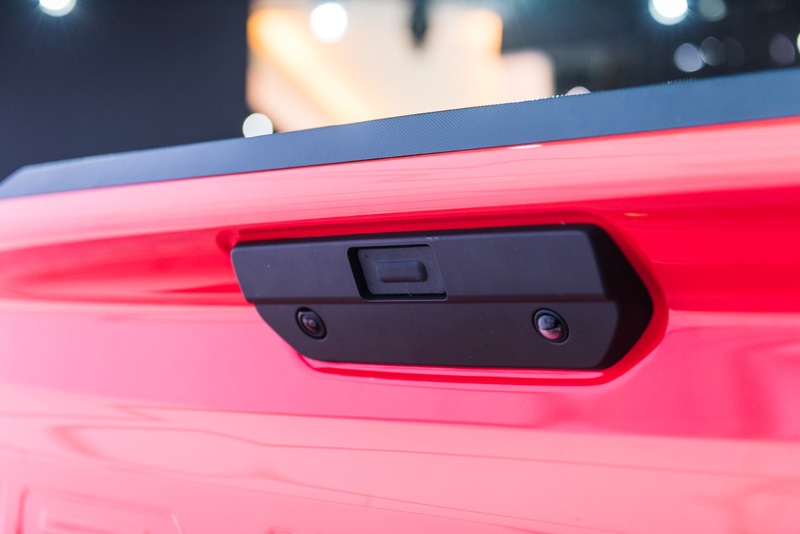 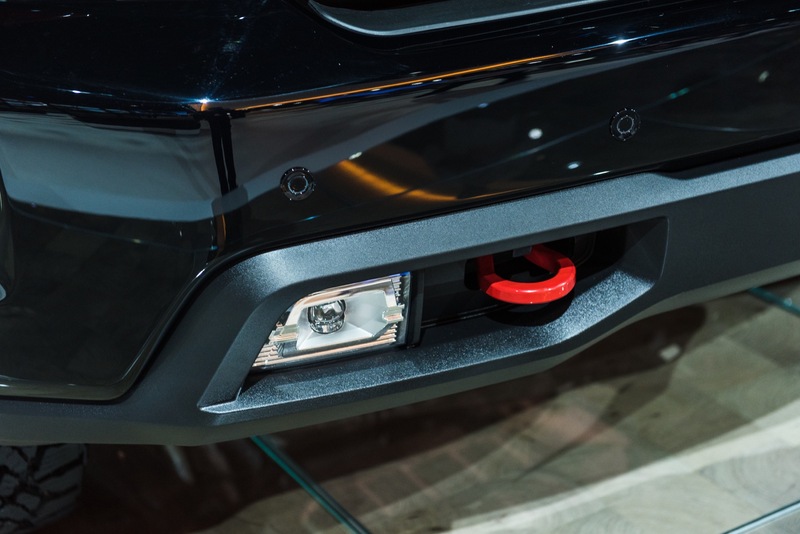 The trailering capability starts at 12,200 pounds for the 2019 Silverado 1500 and goes up from there. 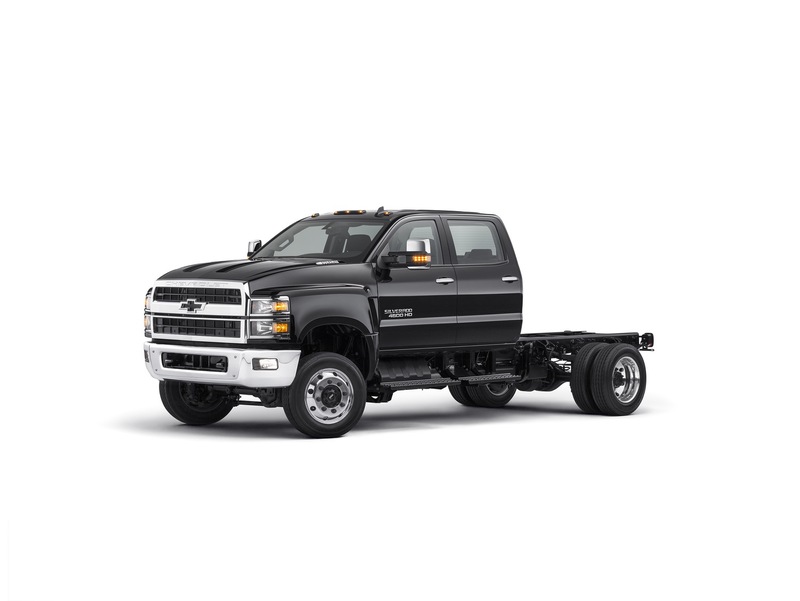 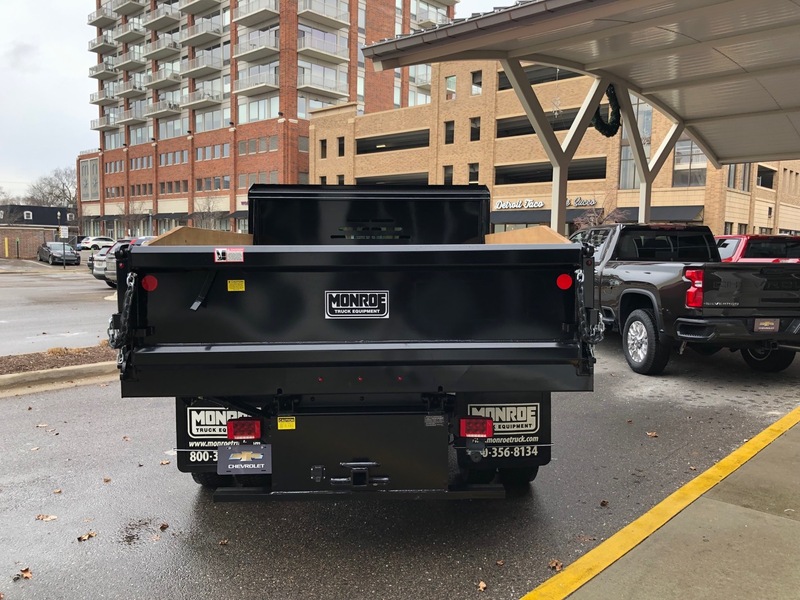 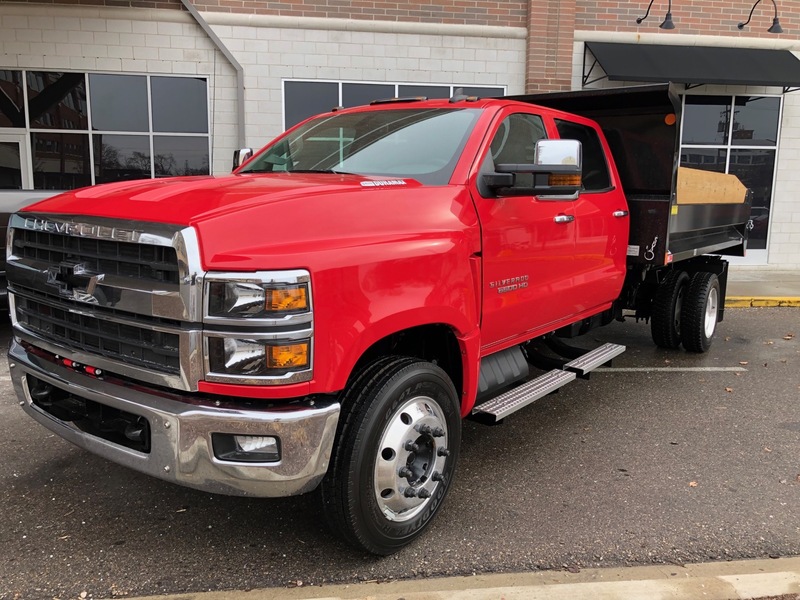 Max conventional towing (at the hitch) is 12,200 pounds for the Silverado 1500 model, 14,500 for the Silverado 2500HD and 20,000 for the Silverado 3500HD. 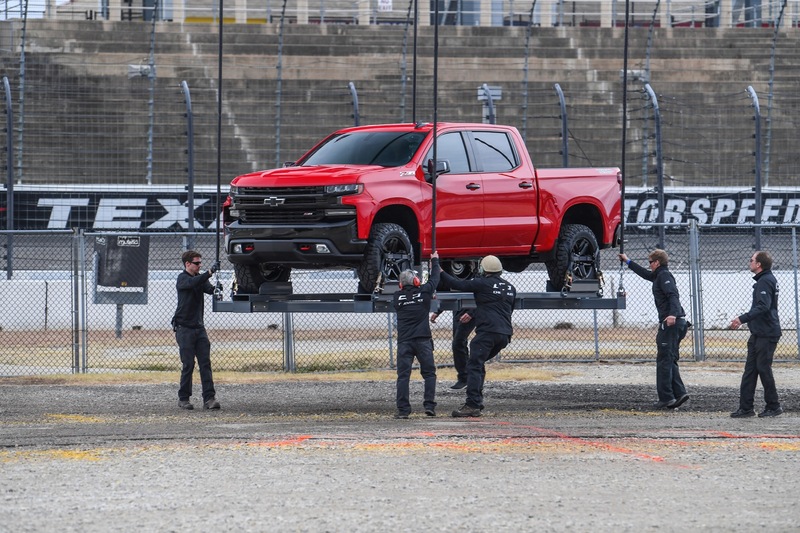 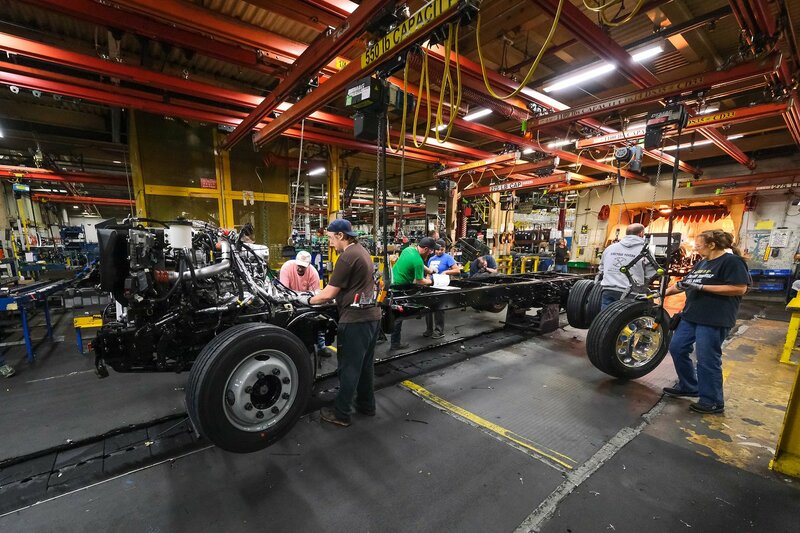 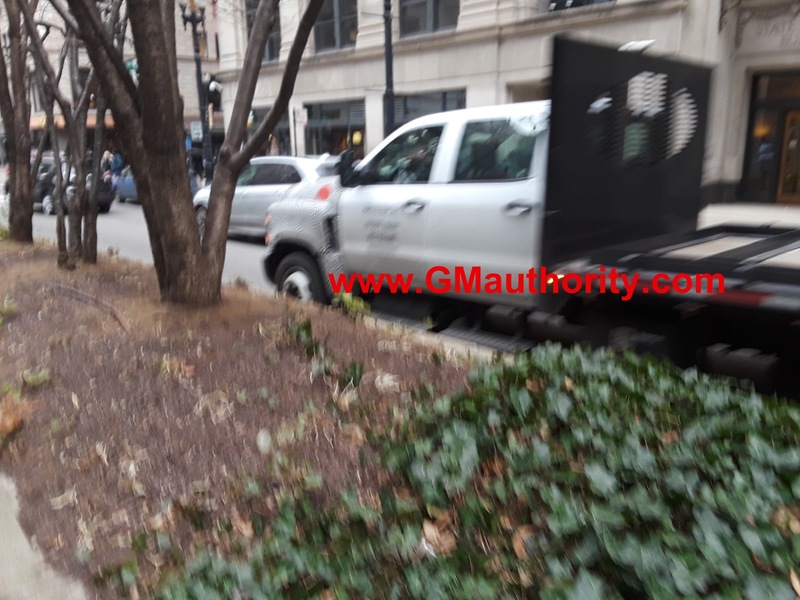 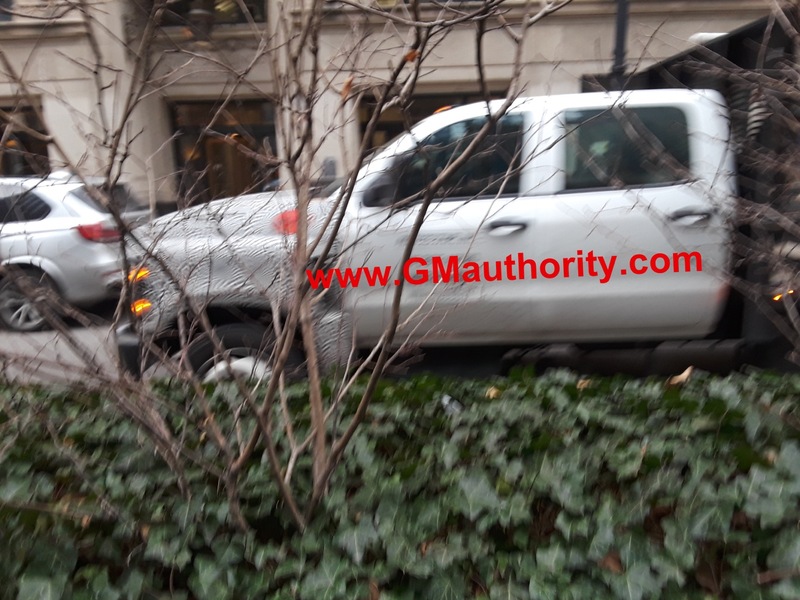 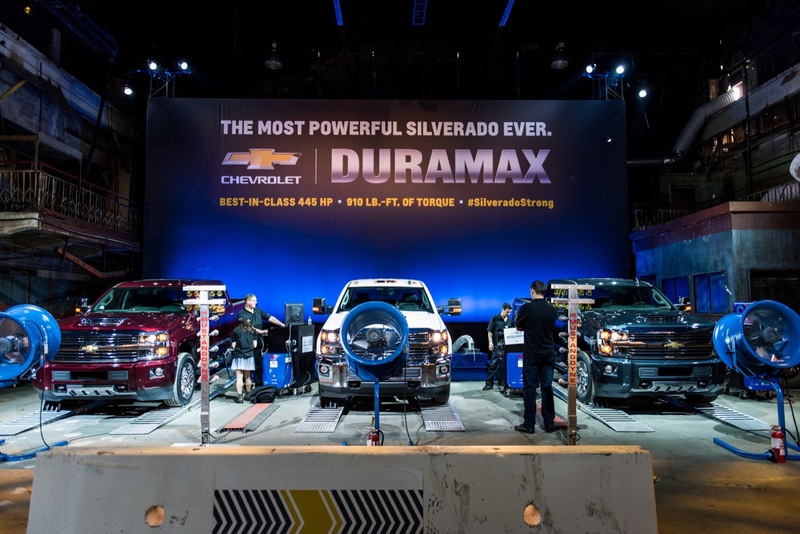 Maximum fifth-wheel towing (goose-neck) has not yet been announced for the Silverado 1500 model, 15,400 for the Silverado 2500HD and 23,100 for the Silverado 3500HD. 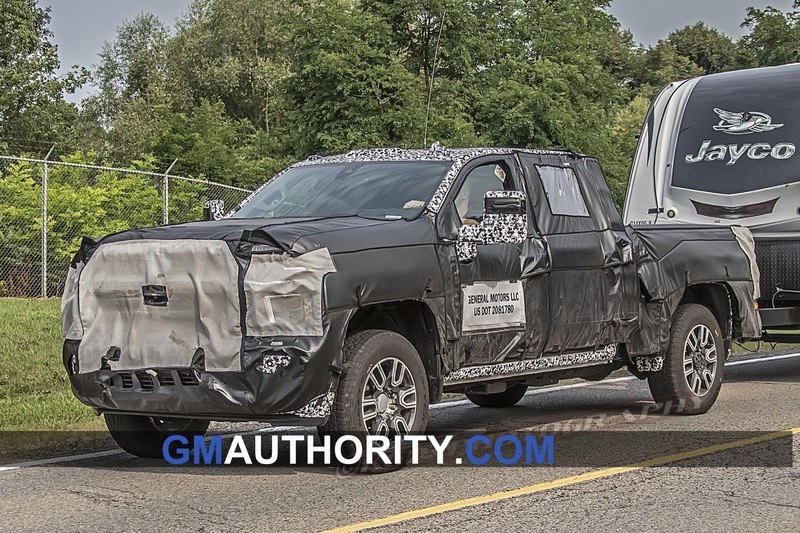 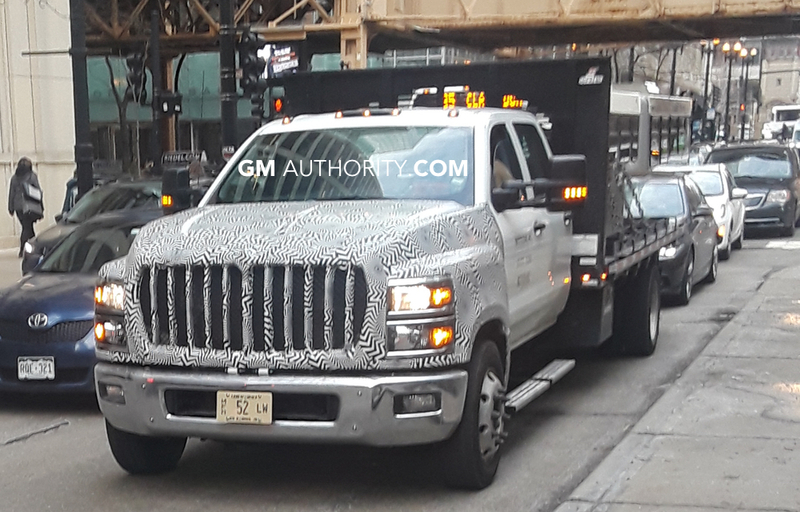 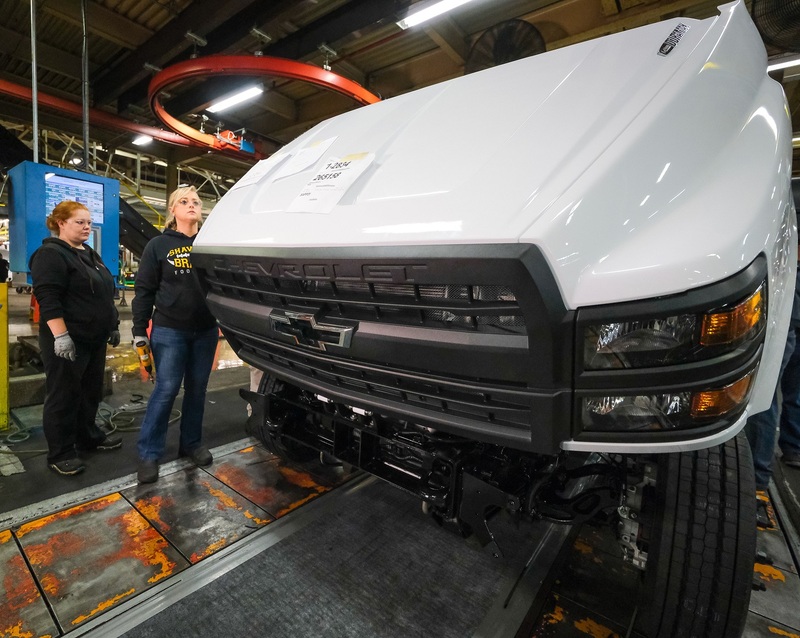 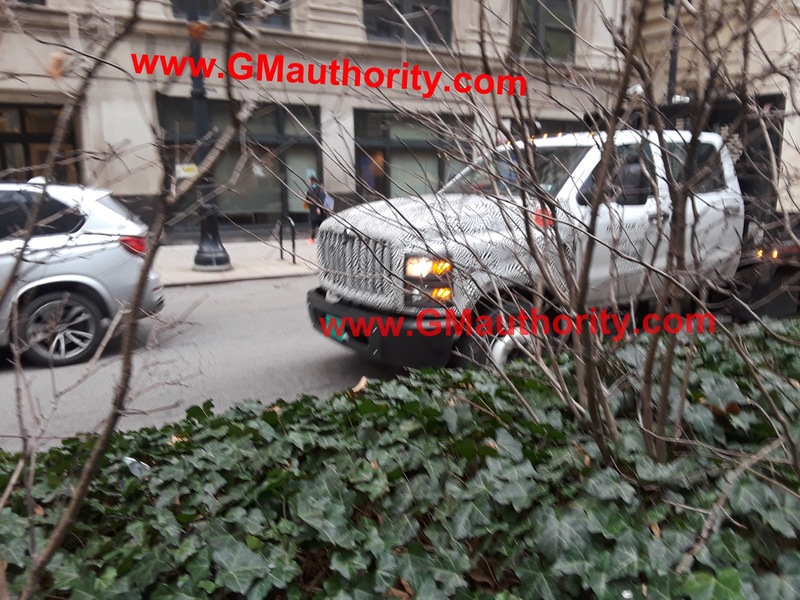 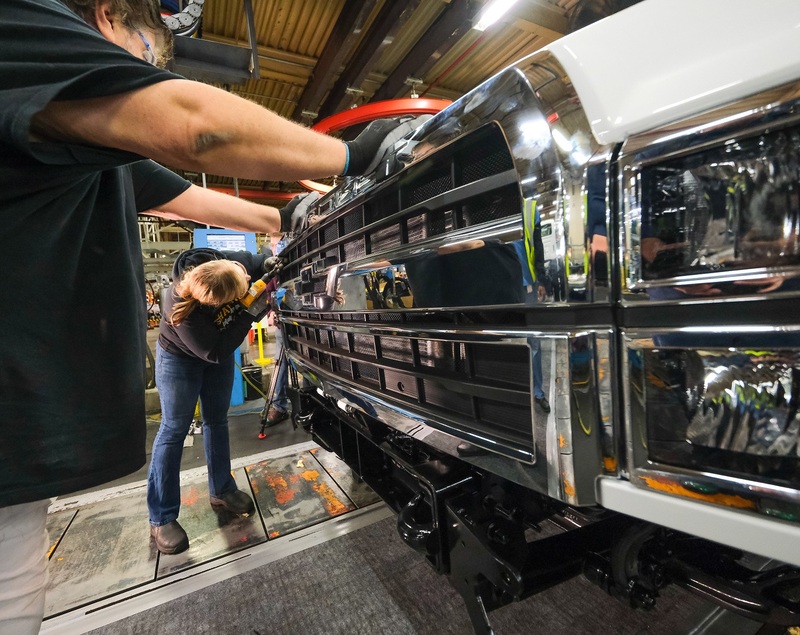 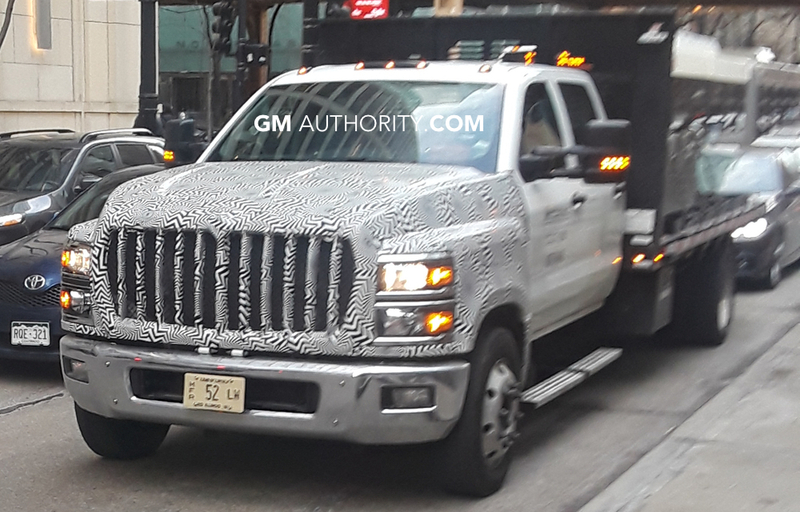 Trailering ratings for the Medium Duty models has not been announced just yet. 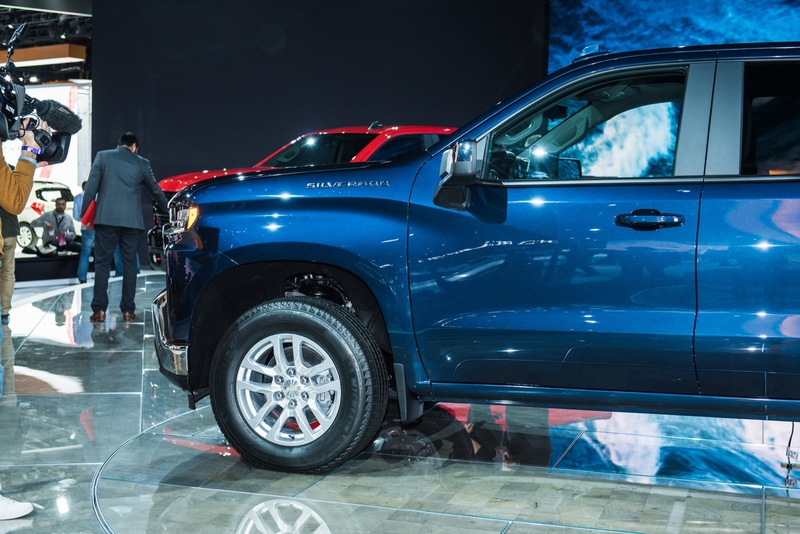 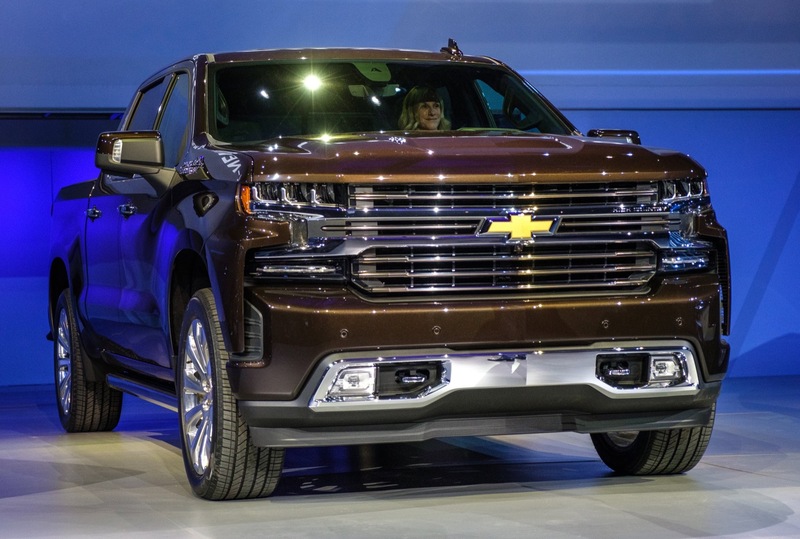 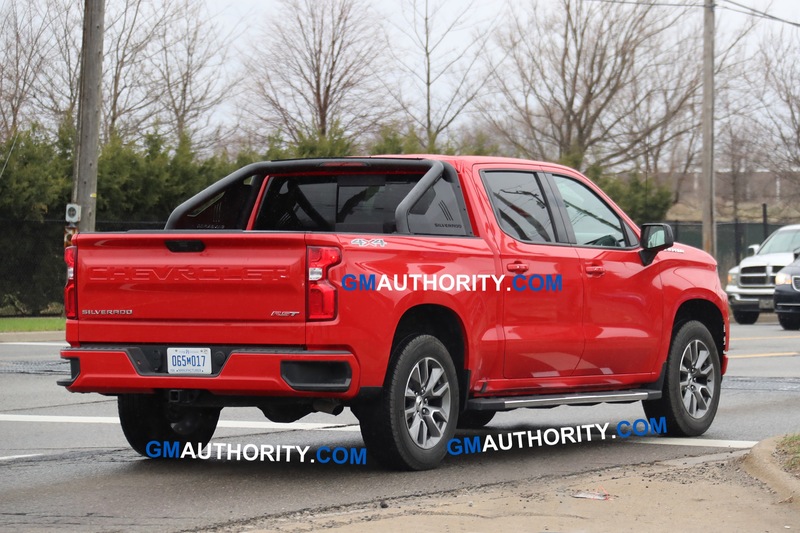 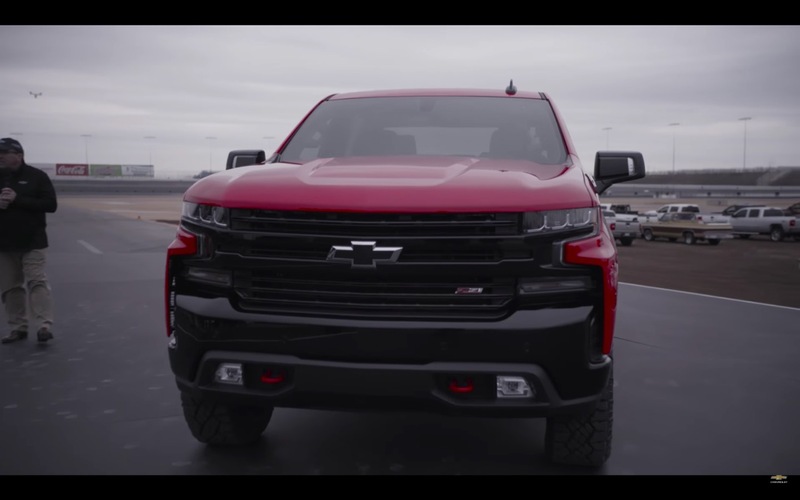 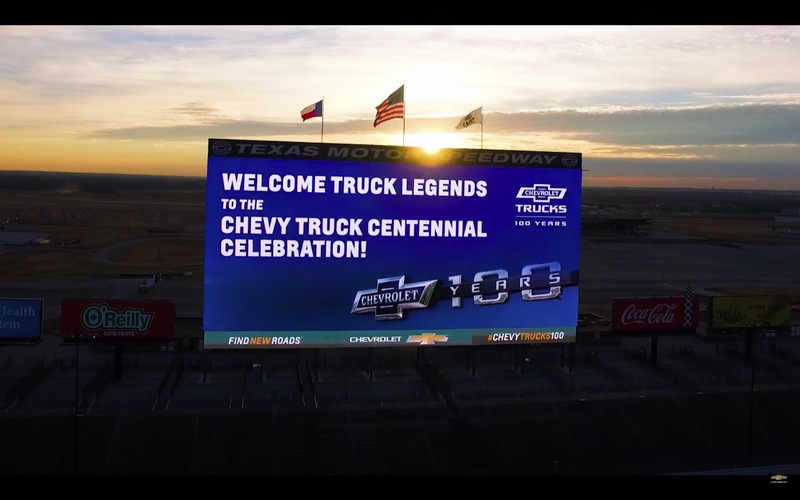 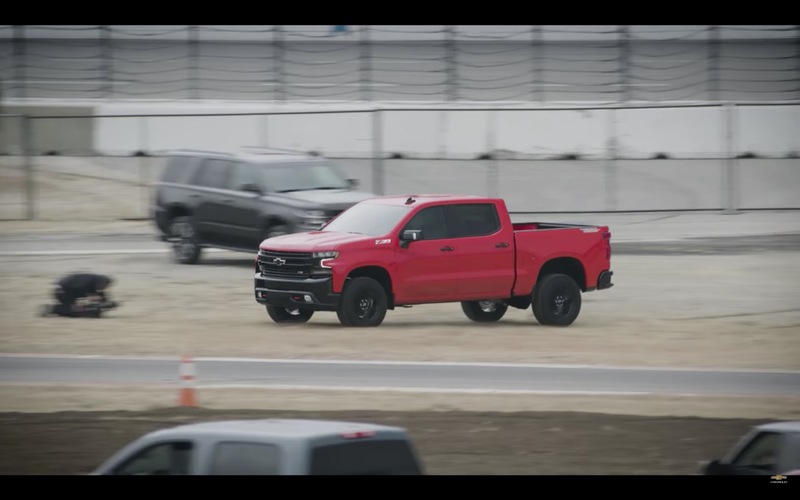 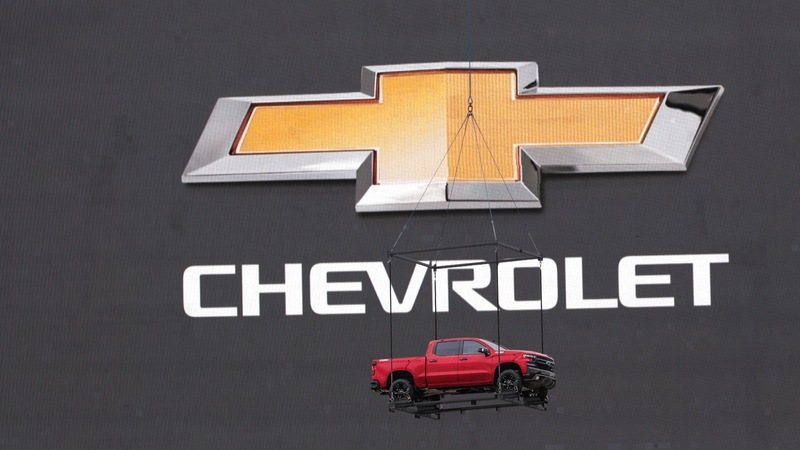 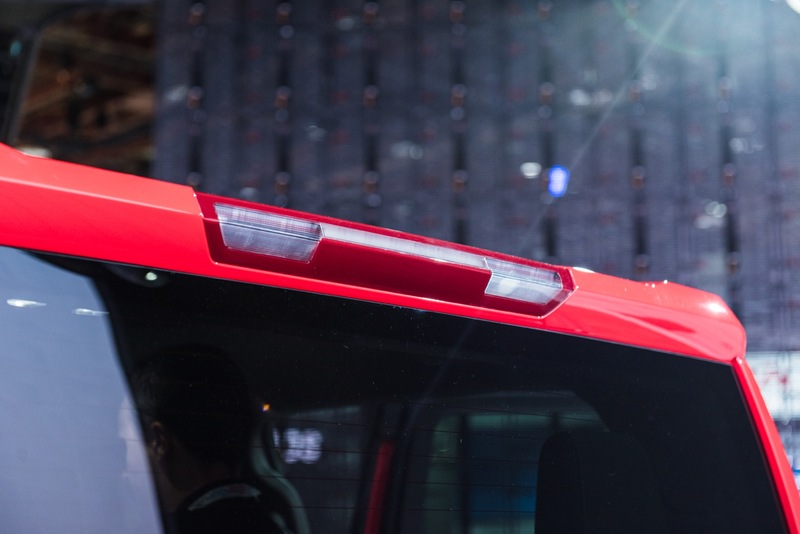 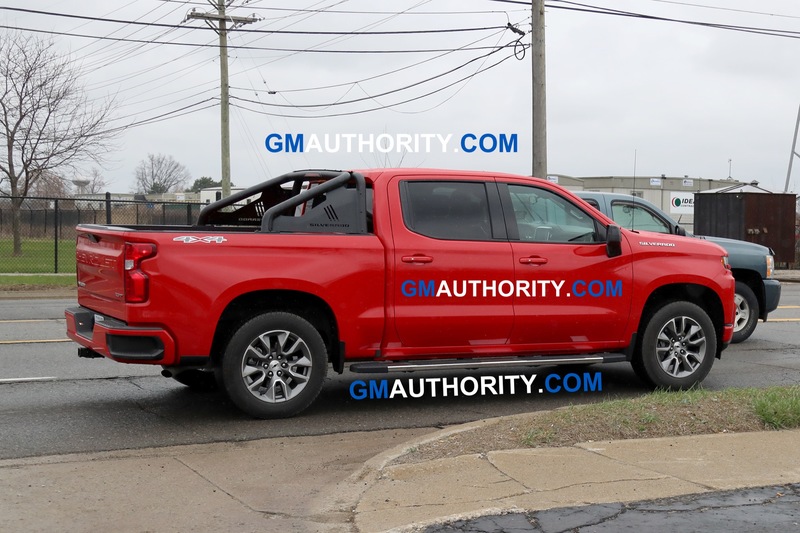 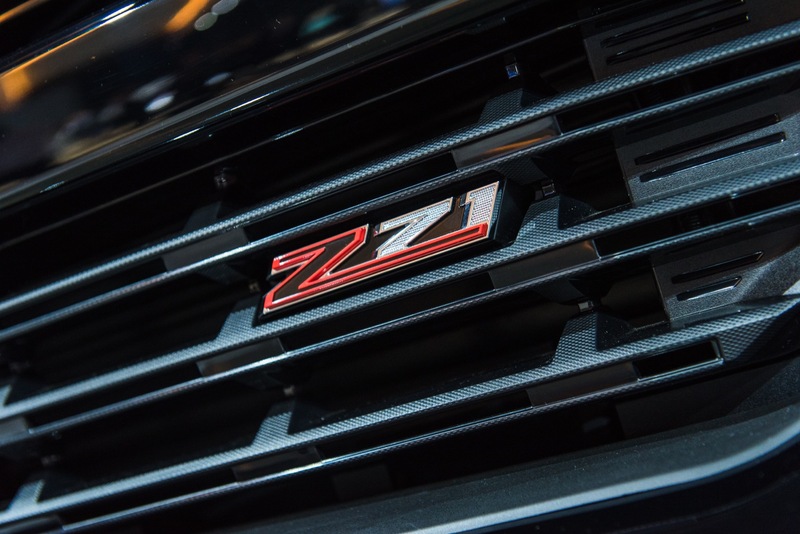 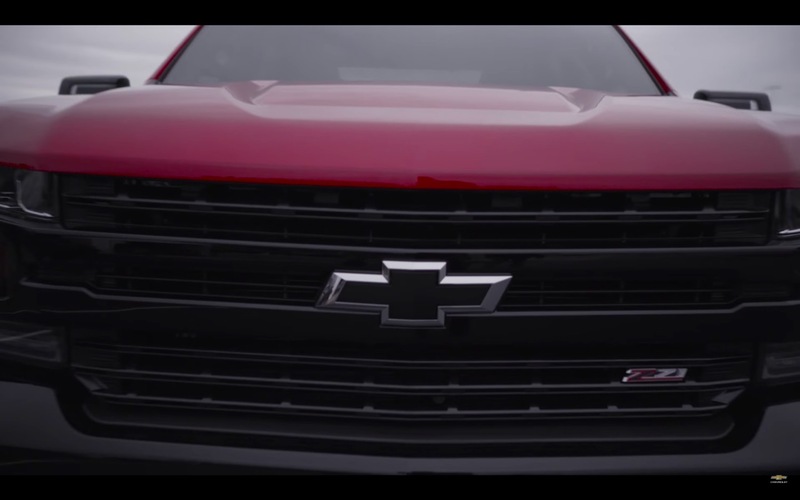 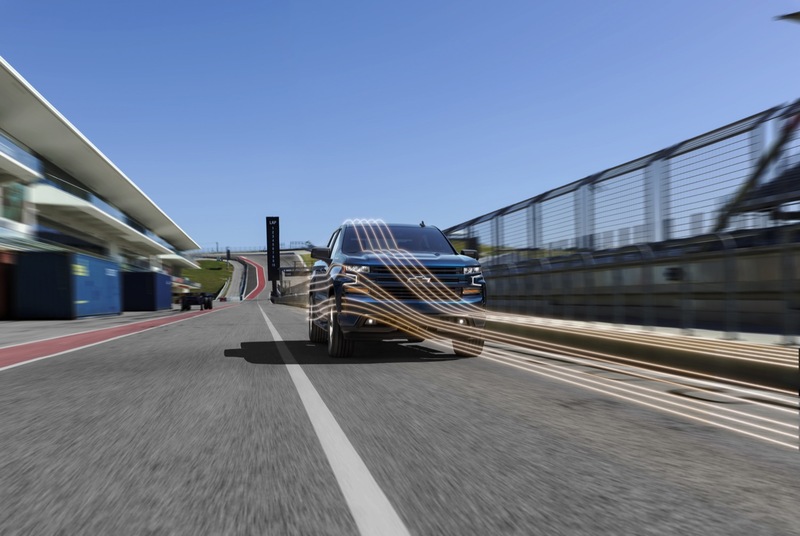 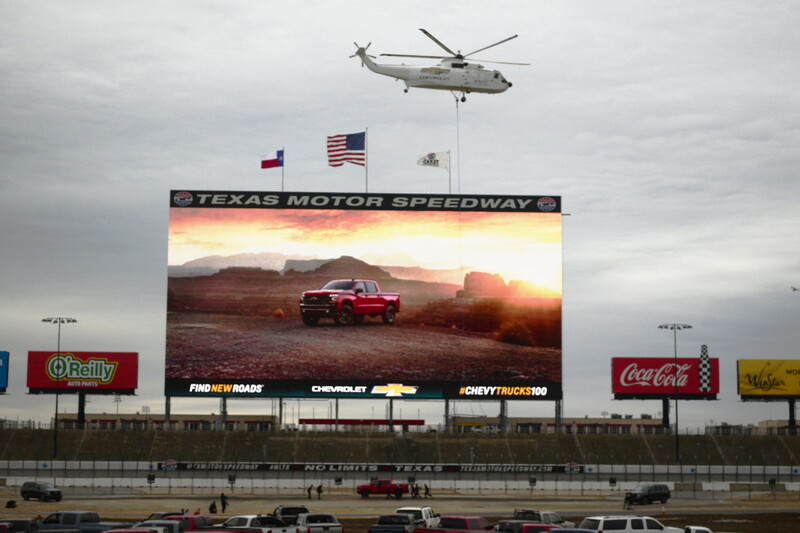 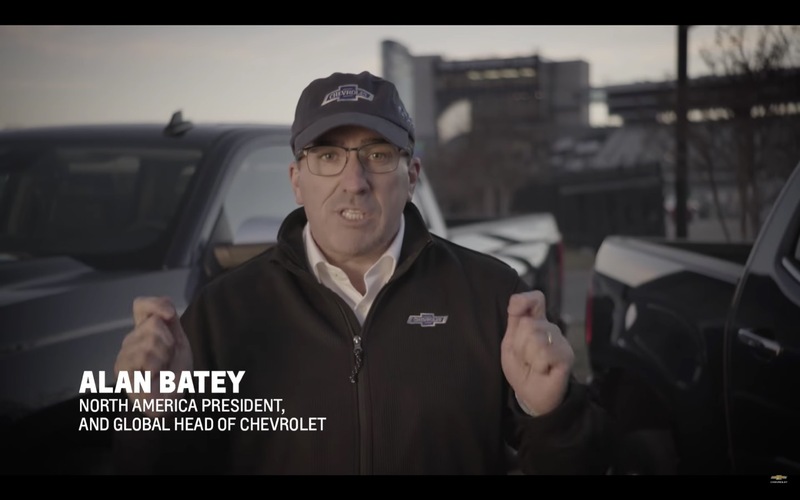 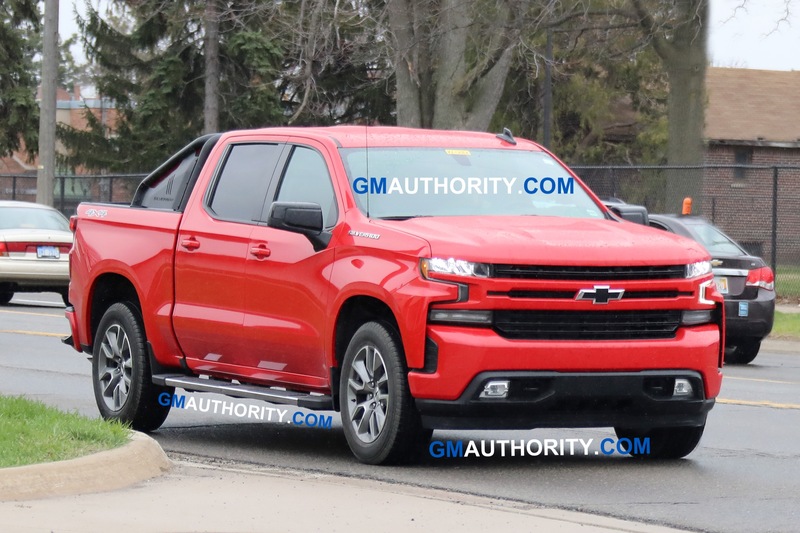 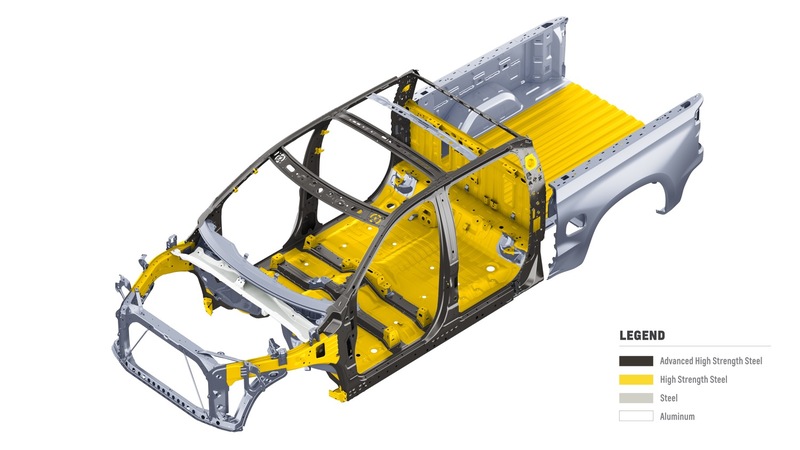 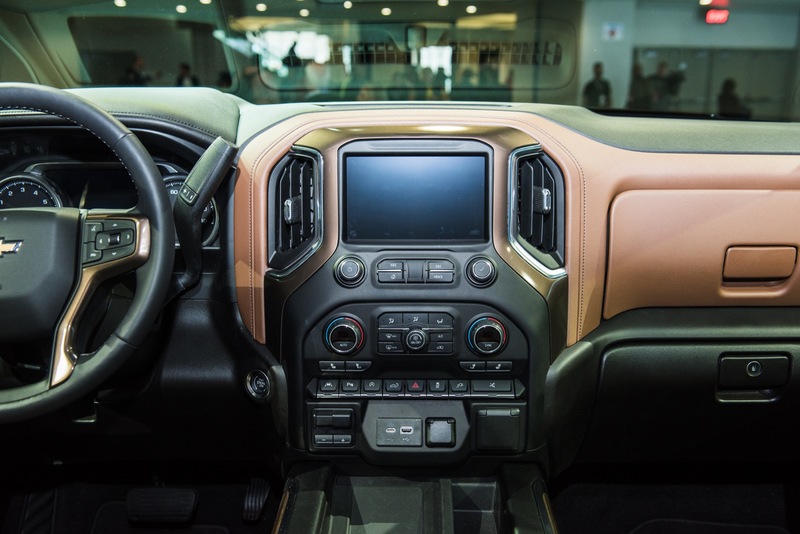 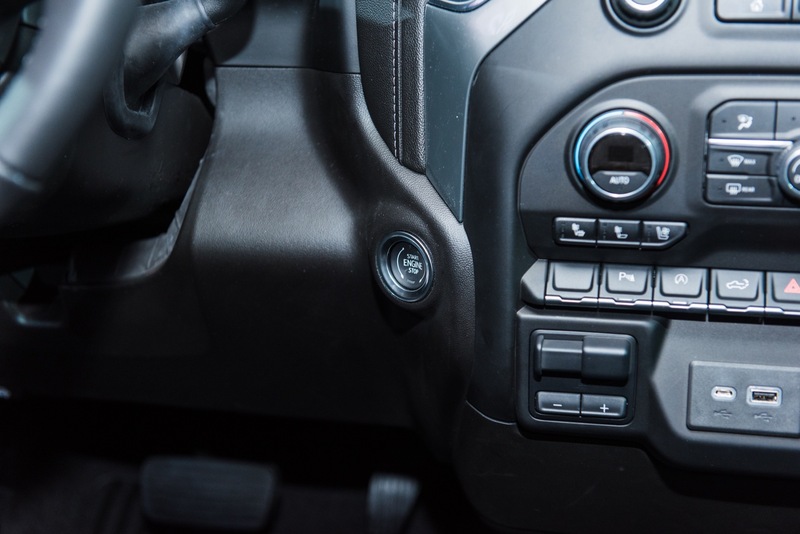 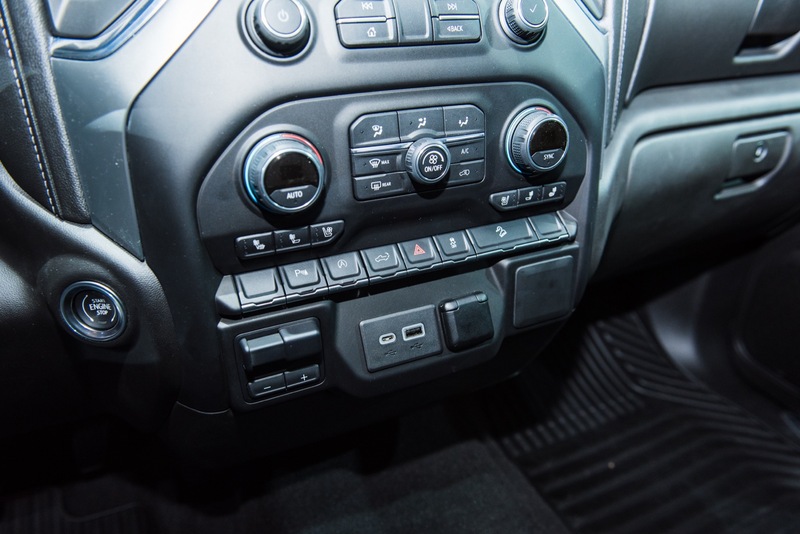 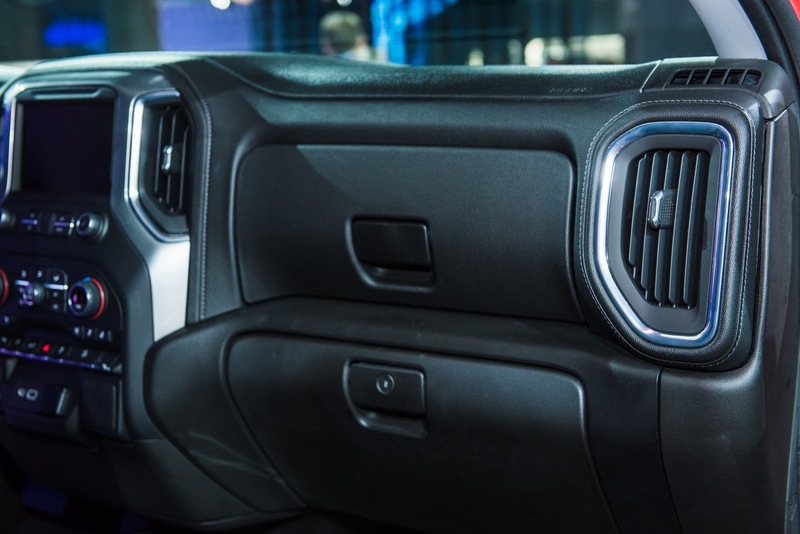 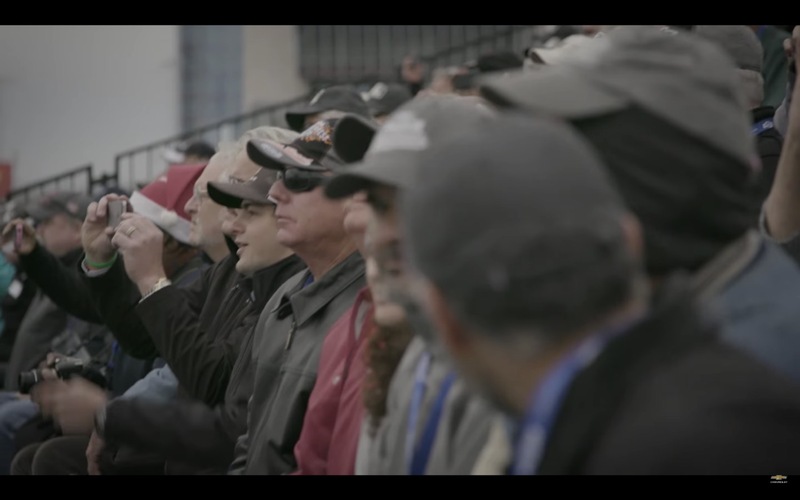 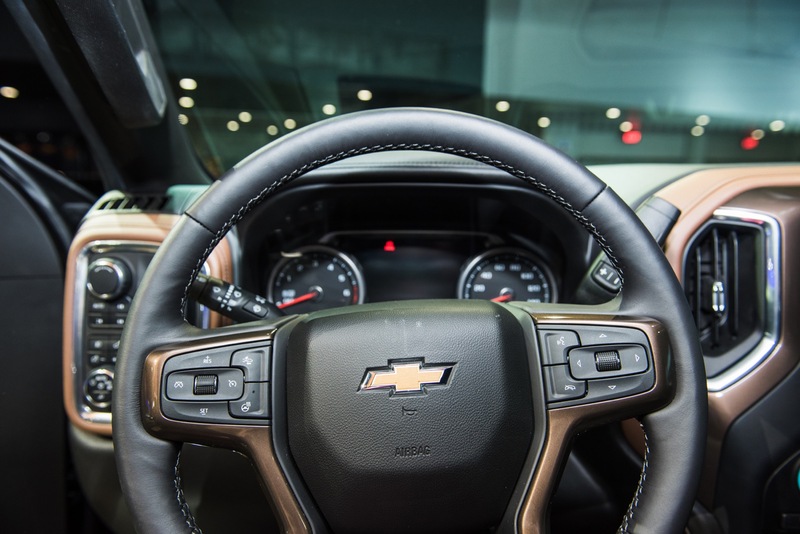 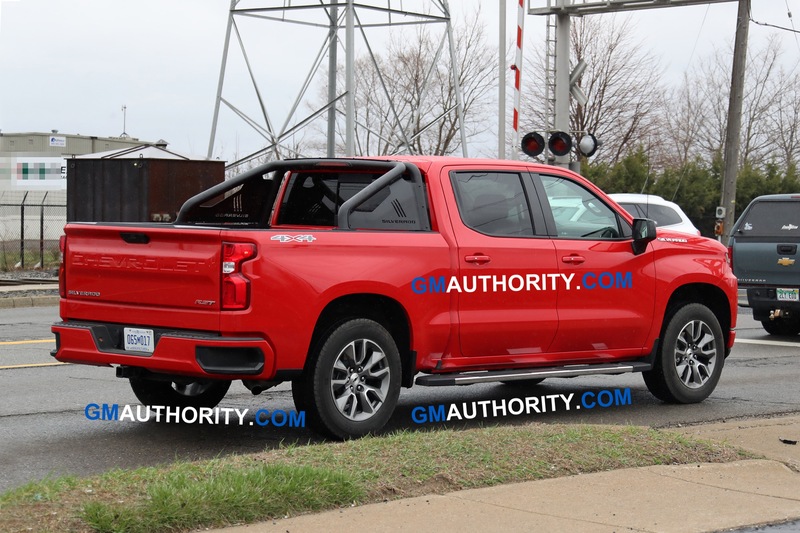 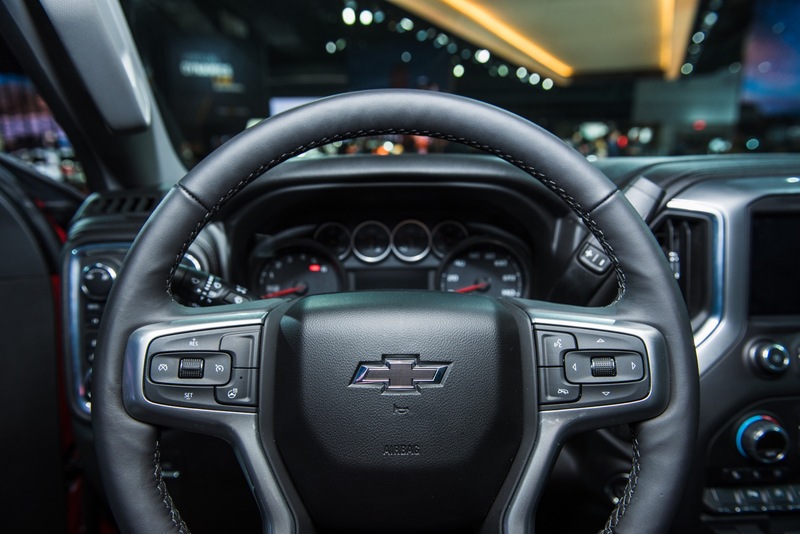 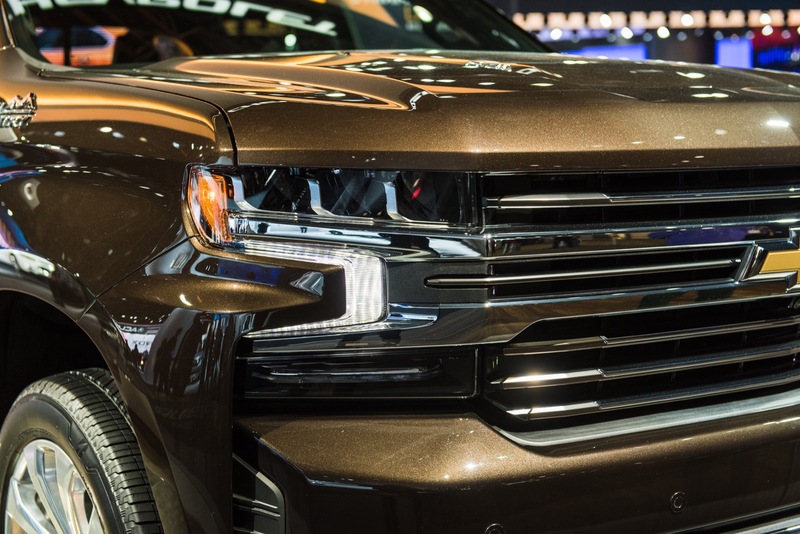 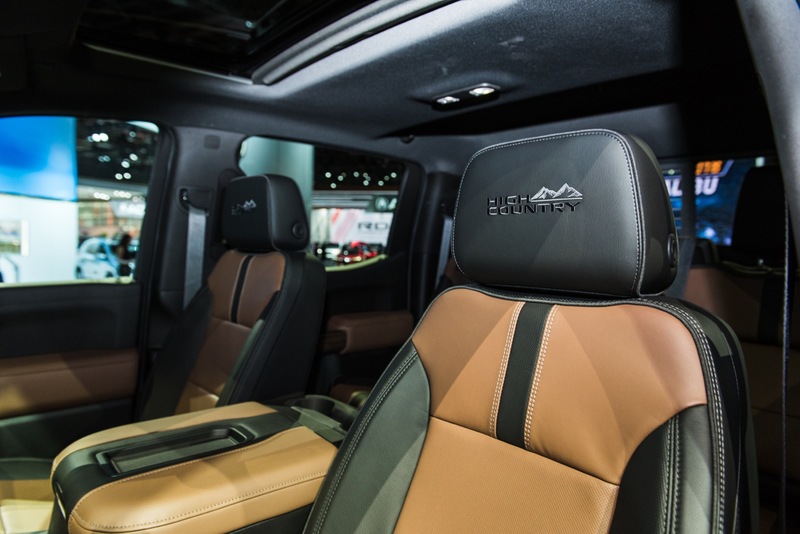 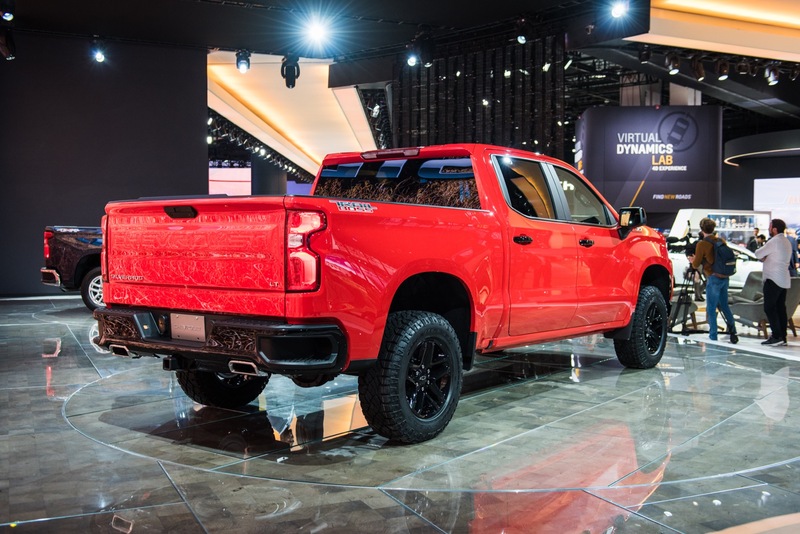 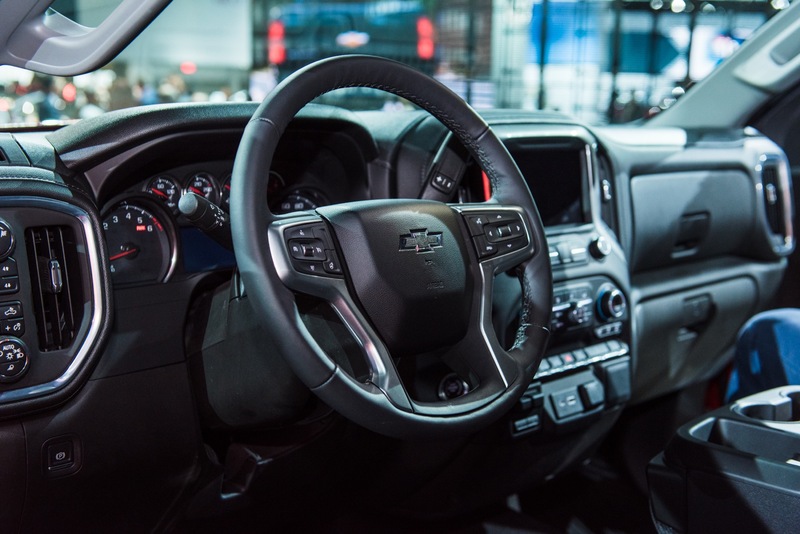 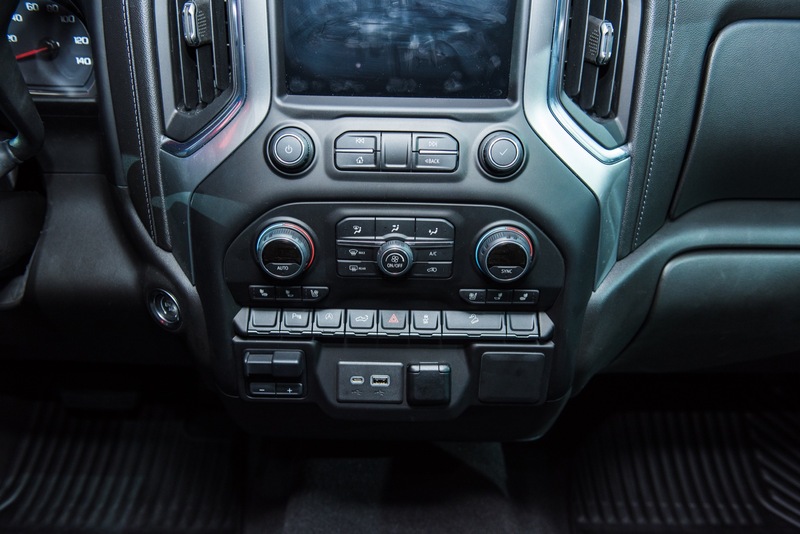 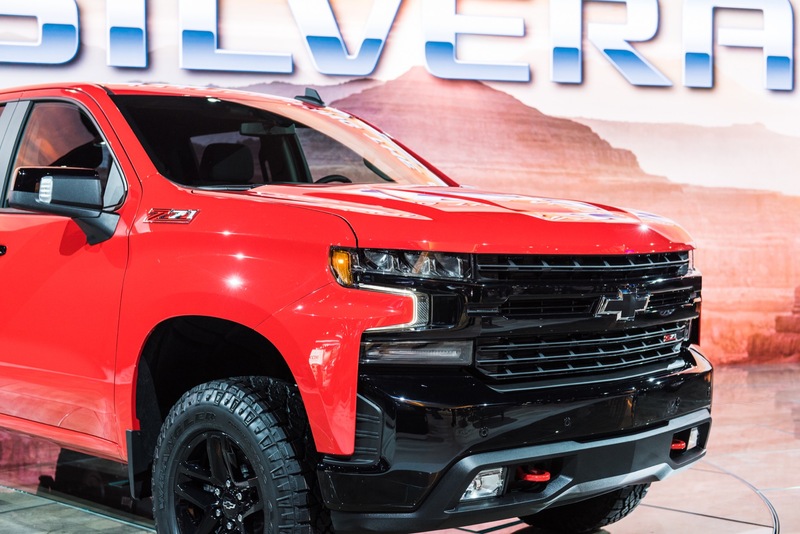 We should note that some of these numbers will likely change Chevy reveals the 2020 Silverado HD, which will be an all-new vehicle that will likely result in increased capability. 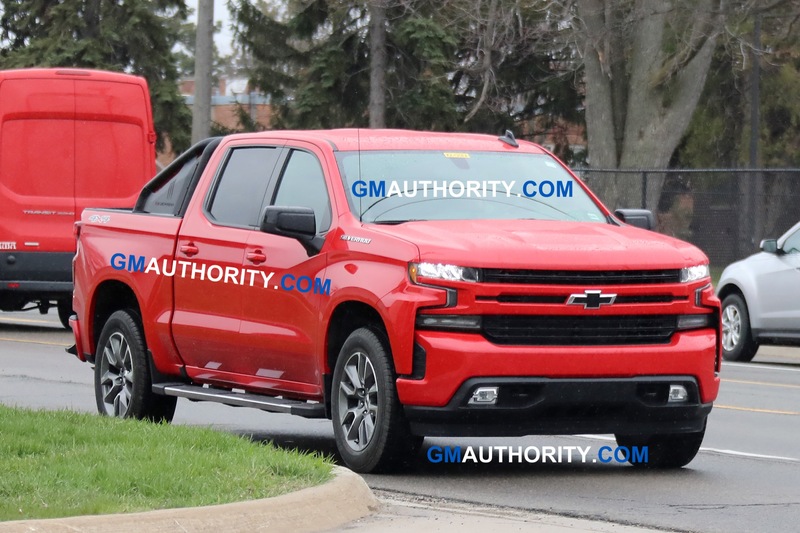 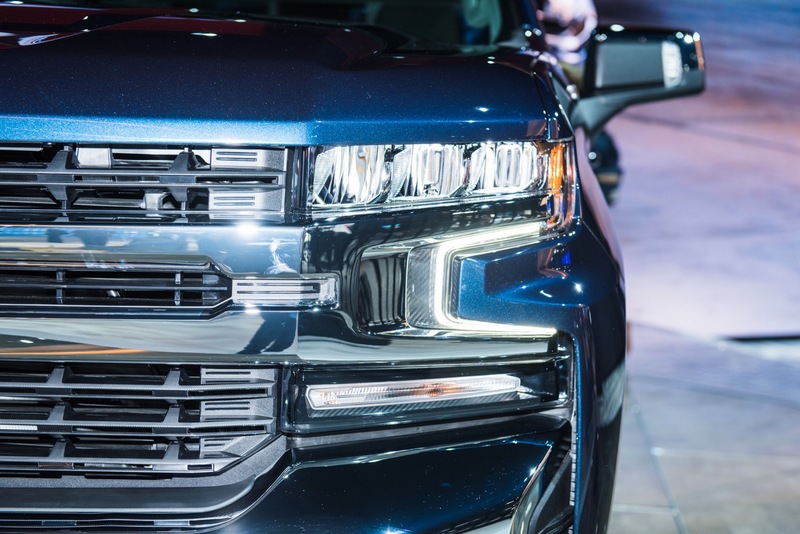 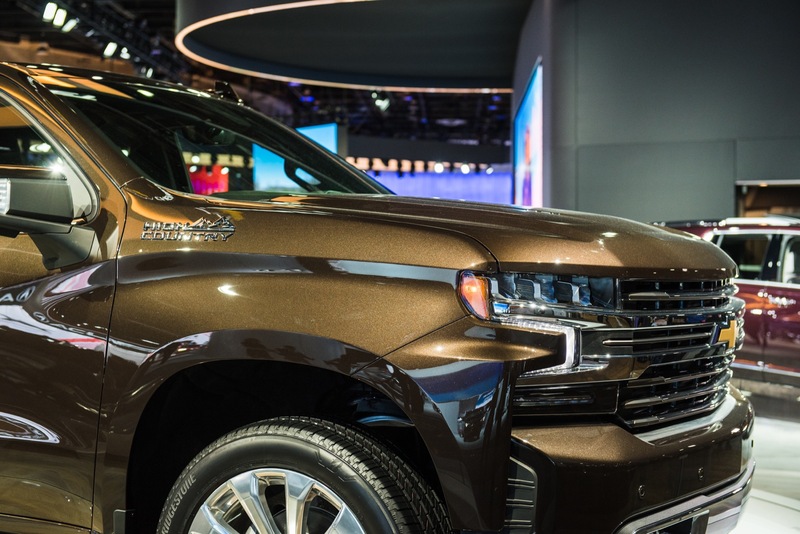 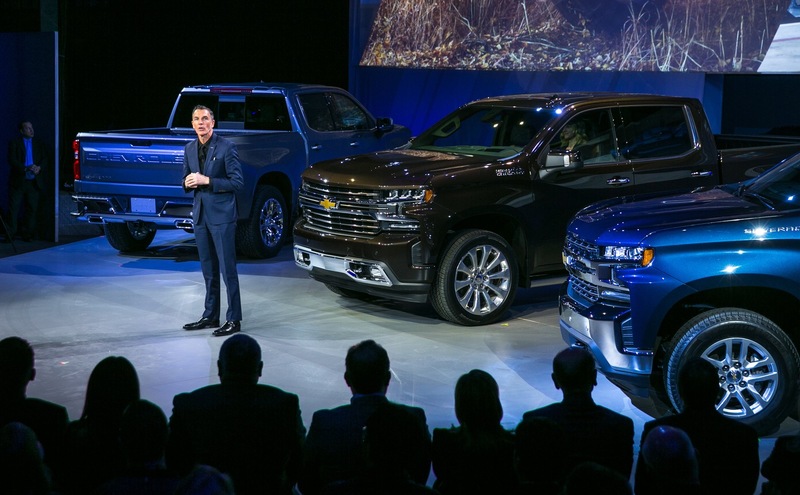 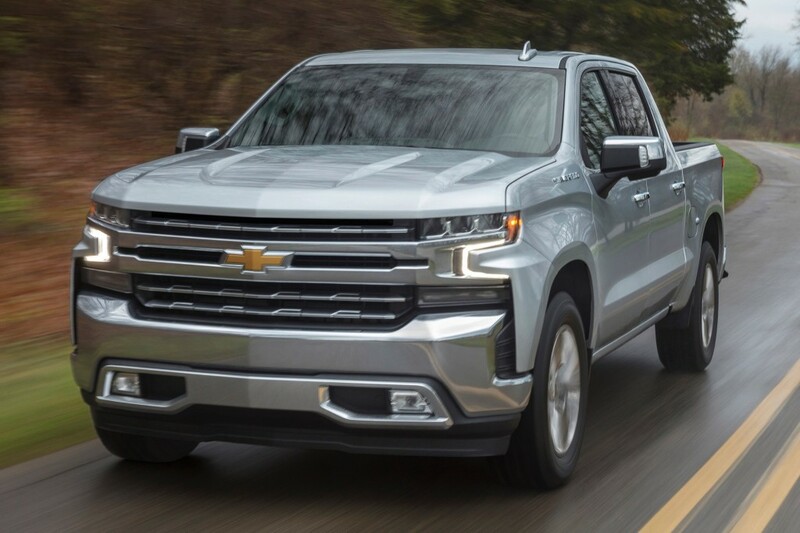 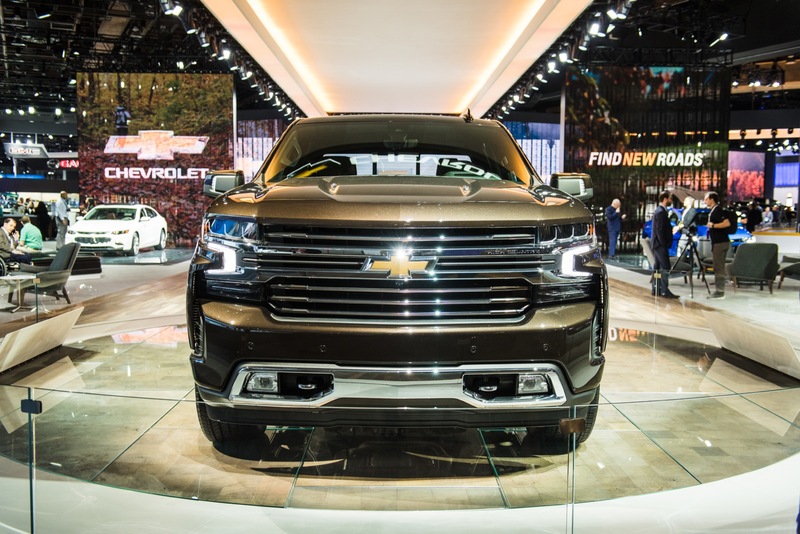 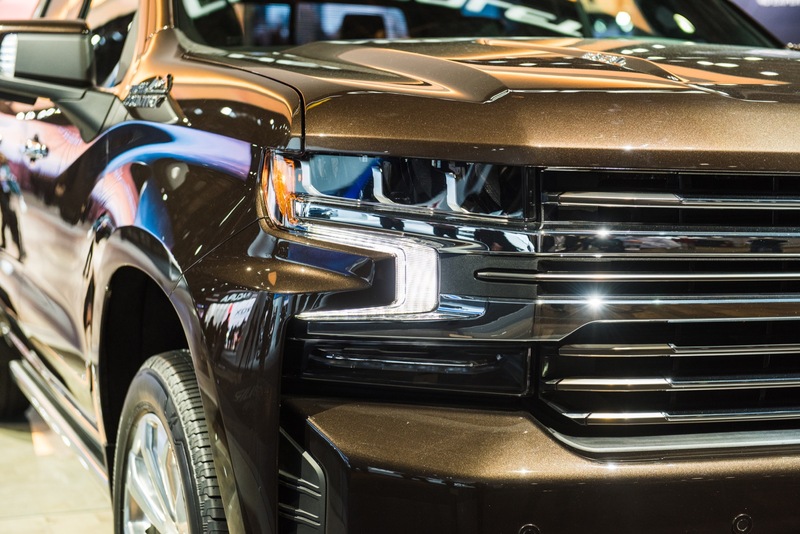 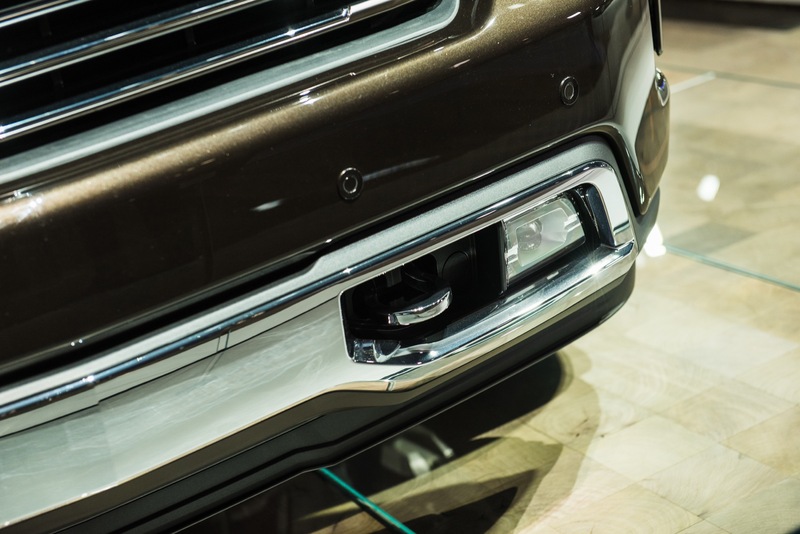 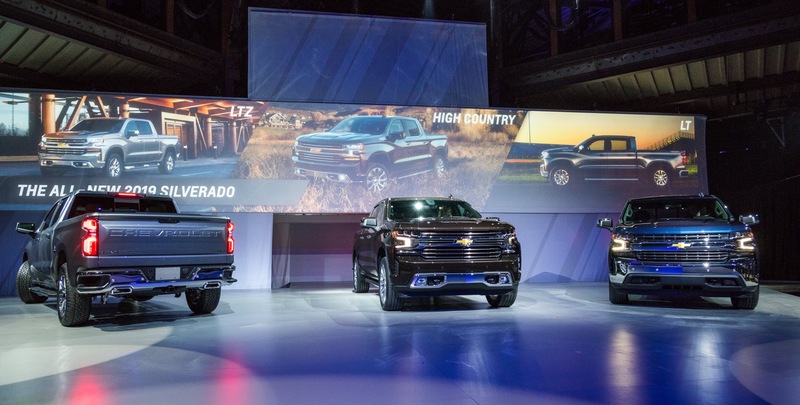 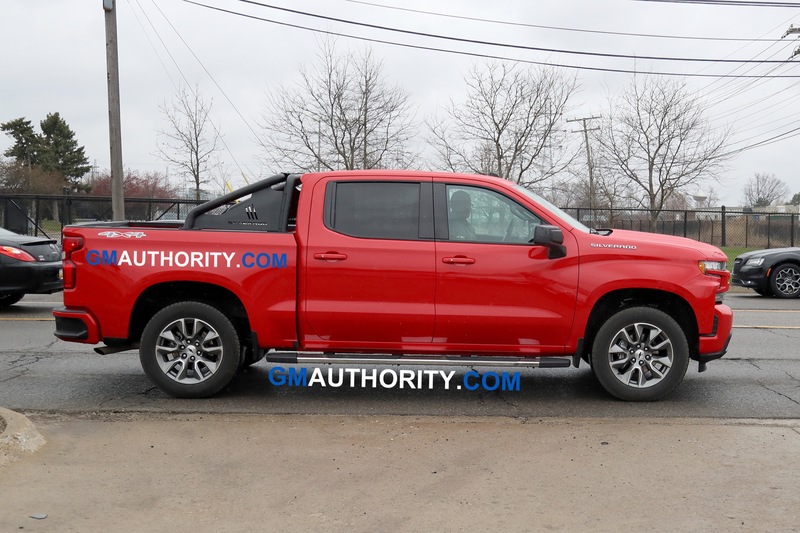 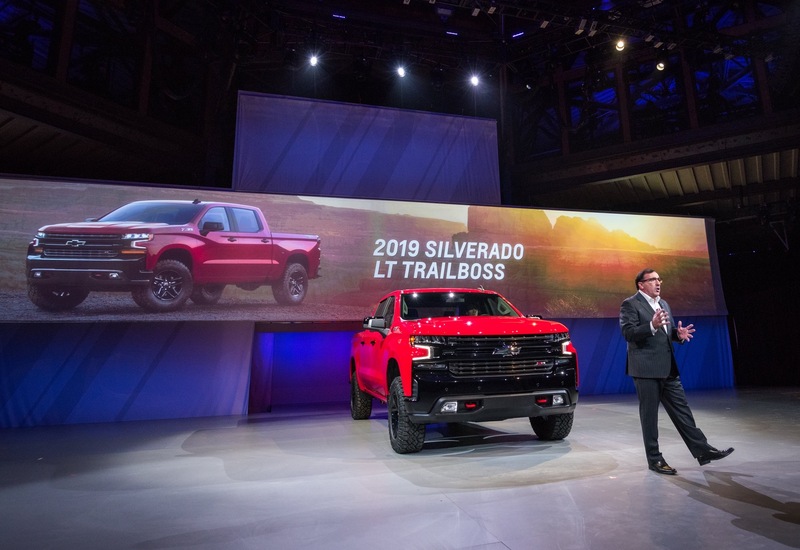 Interestingly, the 2020 Silverado lineup will represent an completely overhauled lineup of full-size Chevy trucks over the course of less than two years. 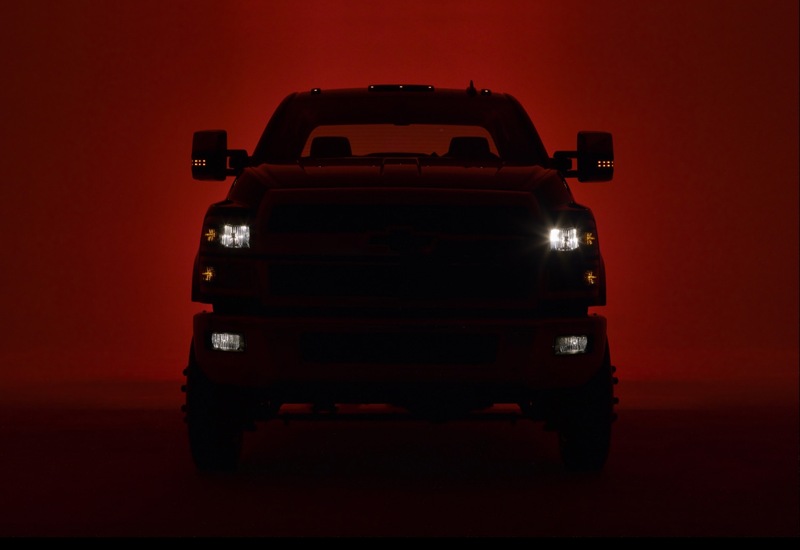 The headlights are so lame on the HD, and medium duty trucks. 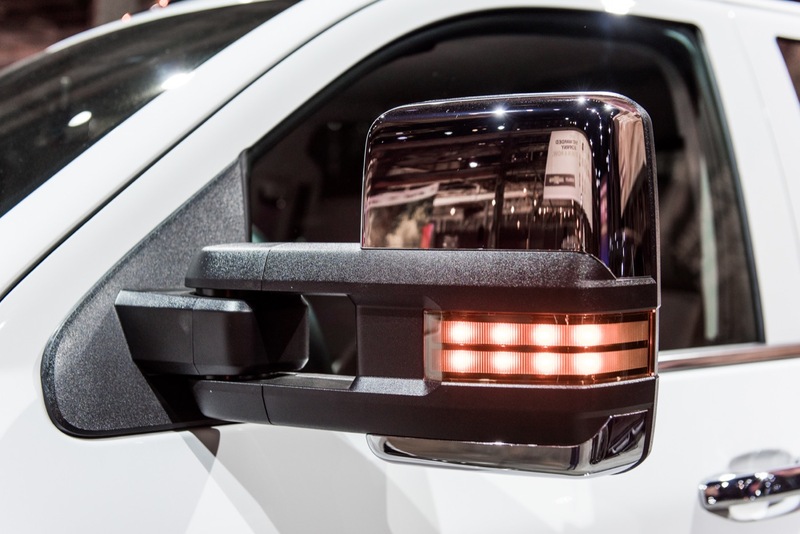 Ford and even some semi’s out on the road have the fancier LED styles lights like the Chevy half tons have. 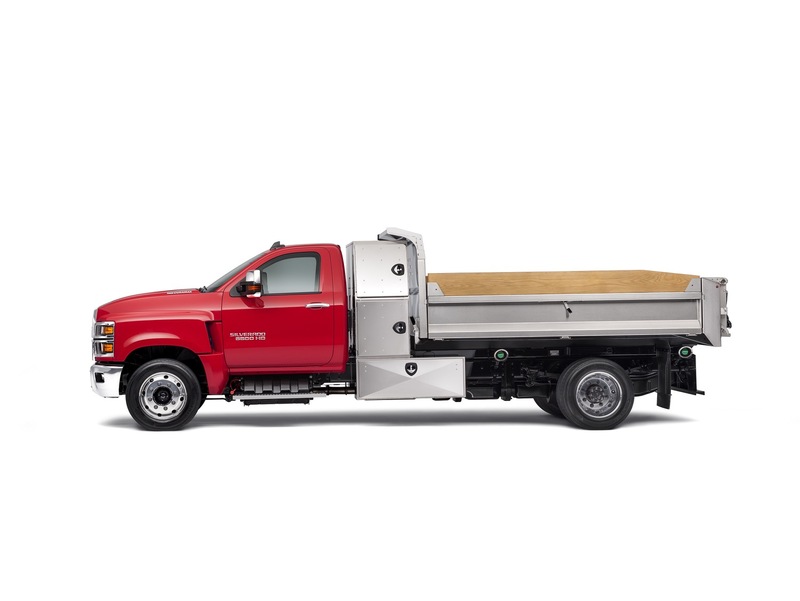 GMC HD trucks even have them. 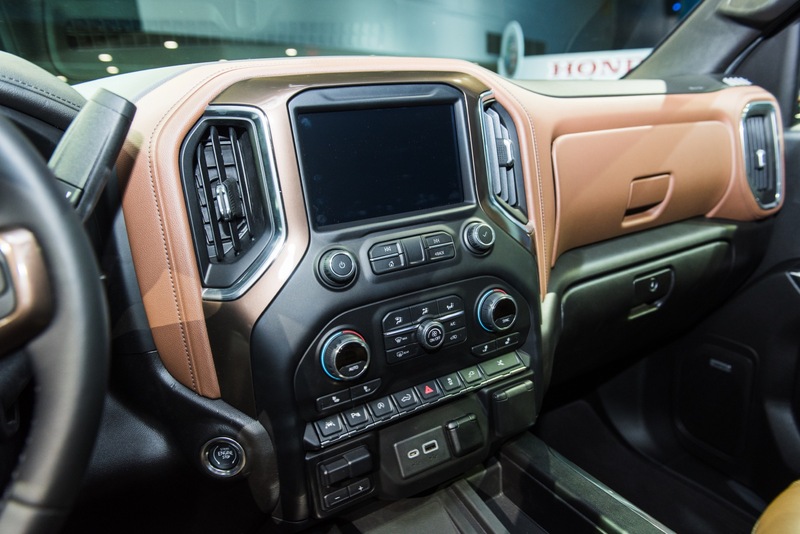 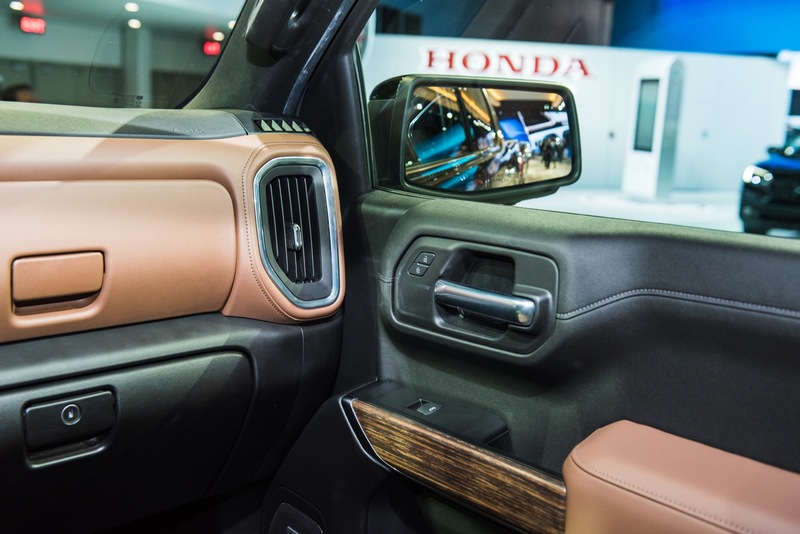 The HDs are about to get completely overhauled for the 2020 model year, as we mentioned in the last paragraph. 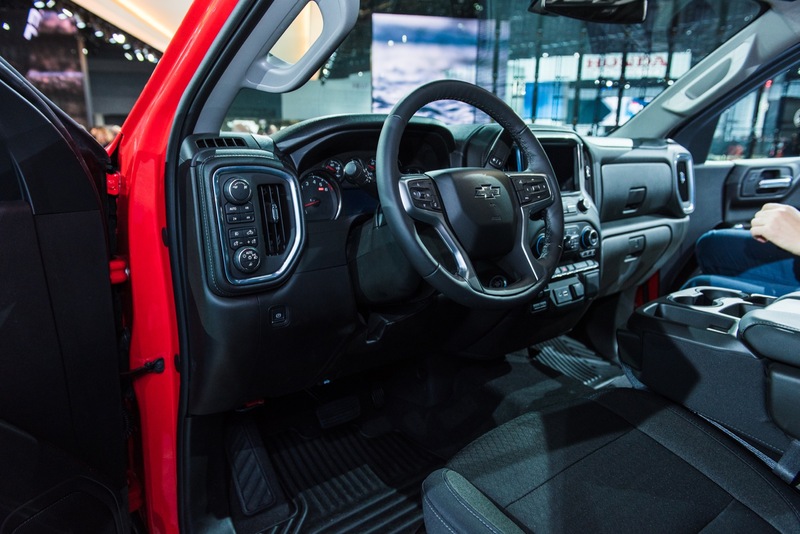 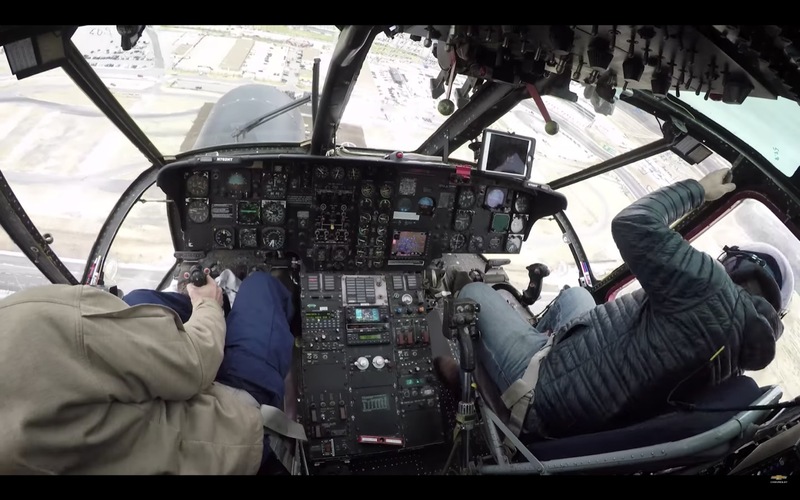 The MDs are not at all about looks, style or design. 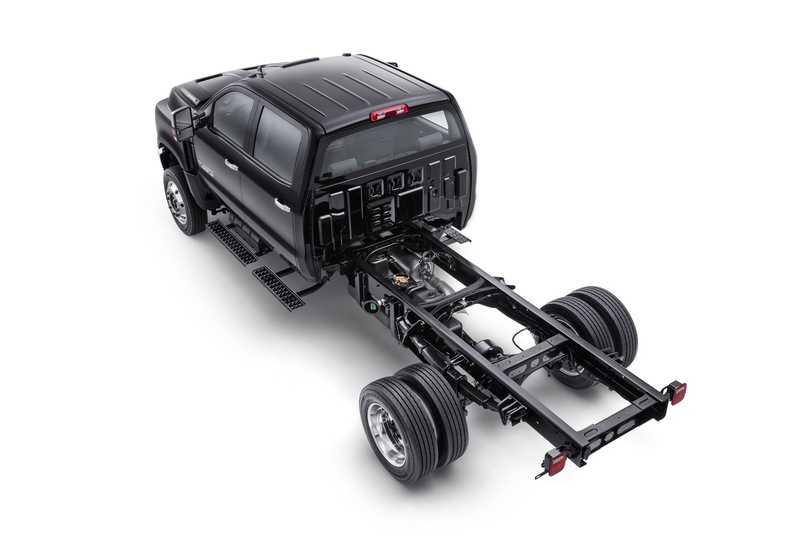 They are all about cost-effective capability that’s as reliable as the sun and being easy to up-fit. 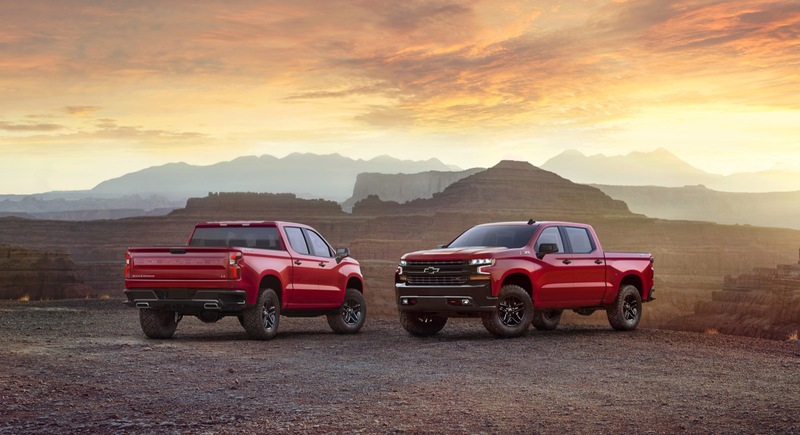 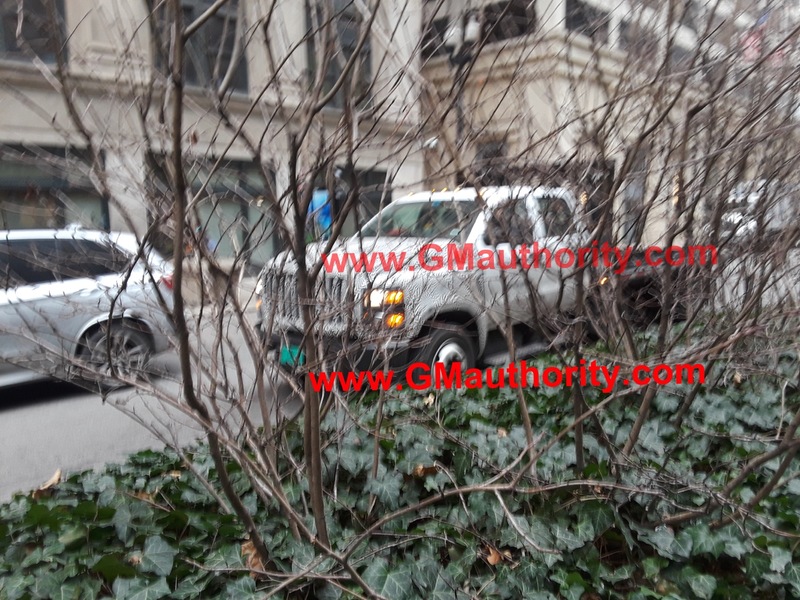 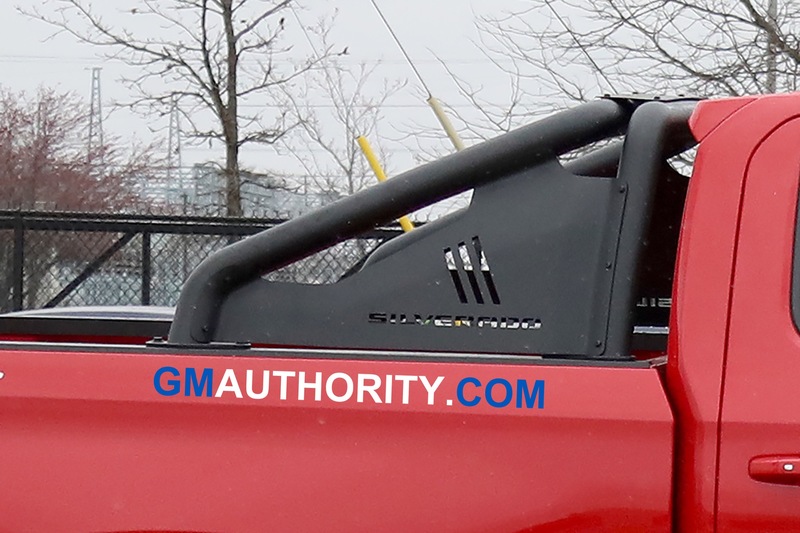 Of course the GMCs have them, they are the top of the GM line and Chevrolet is the bottom! 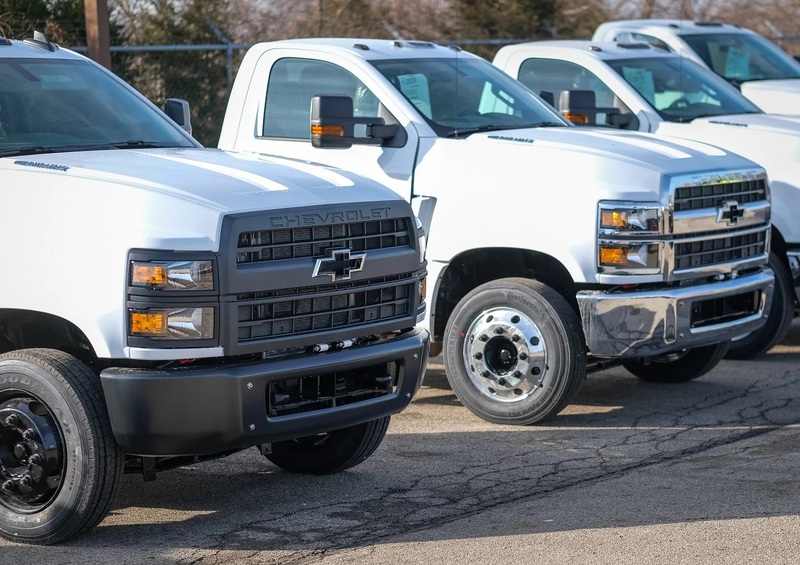 That is a great looking lineup for Chevy , They Look strong and ready to work !